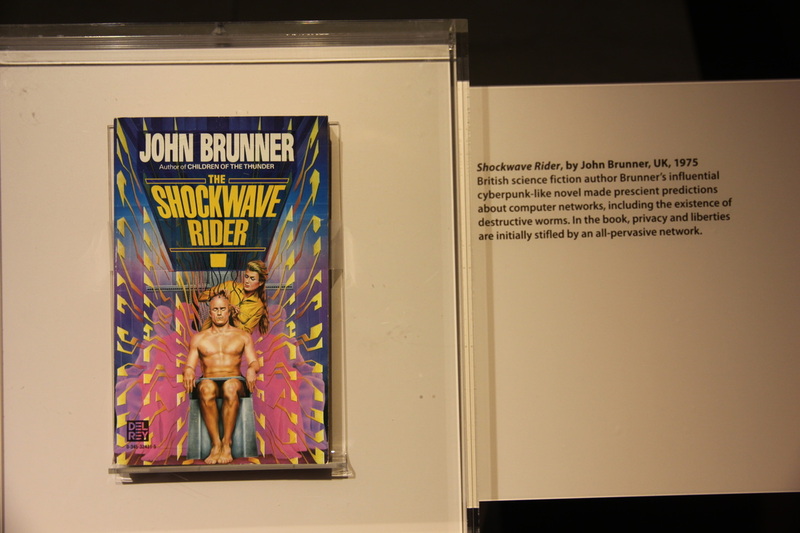 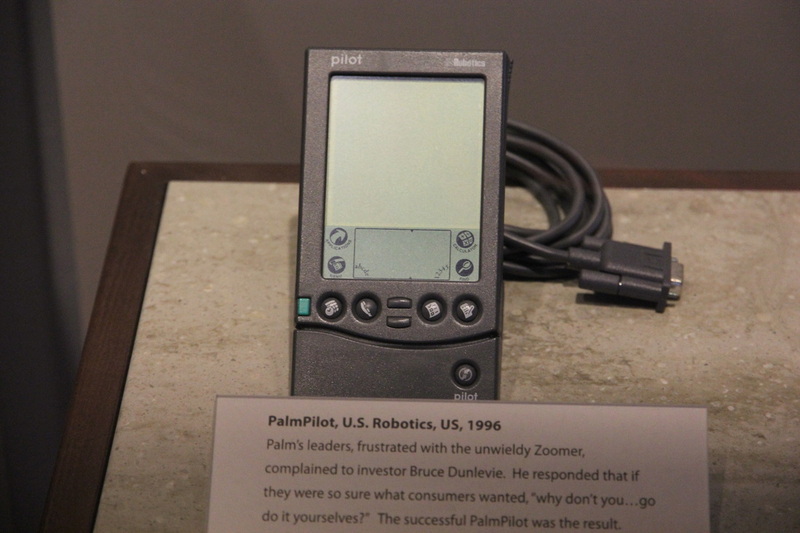 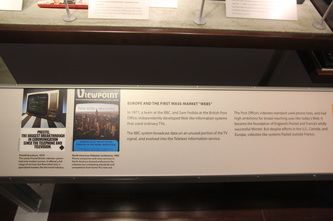 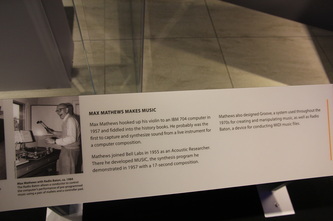 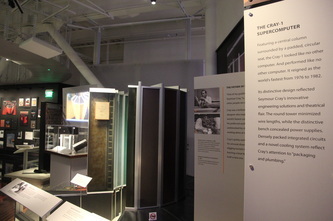 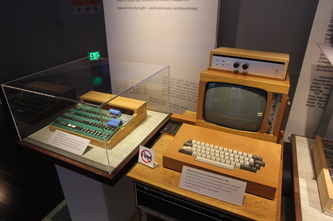 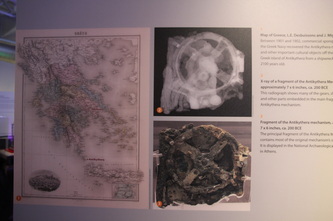 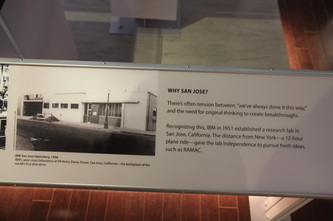 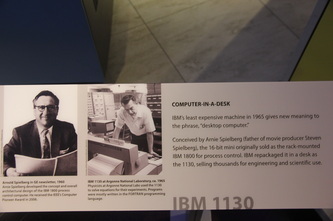 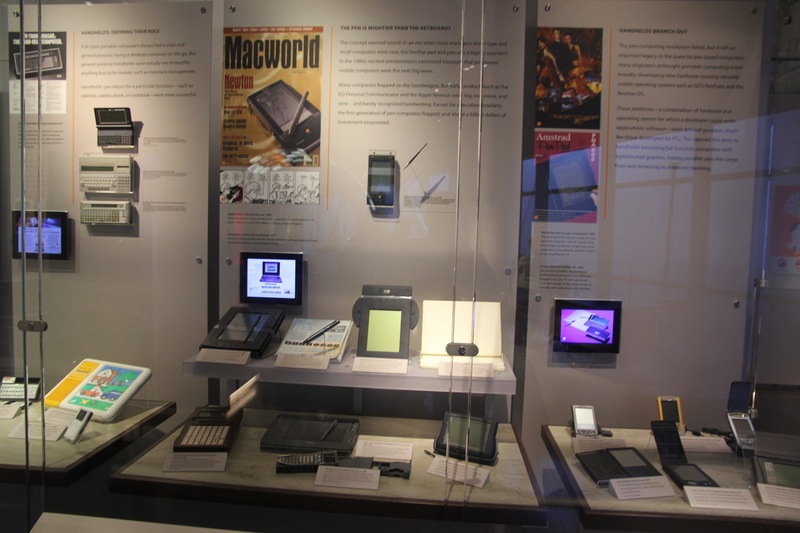 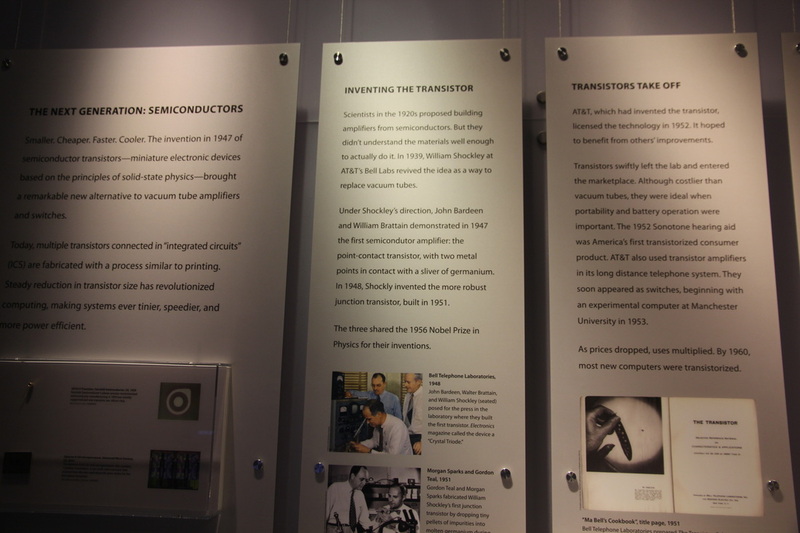 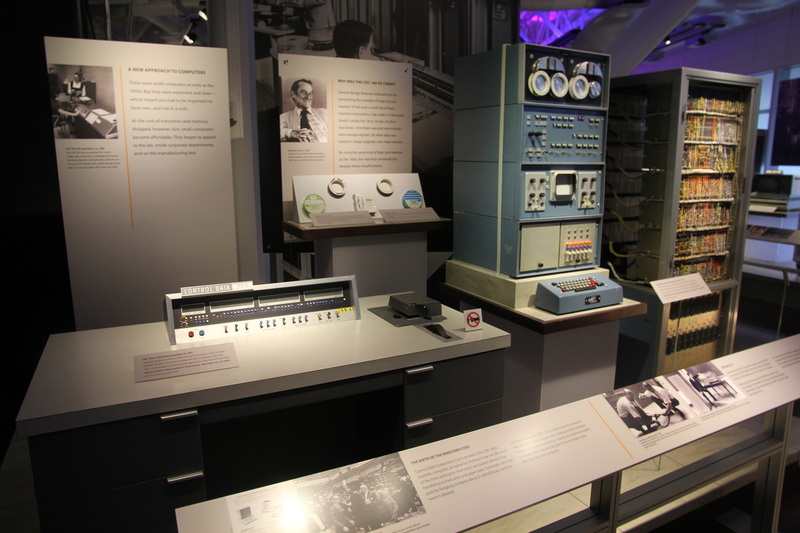 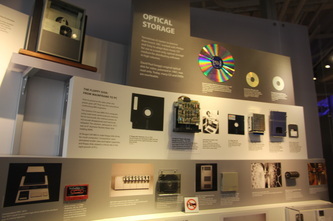 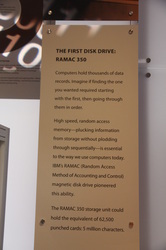 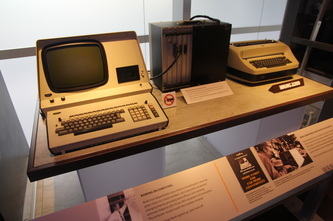 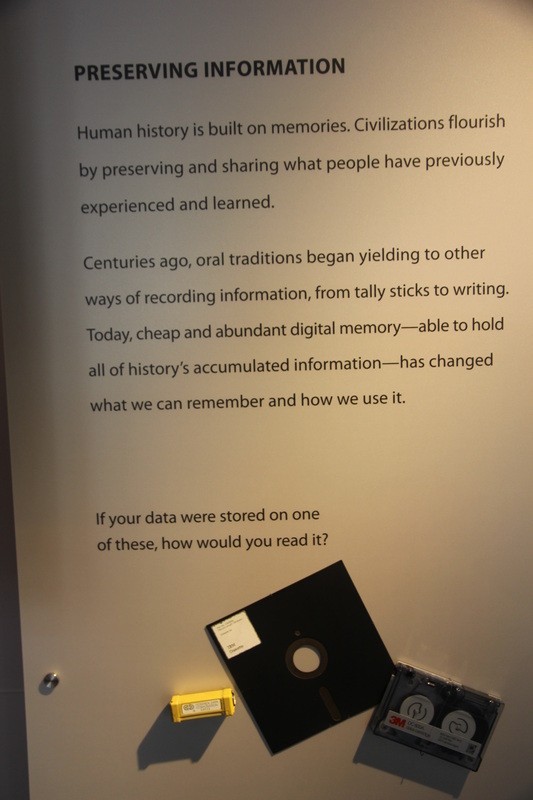 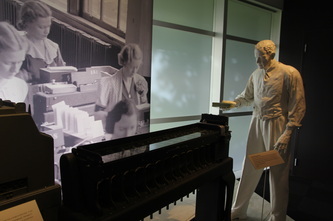 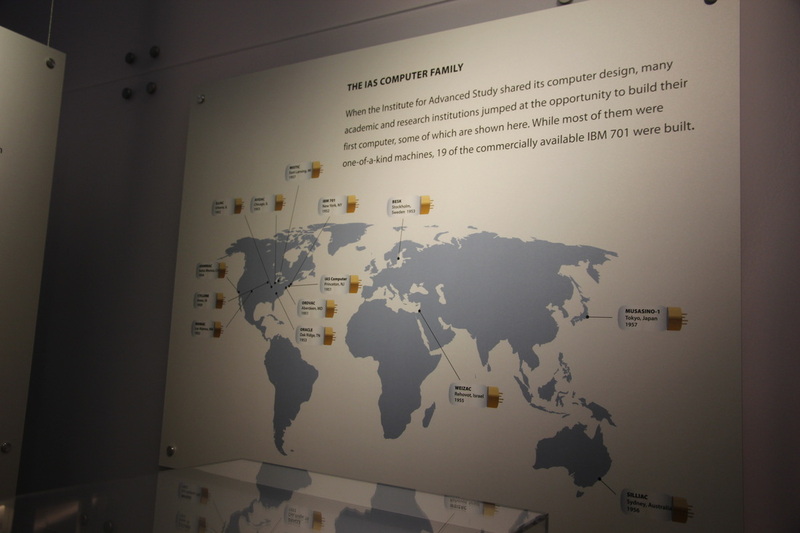 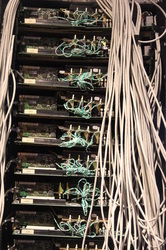 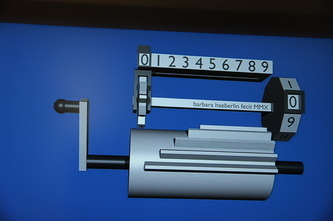 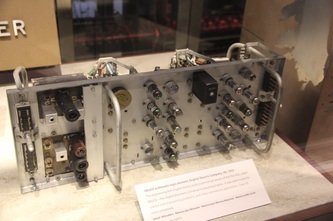 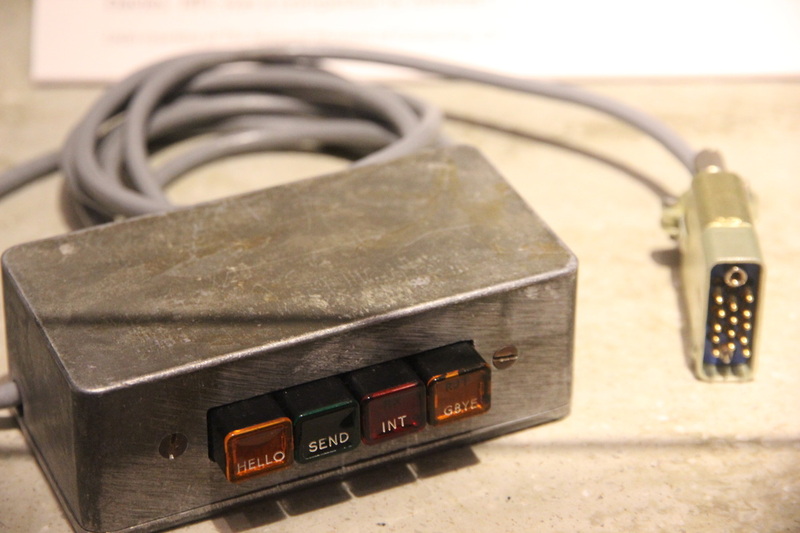 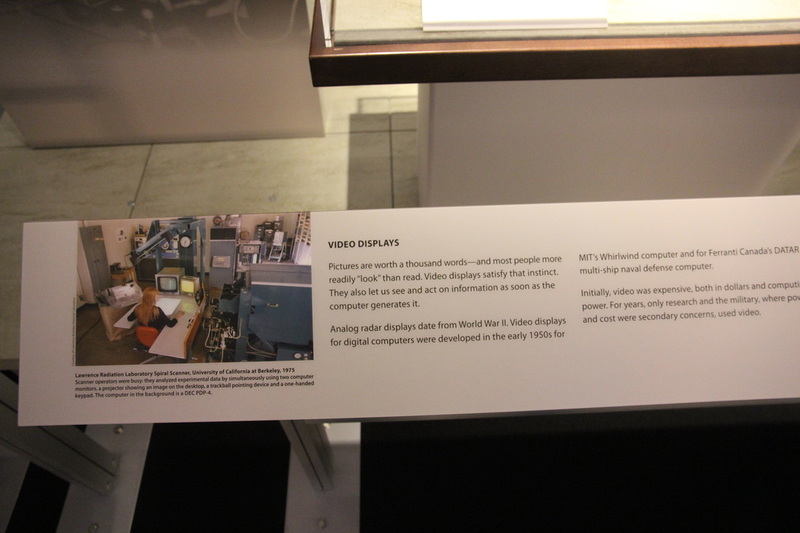 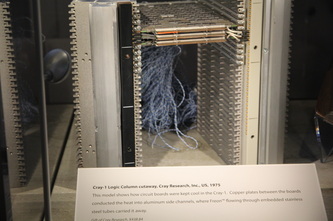 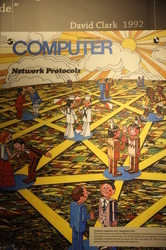 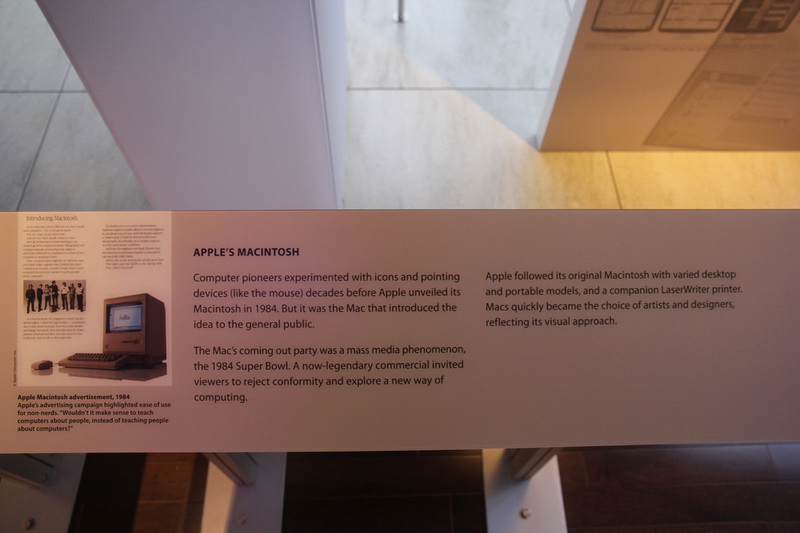 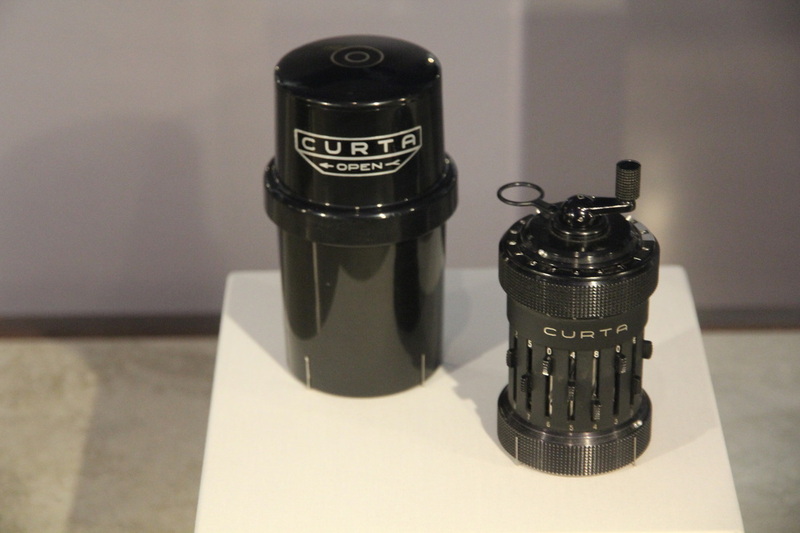 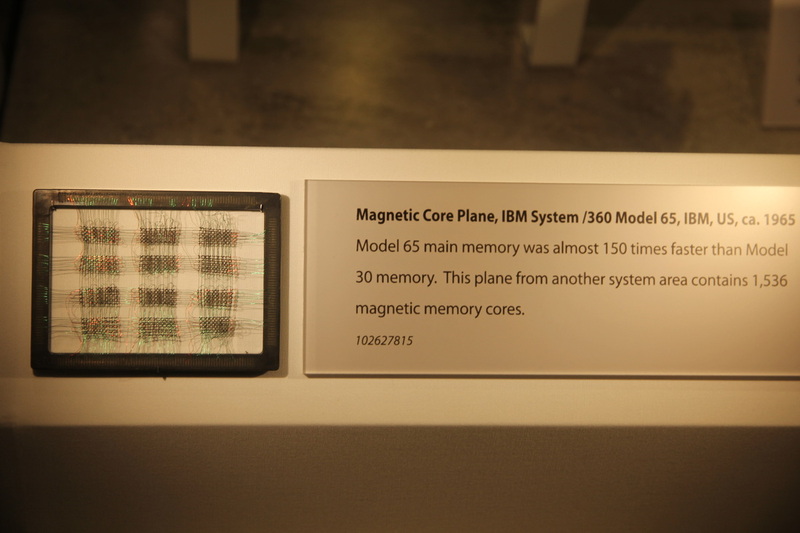 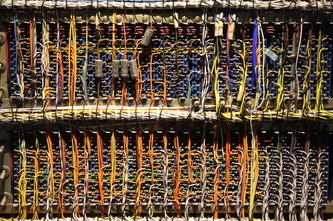 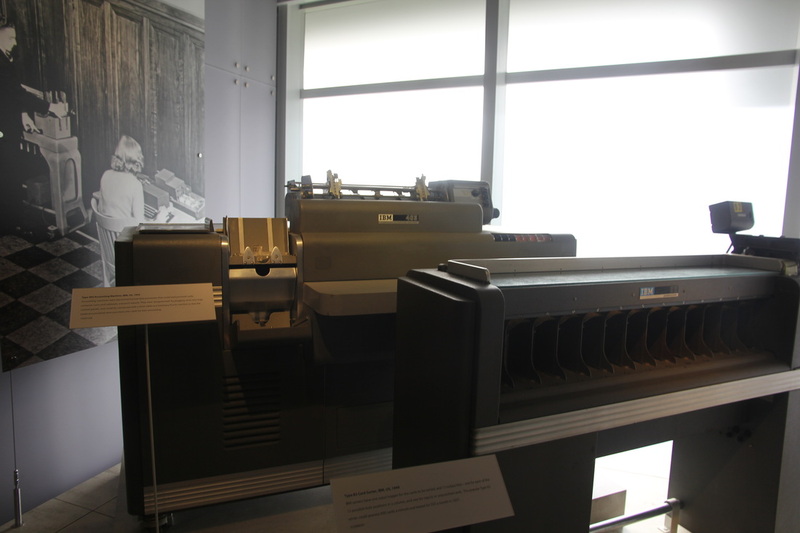 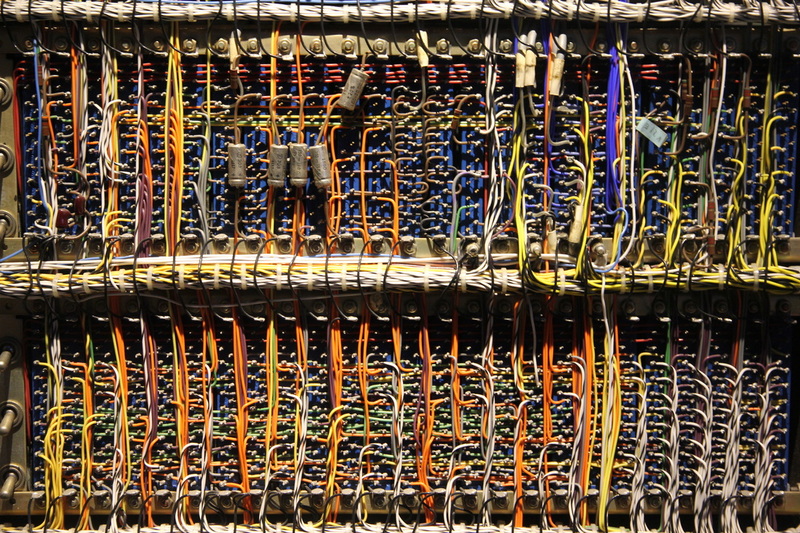 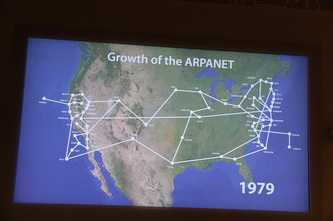 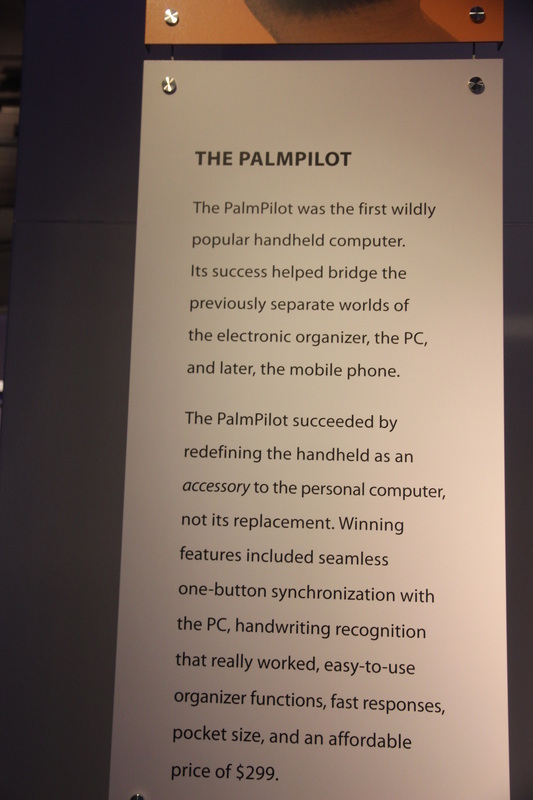 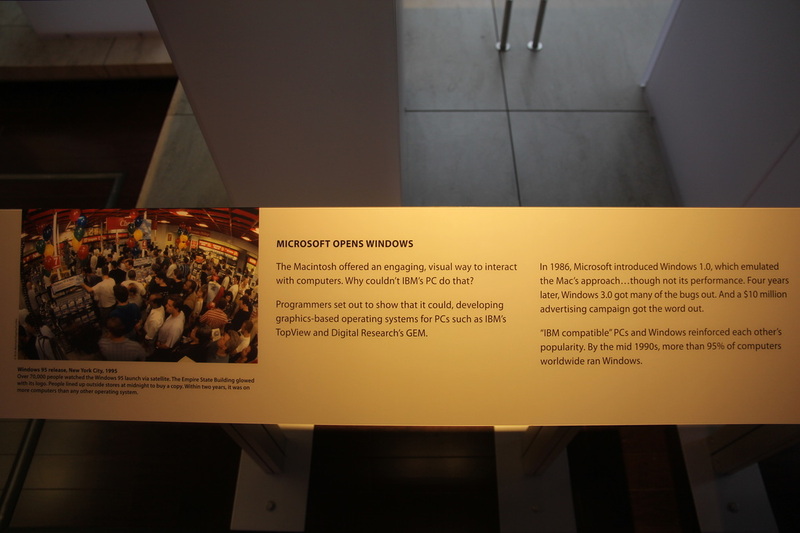 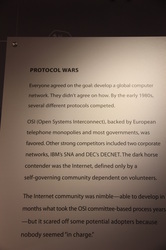 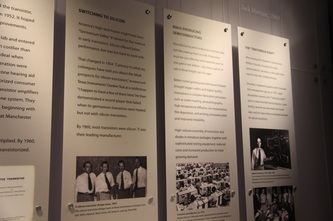 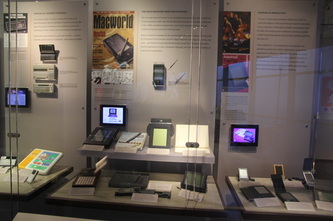 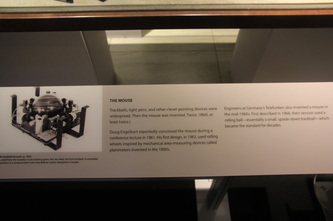 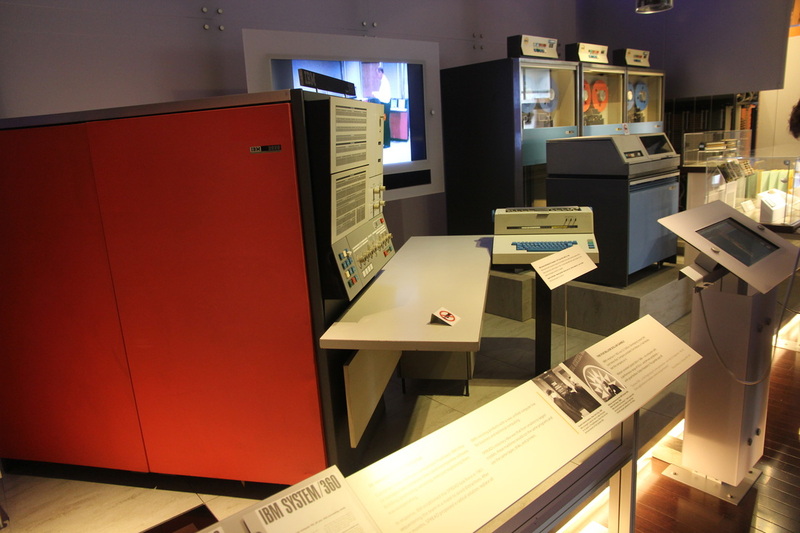 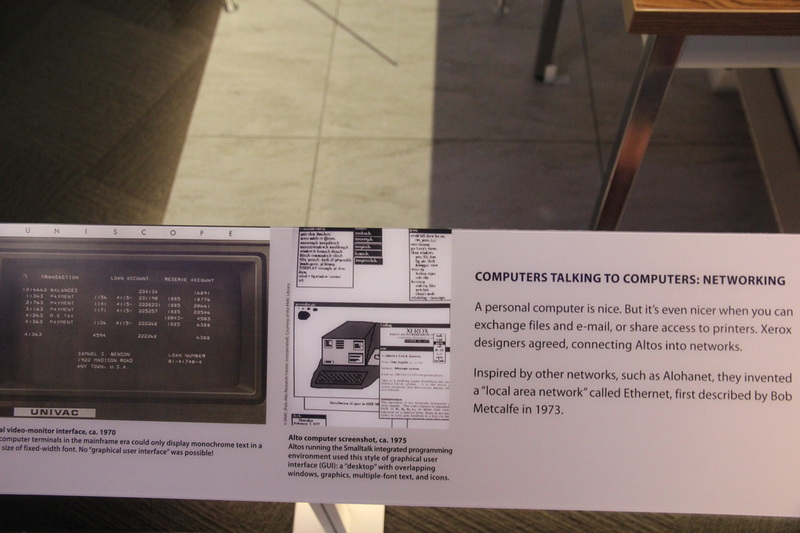 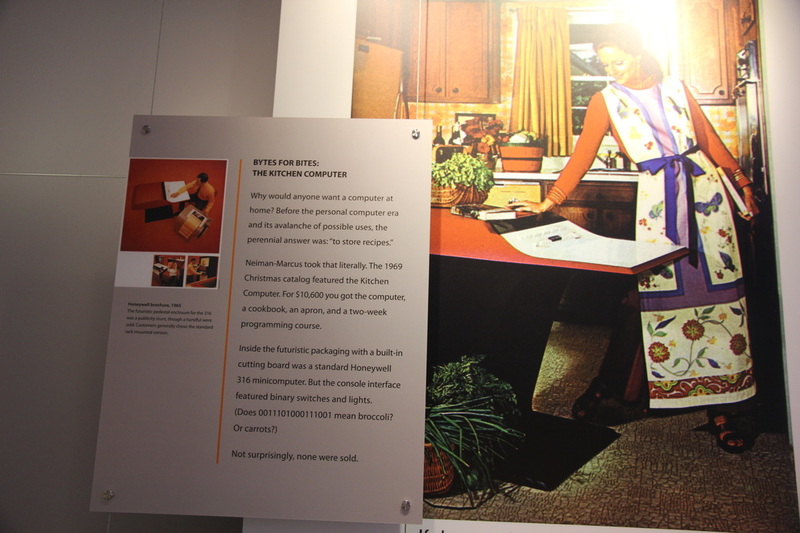 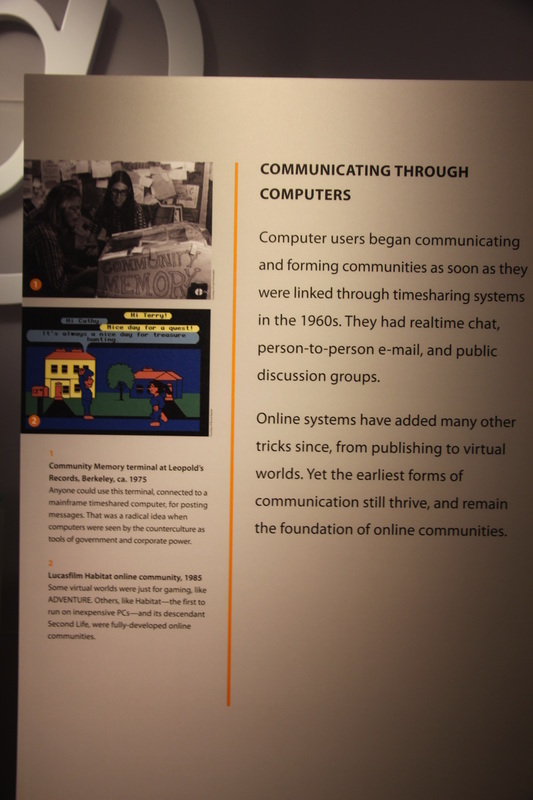 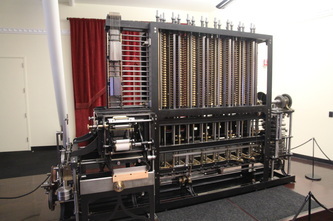 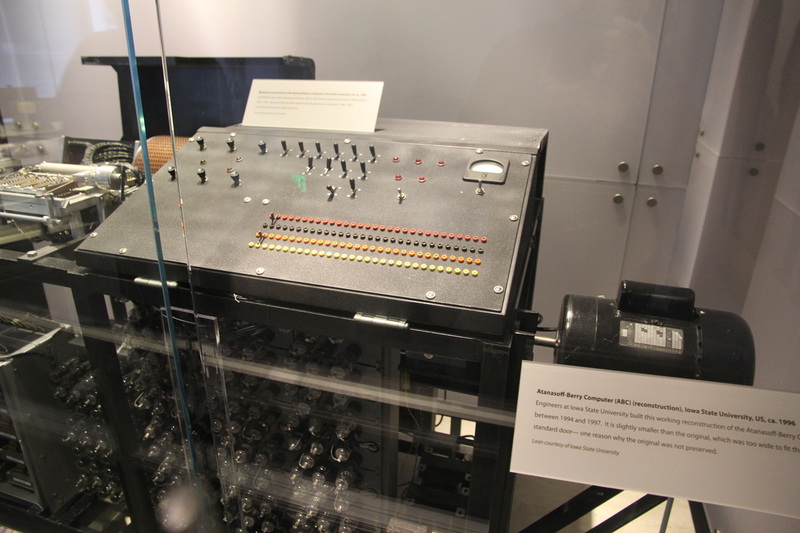 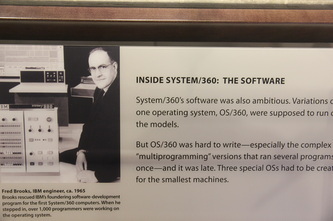 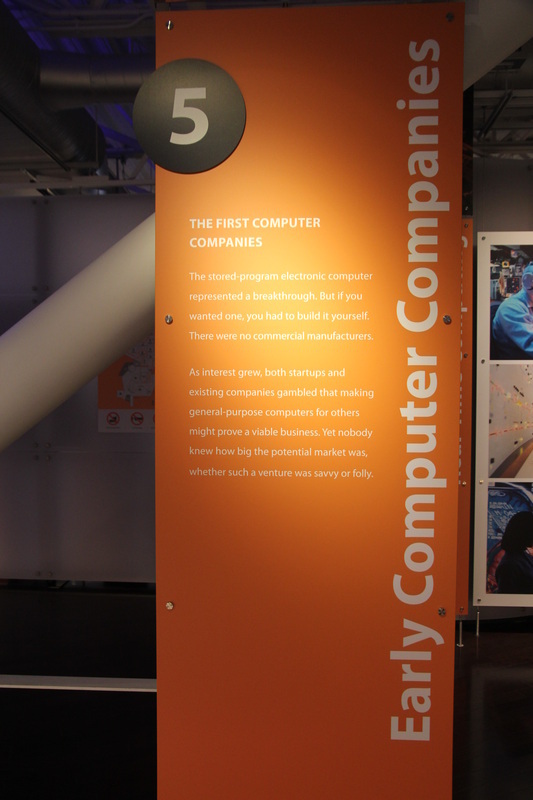 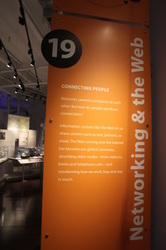 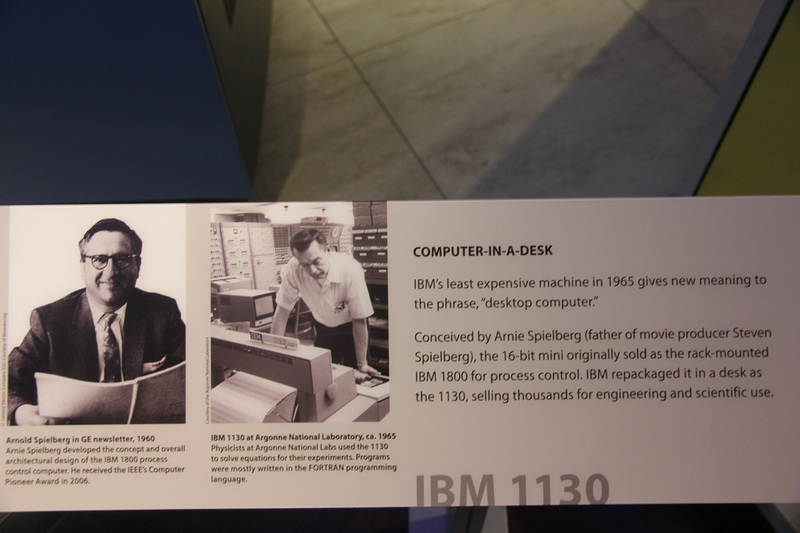 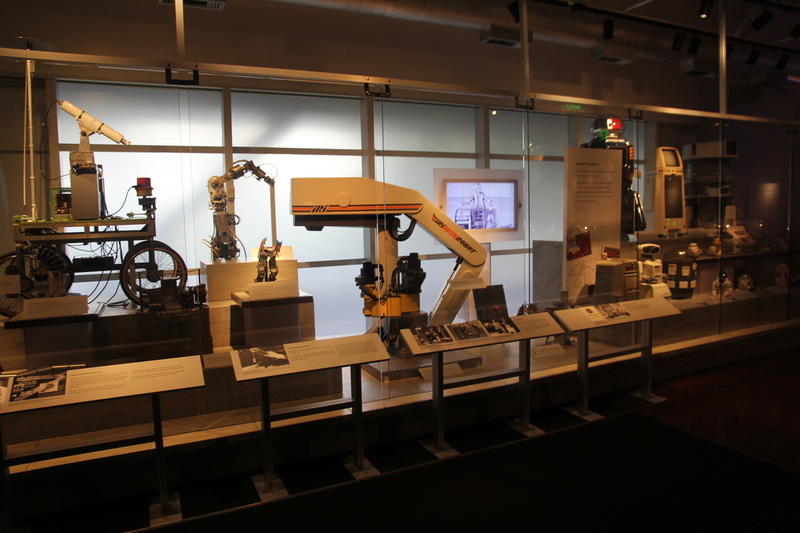 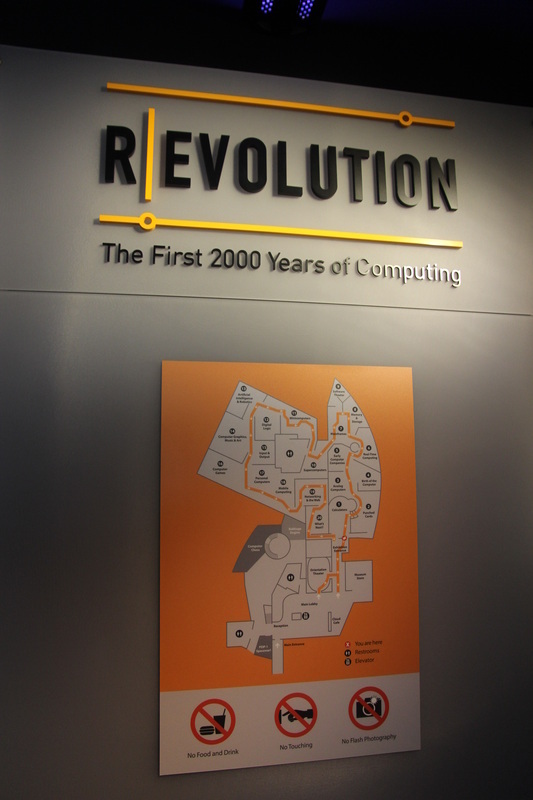 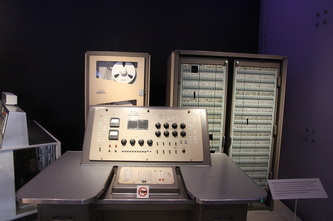 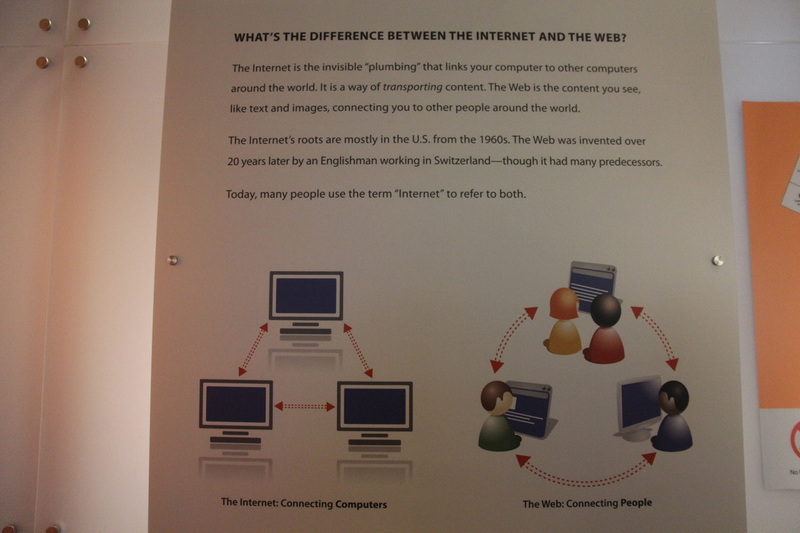 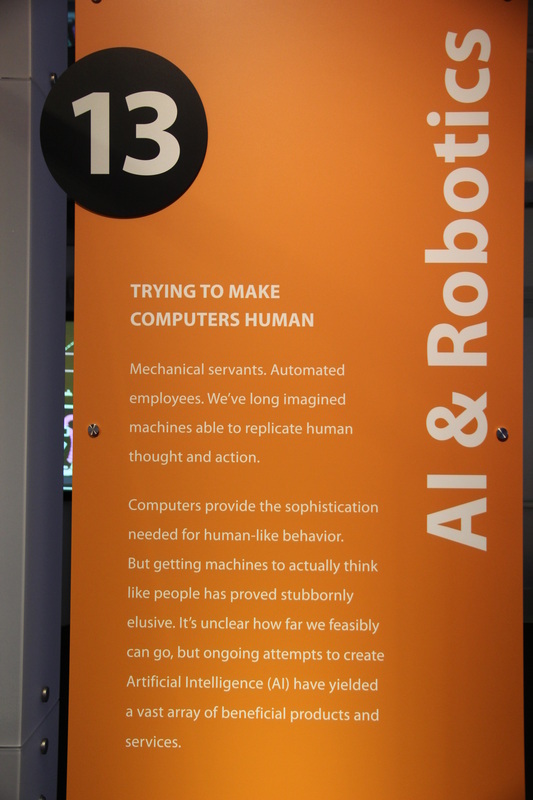 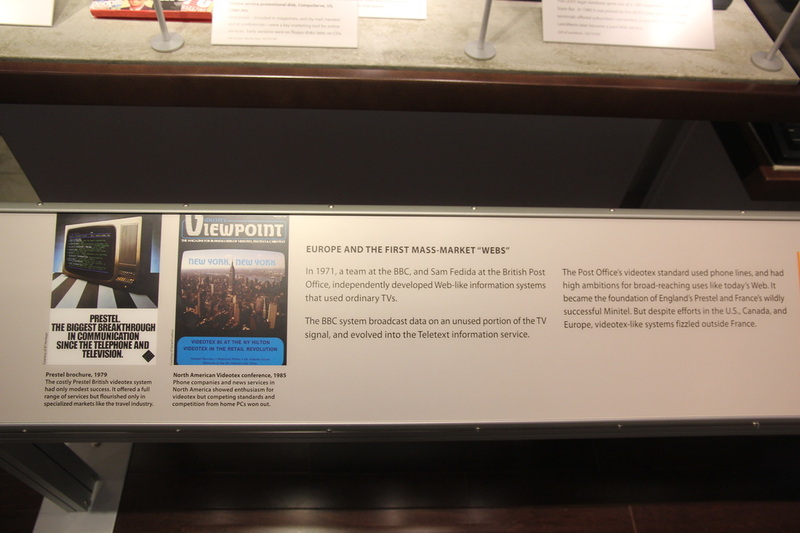 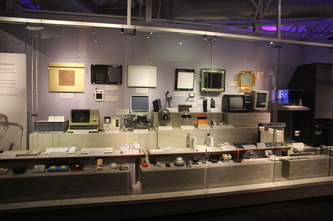 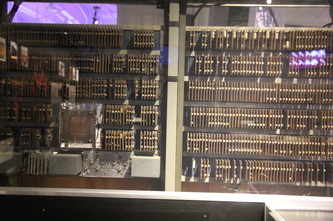 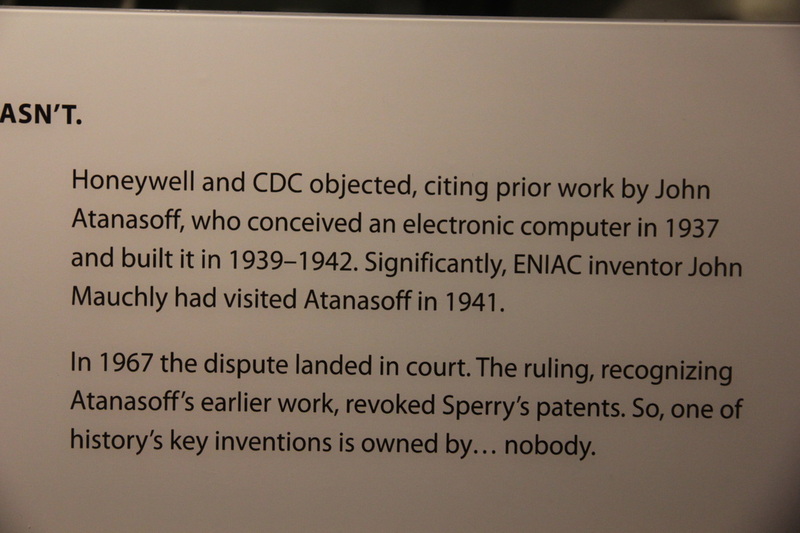 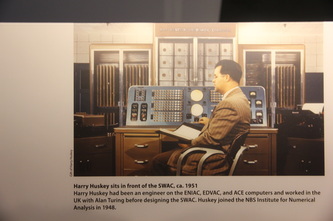 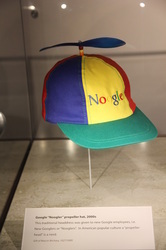 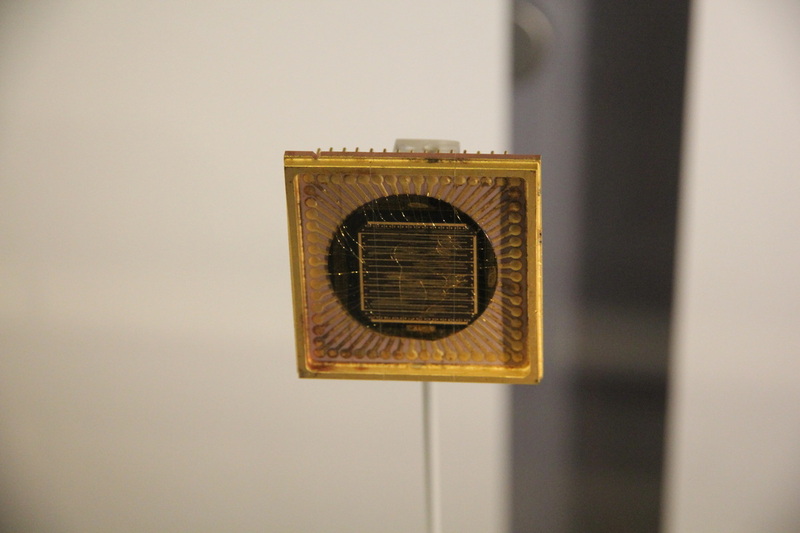 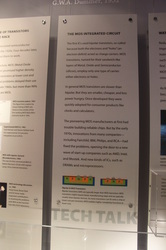 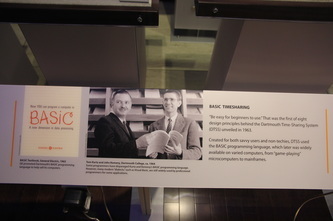 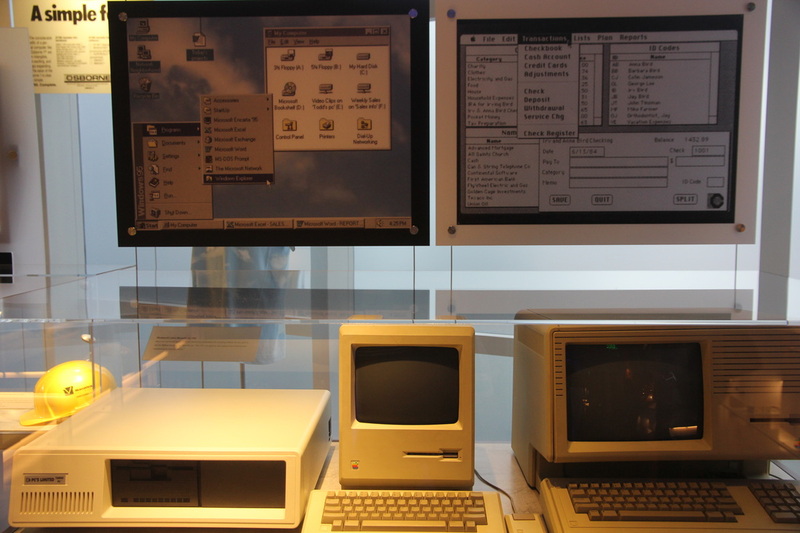 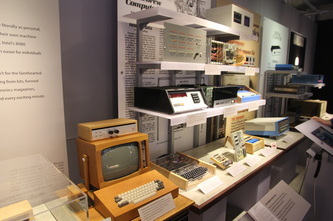 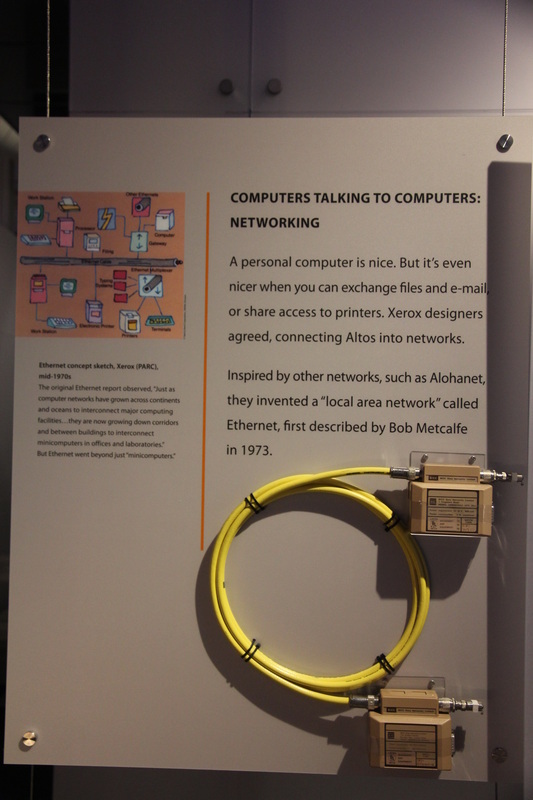 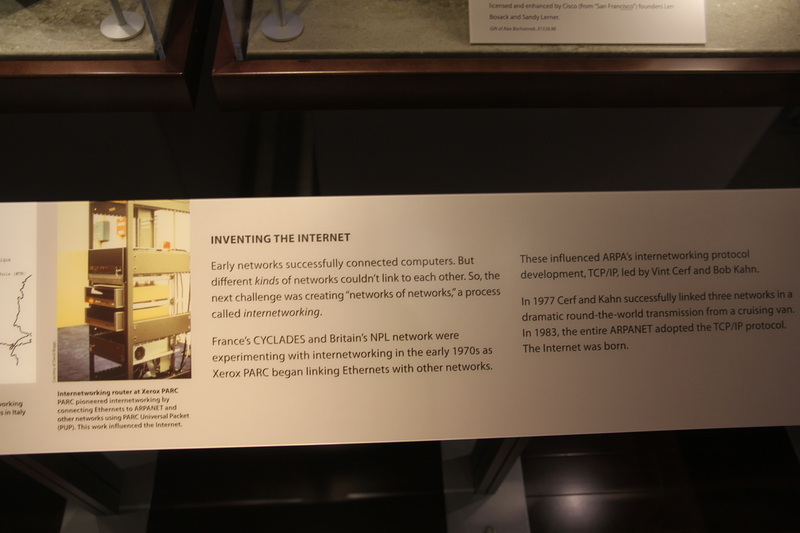 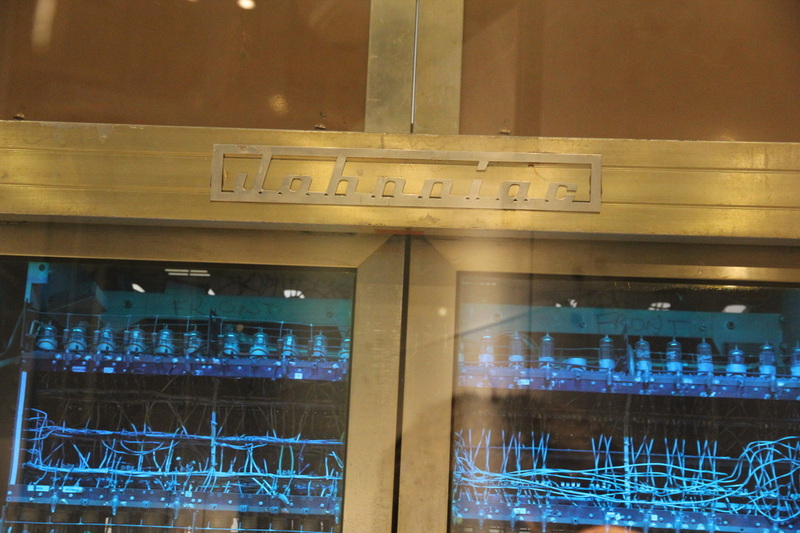 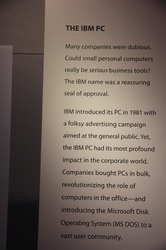 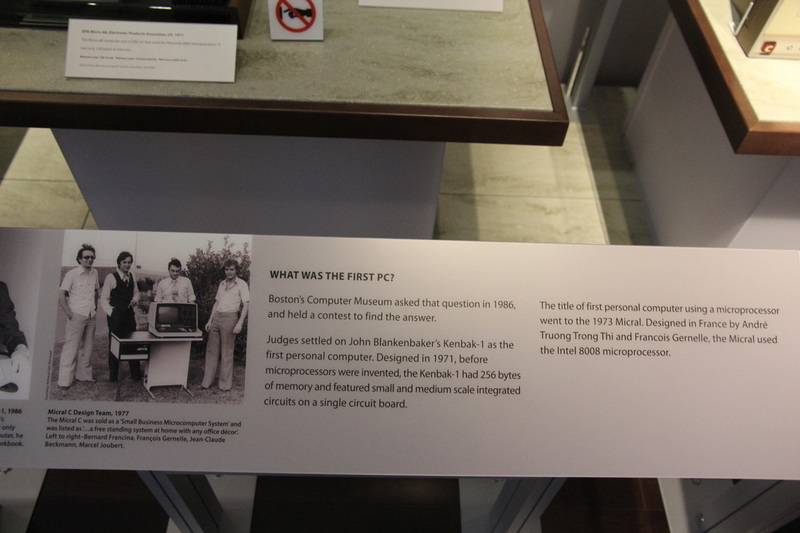 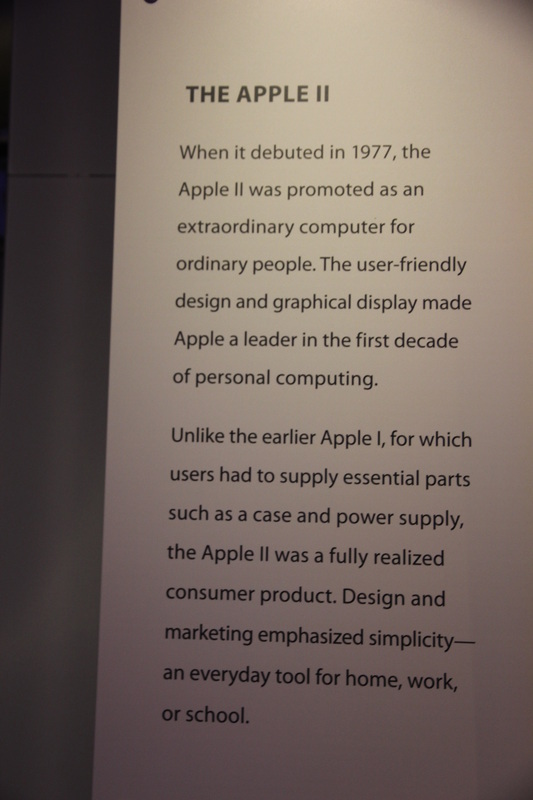 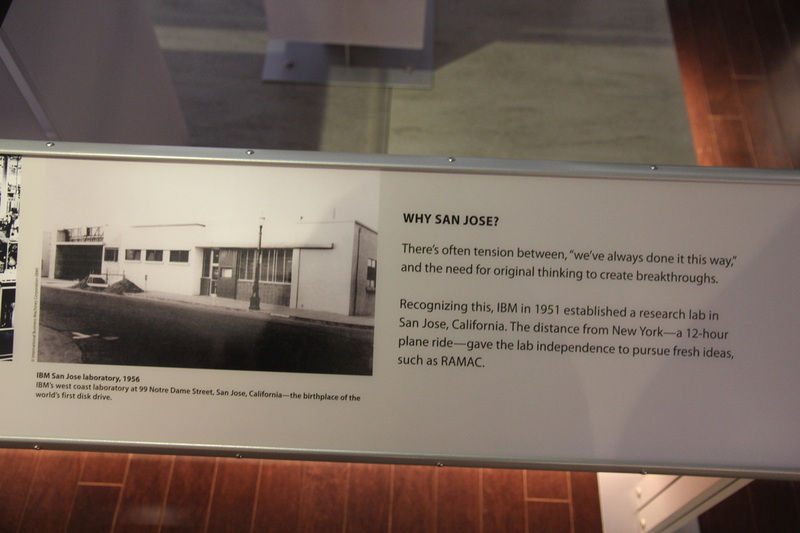 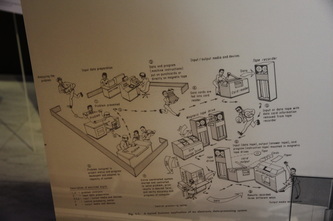 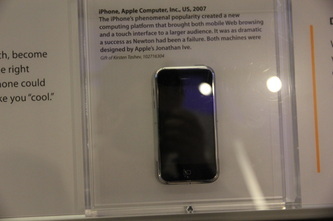 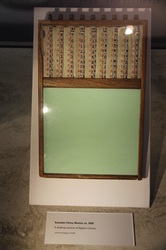 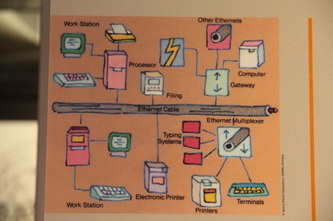 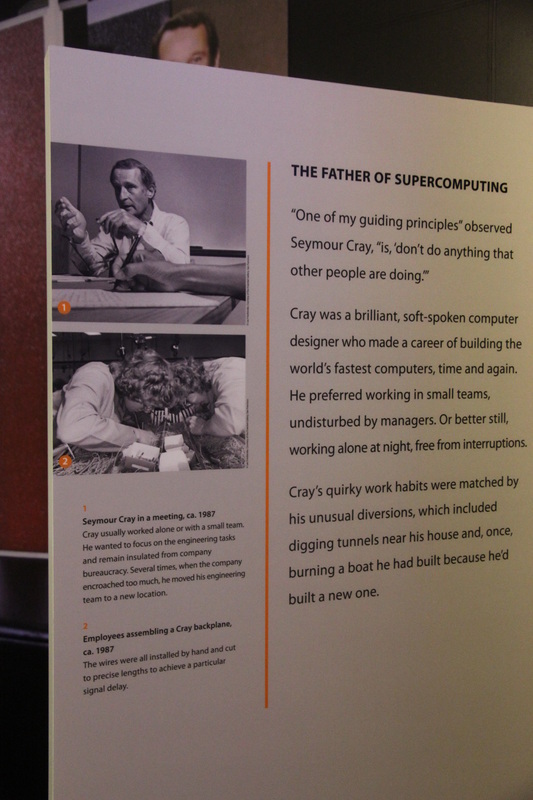 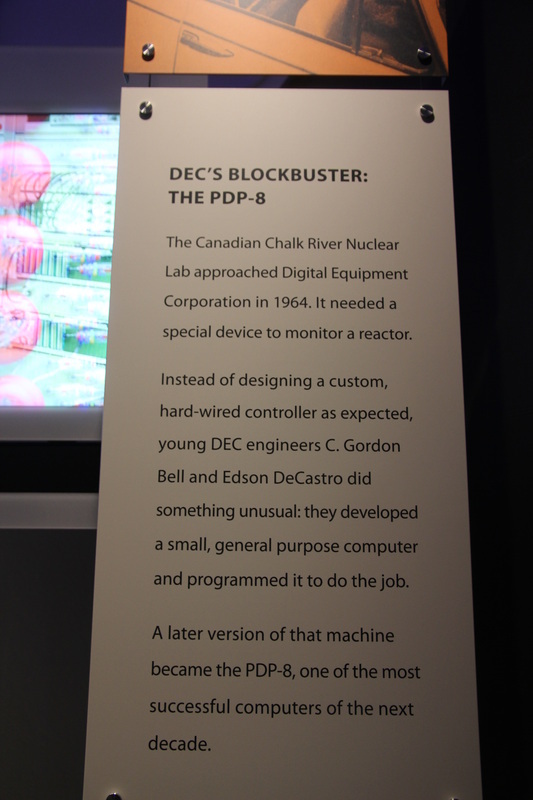 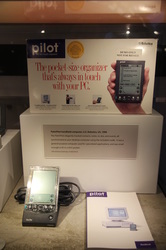 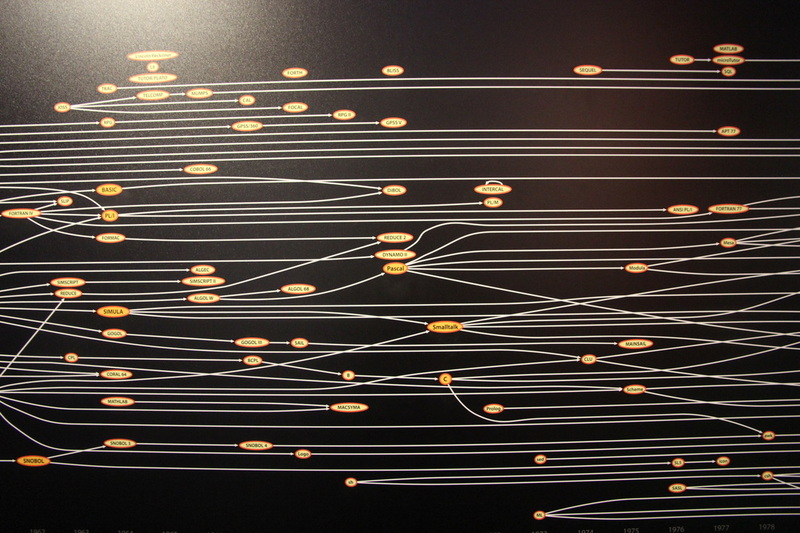 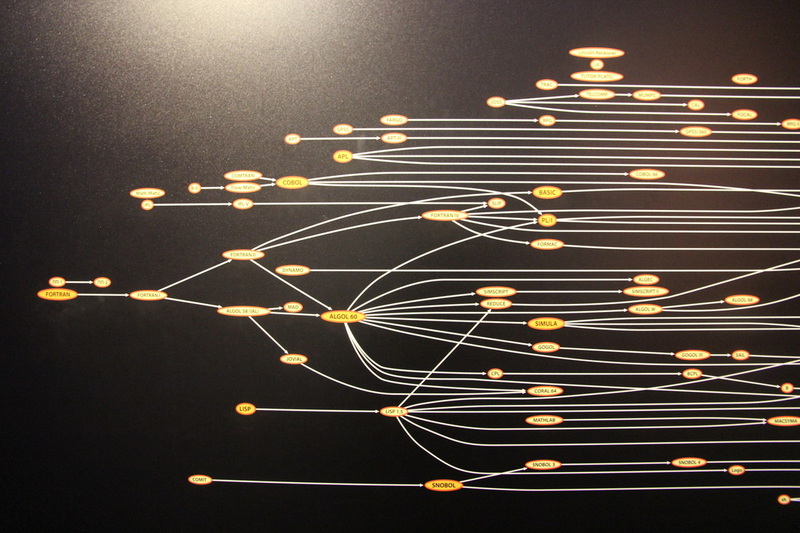 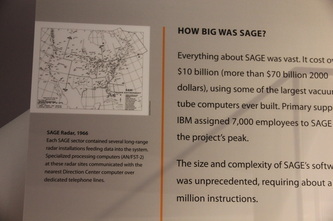 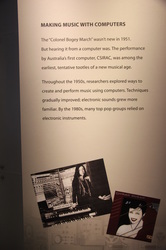 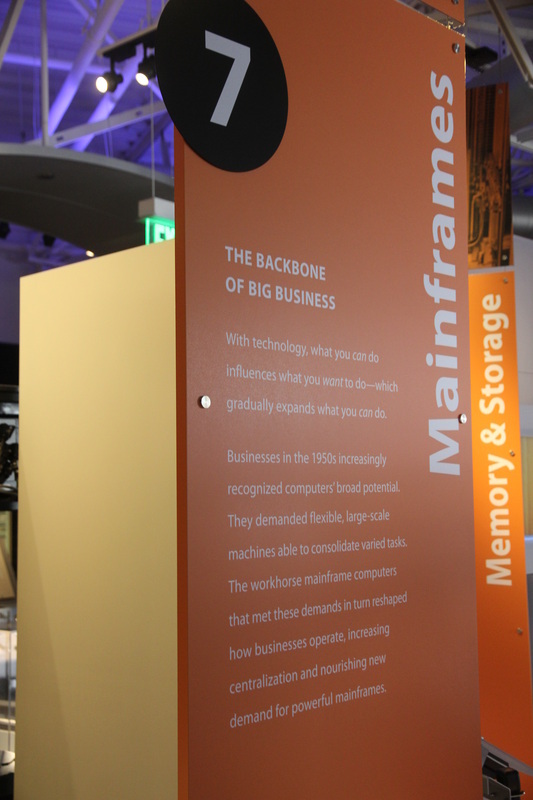 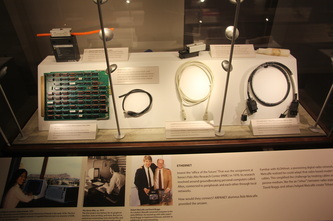 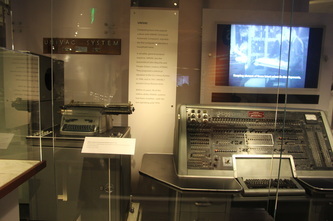 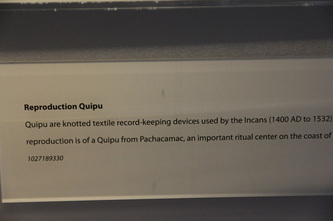 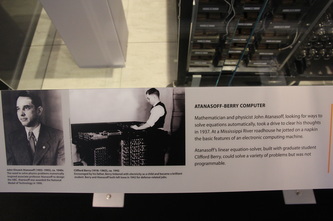 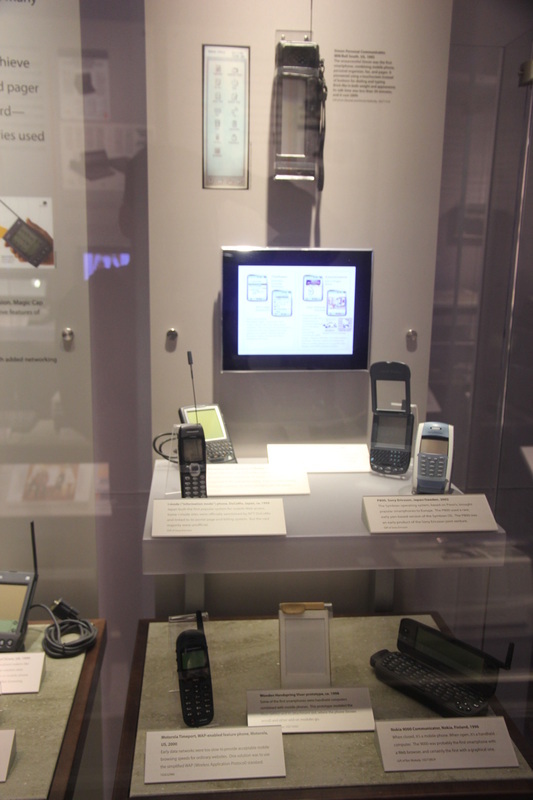 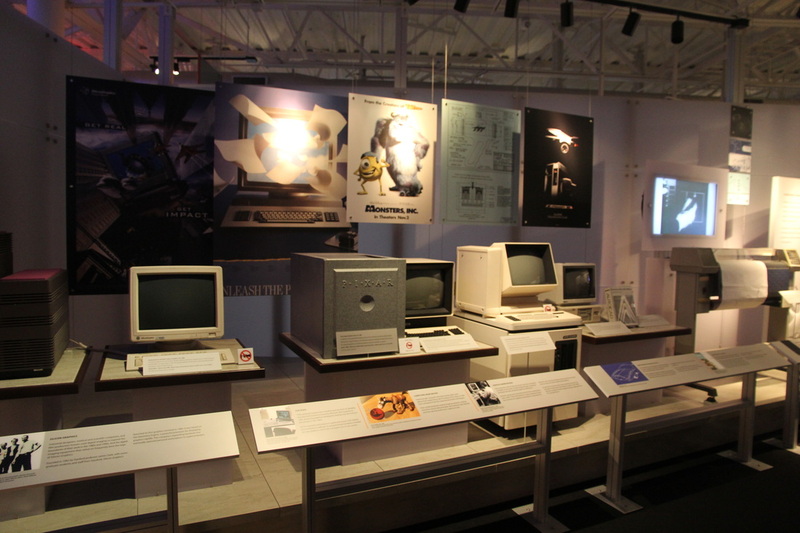 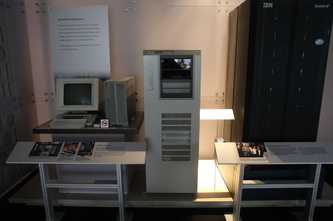 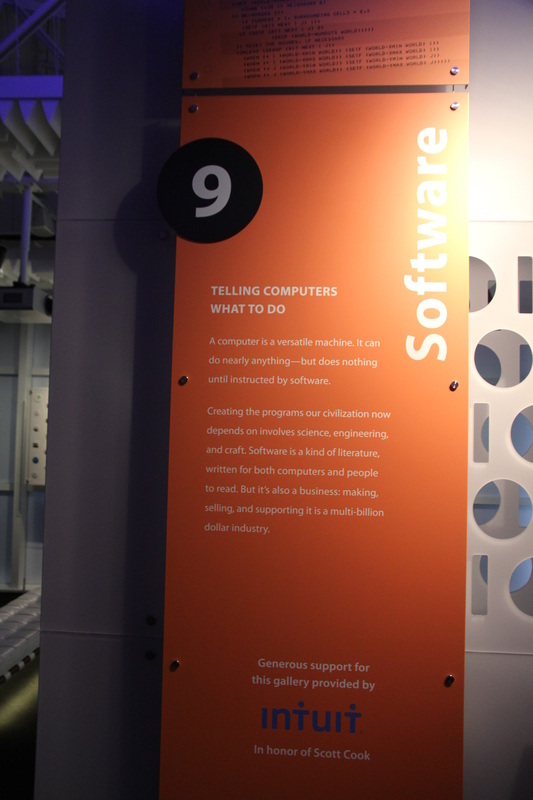 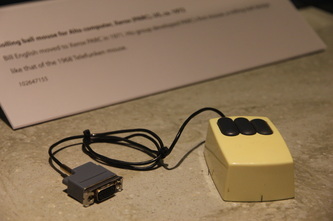 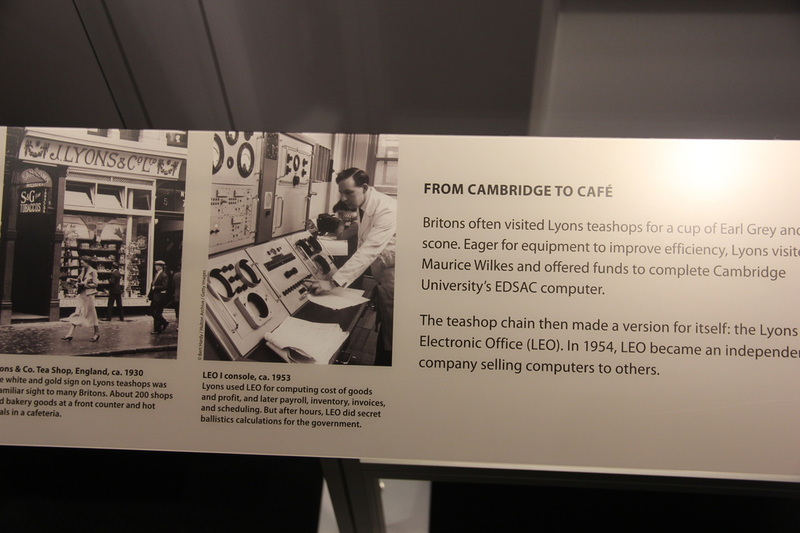 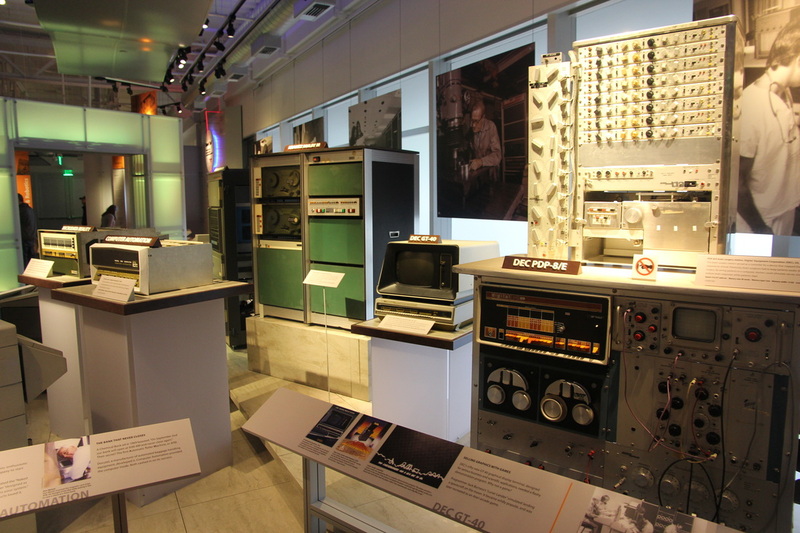 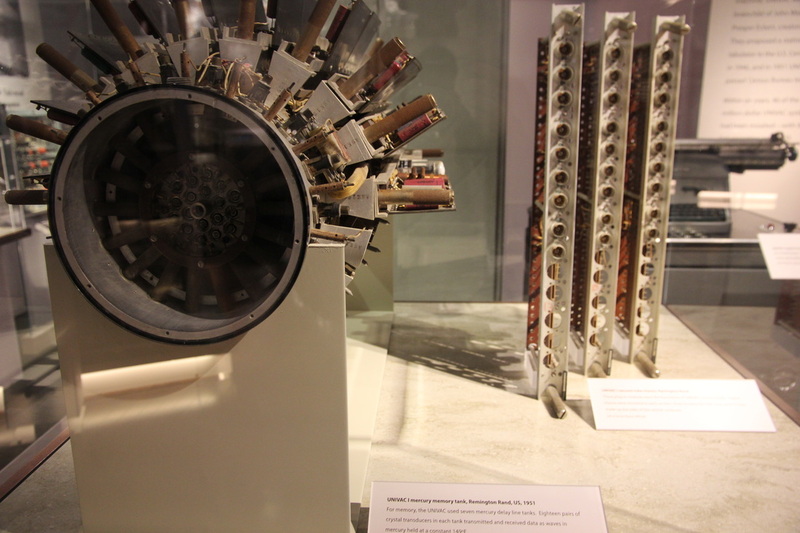 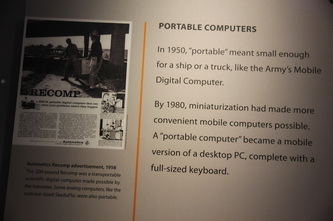 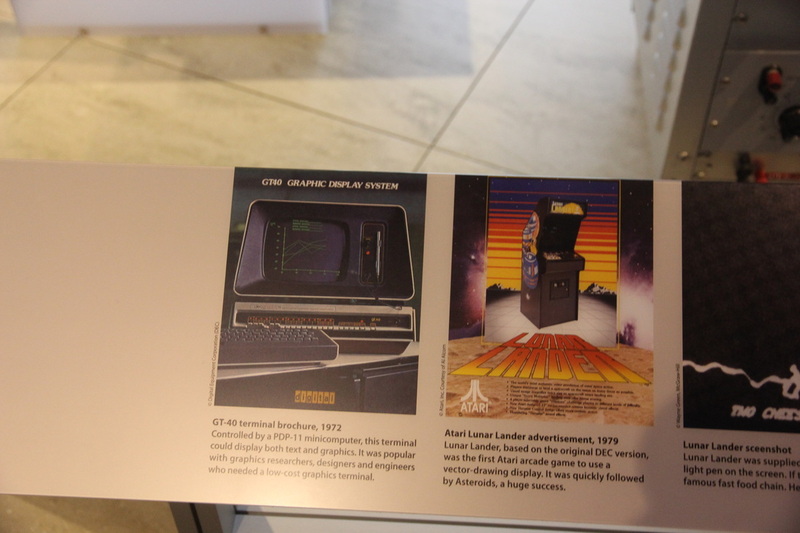 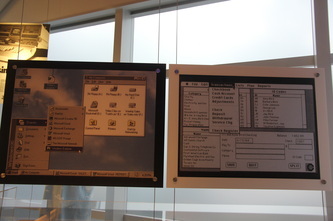 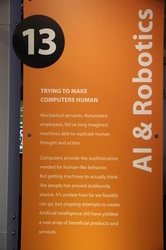 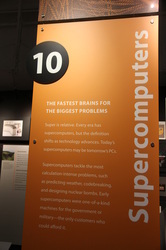 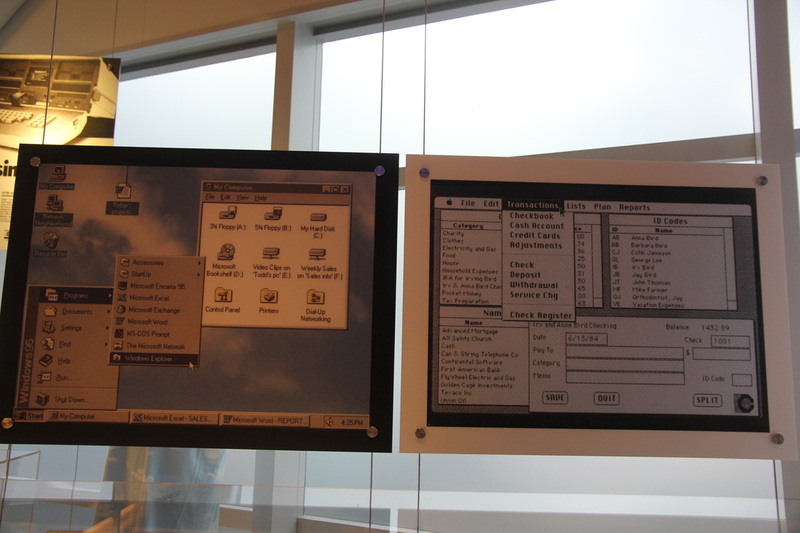 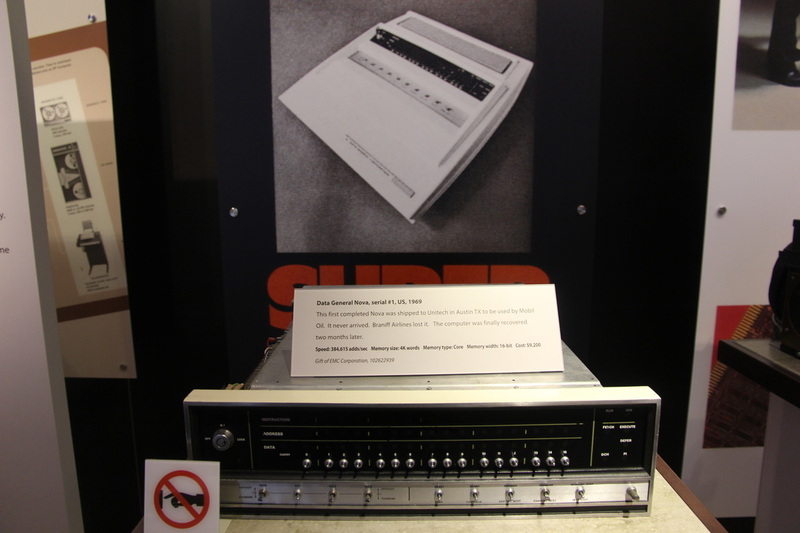 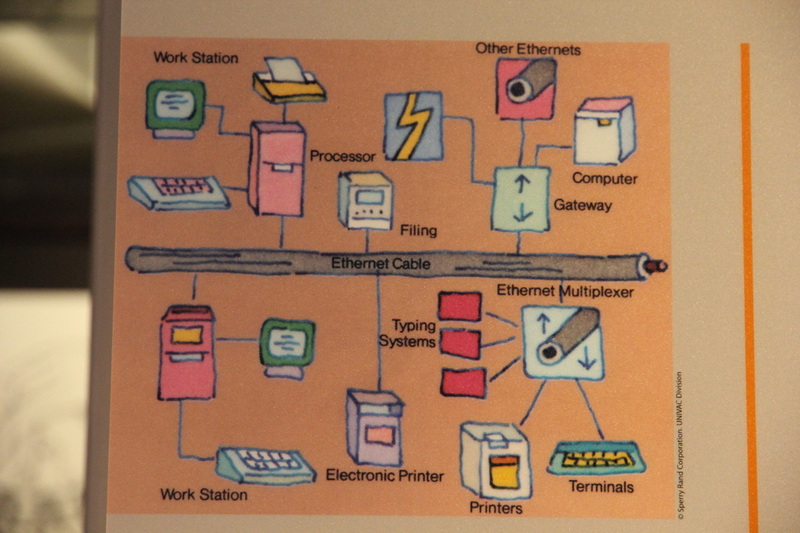 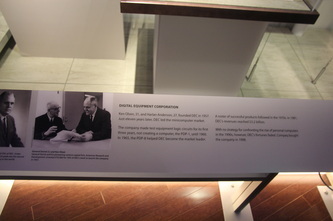 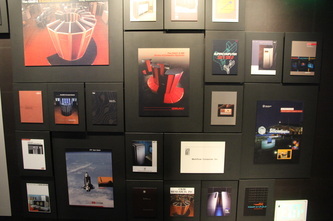 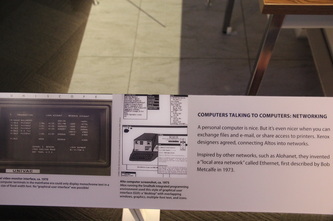 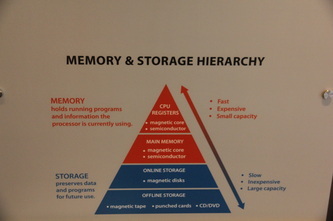 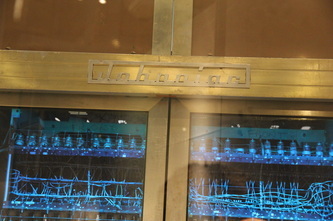 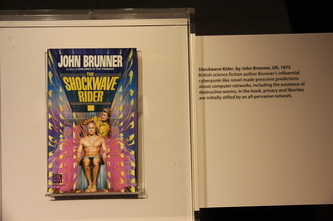 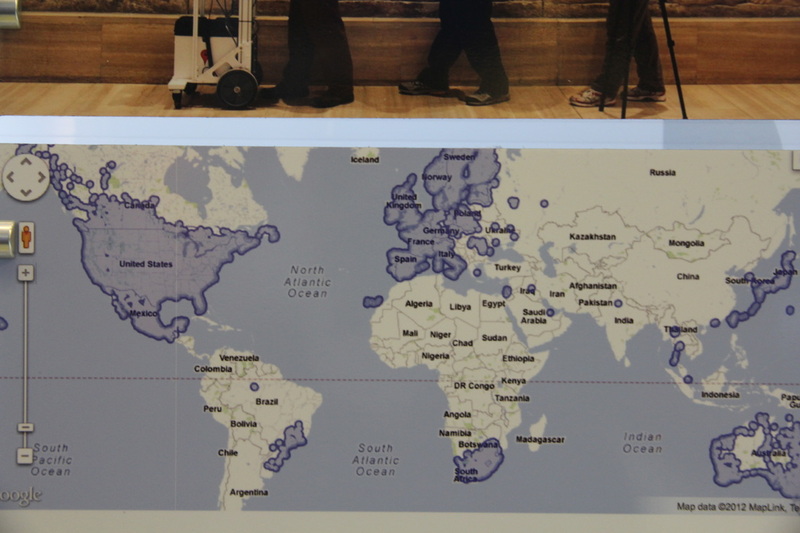 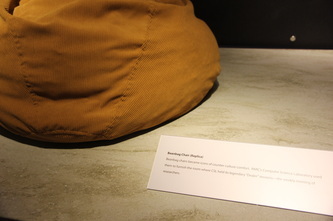 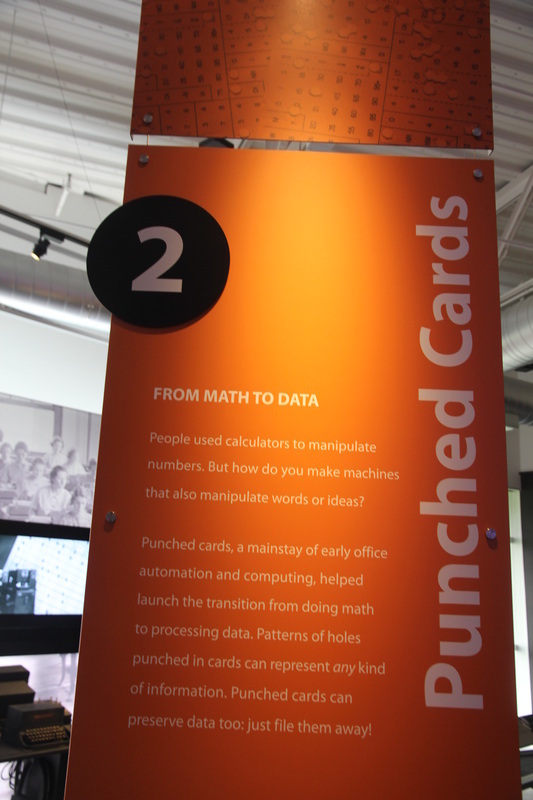 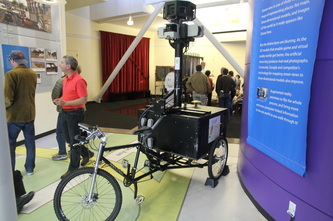 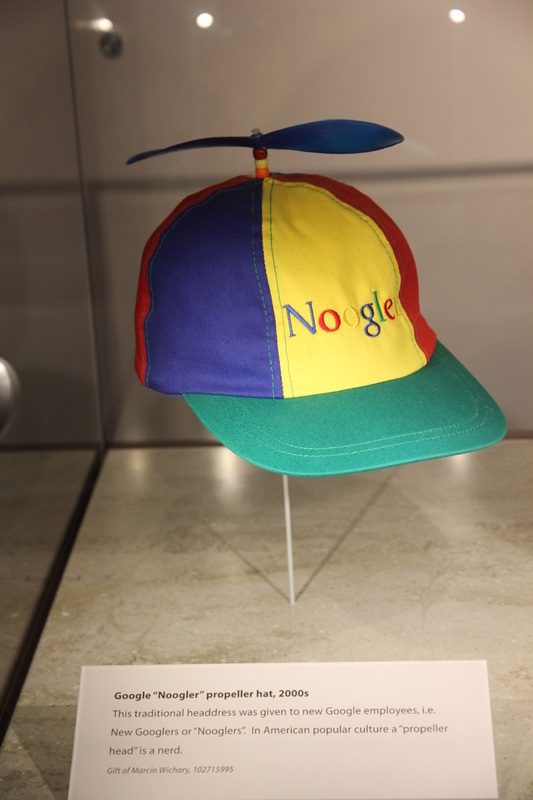 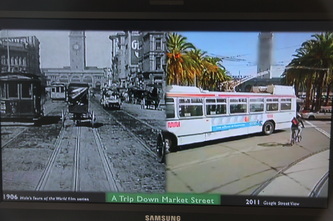 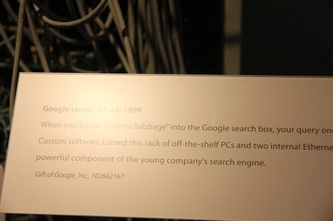 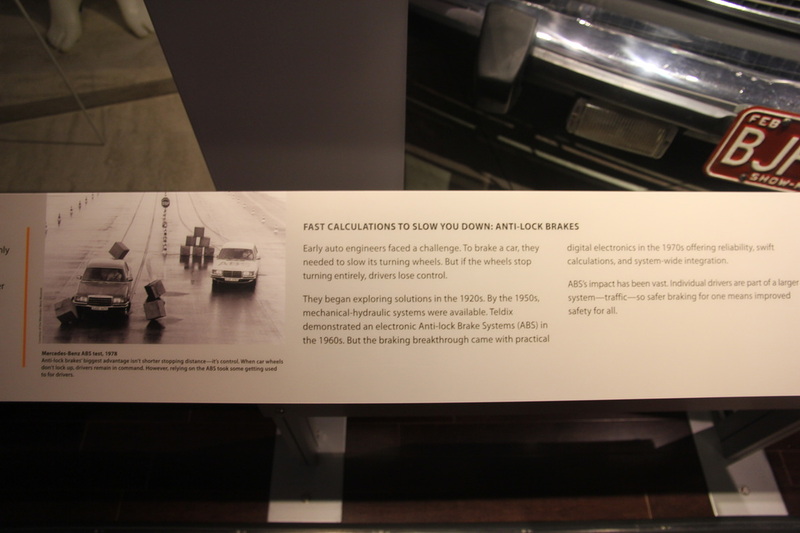 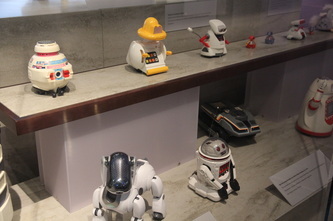 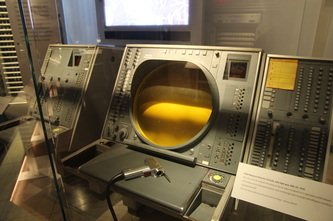 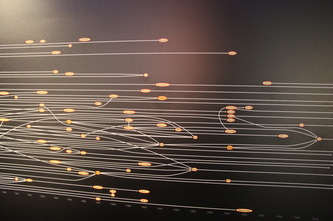 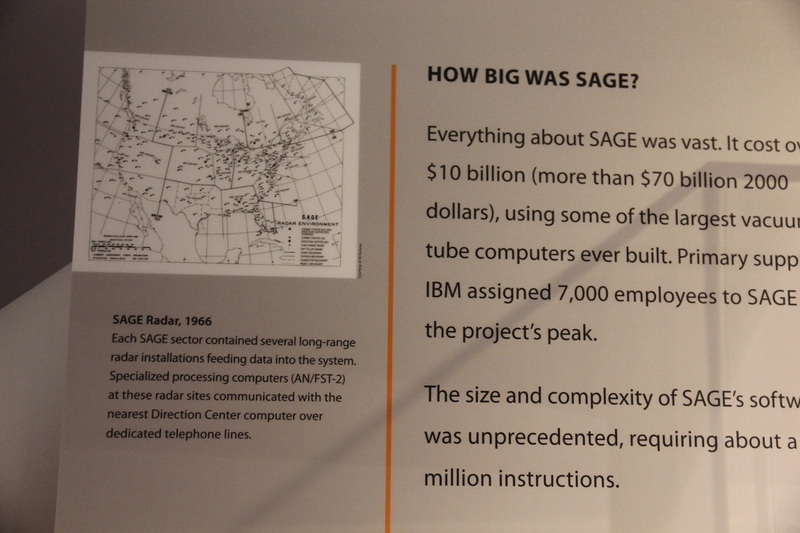 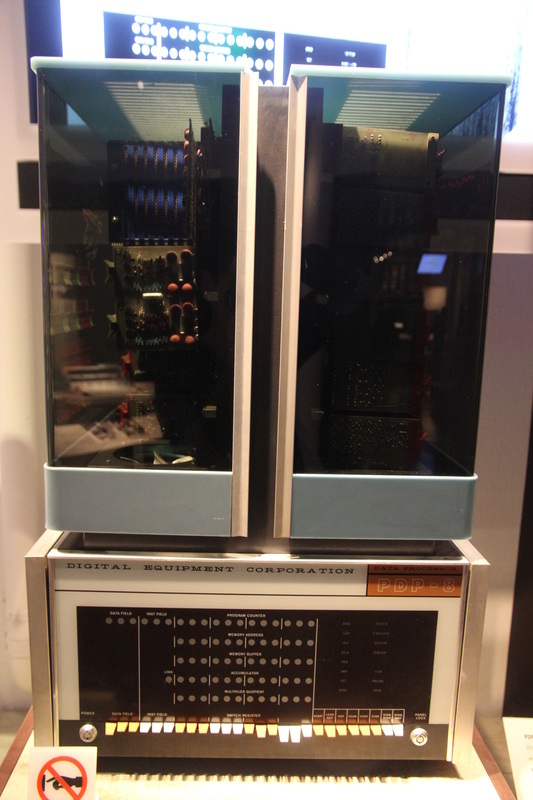 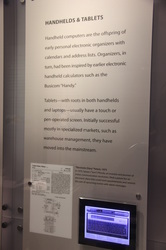 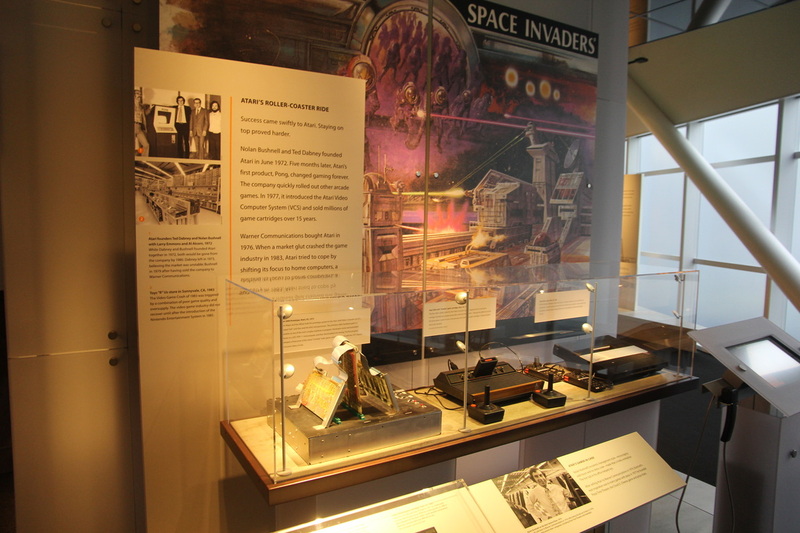 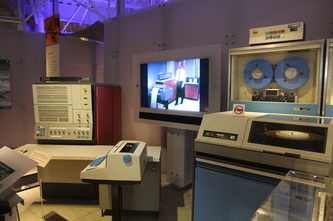 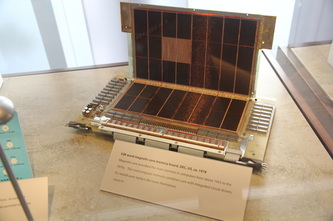 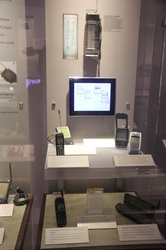 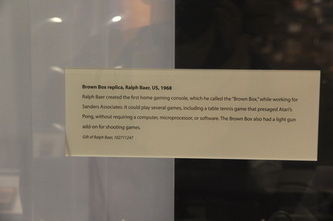 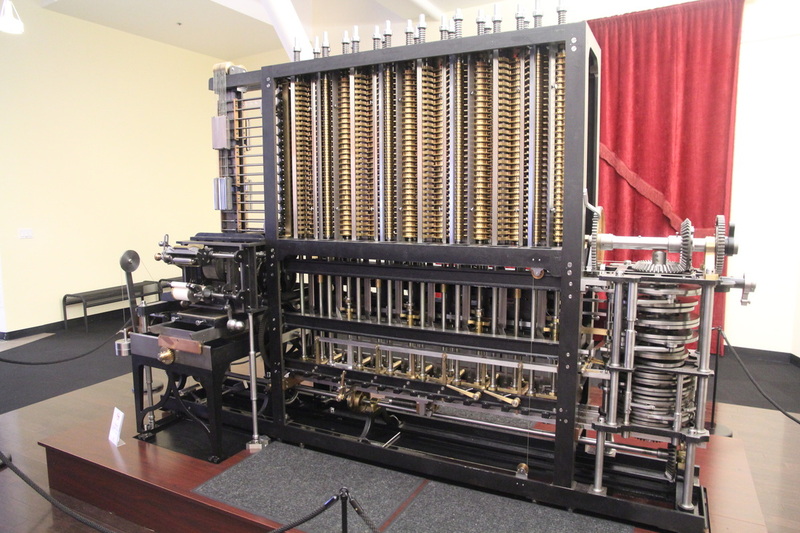 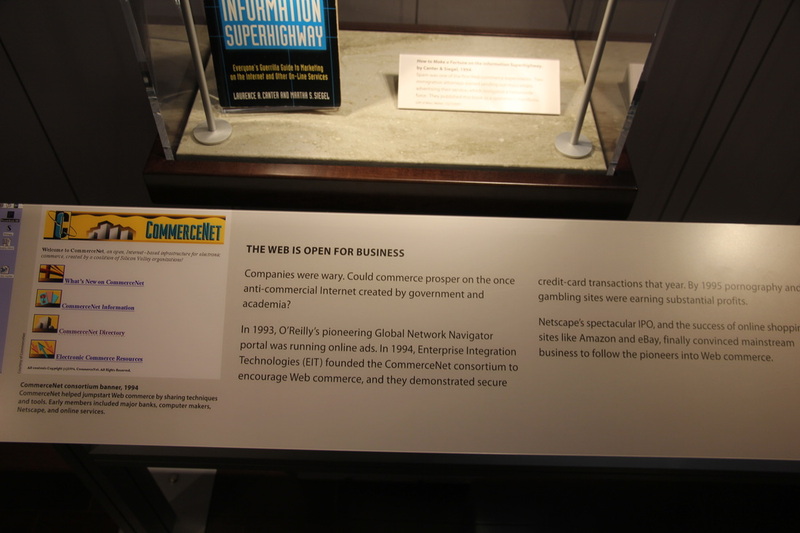 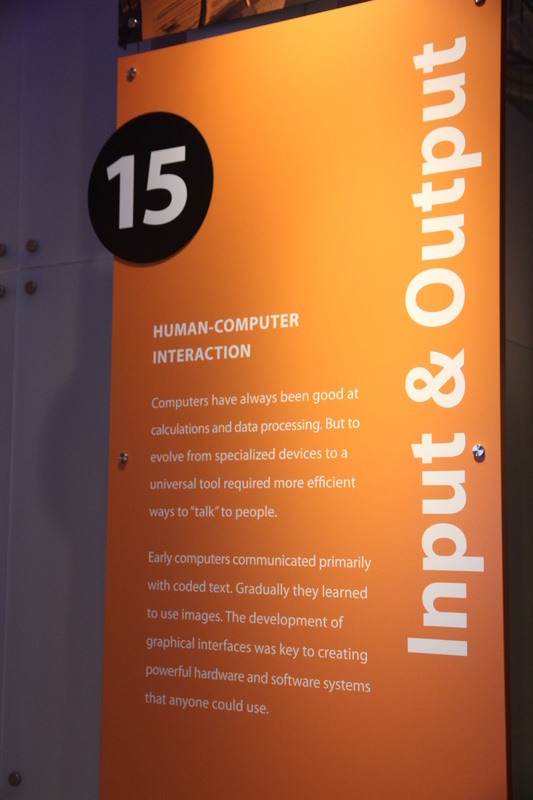 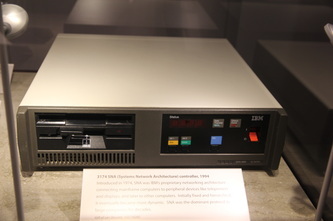 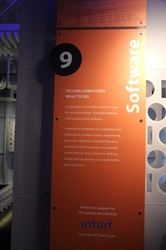 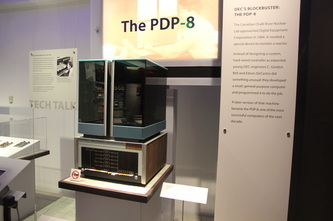 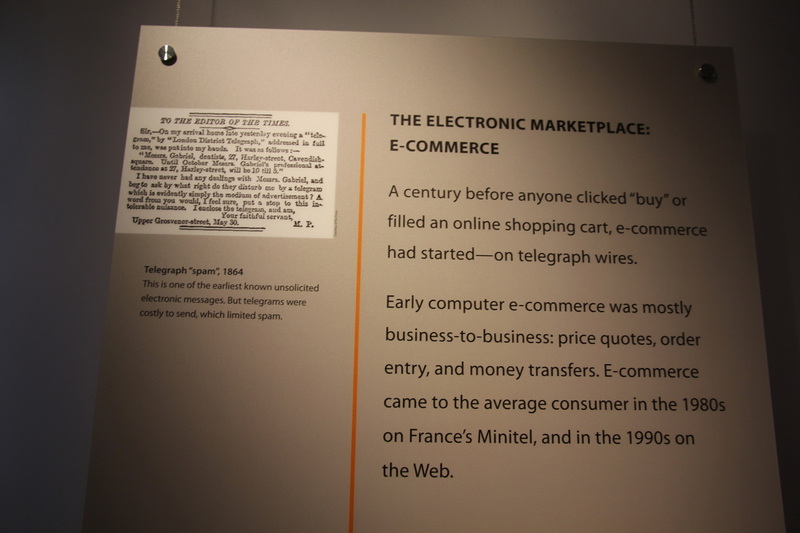 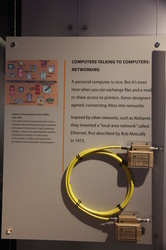 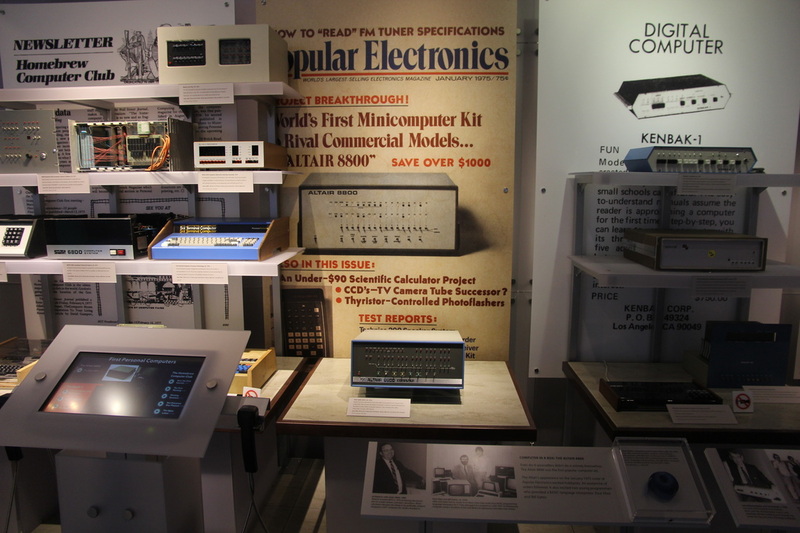 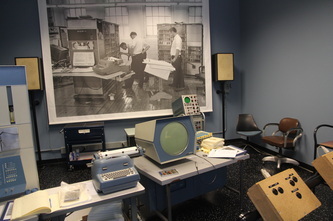 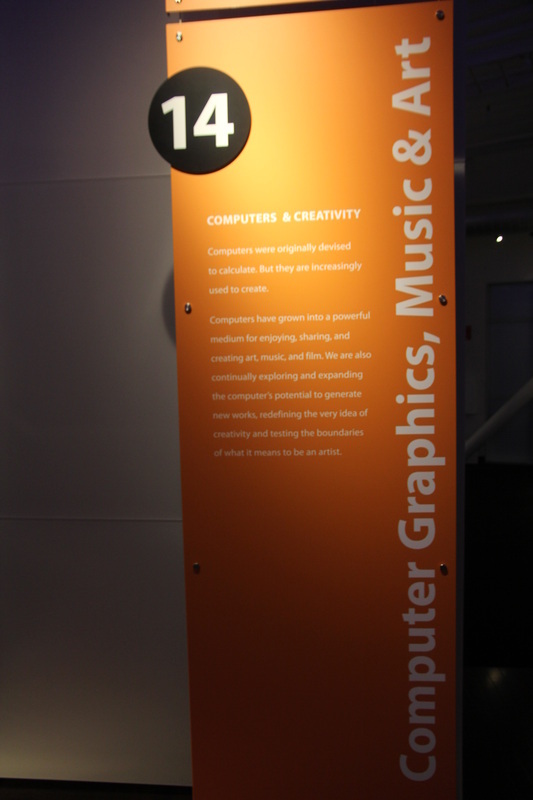 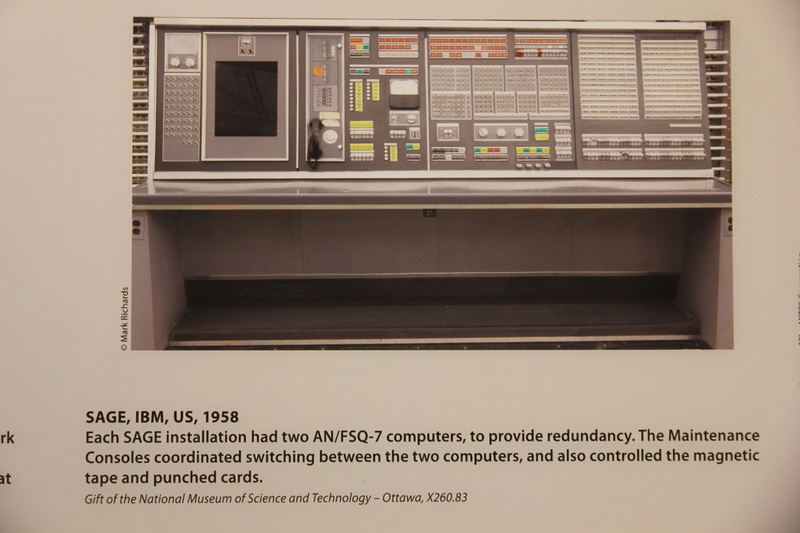 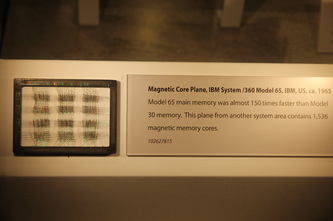 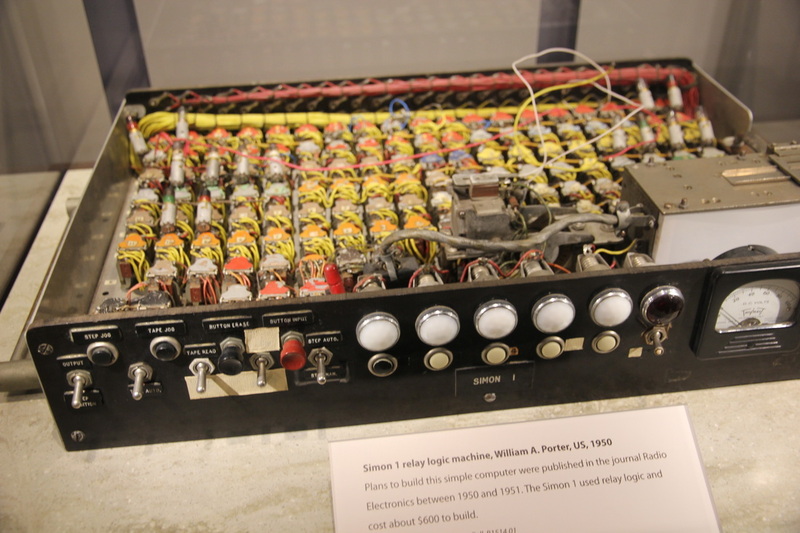 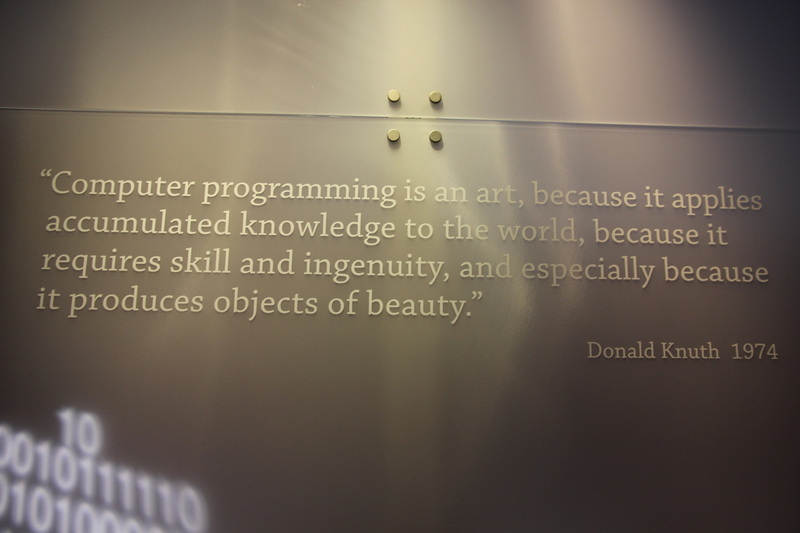 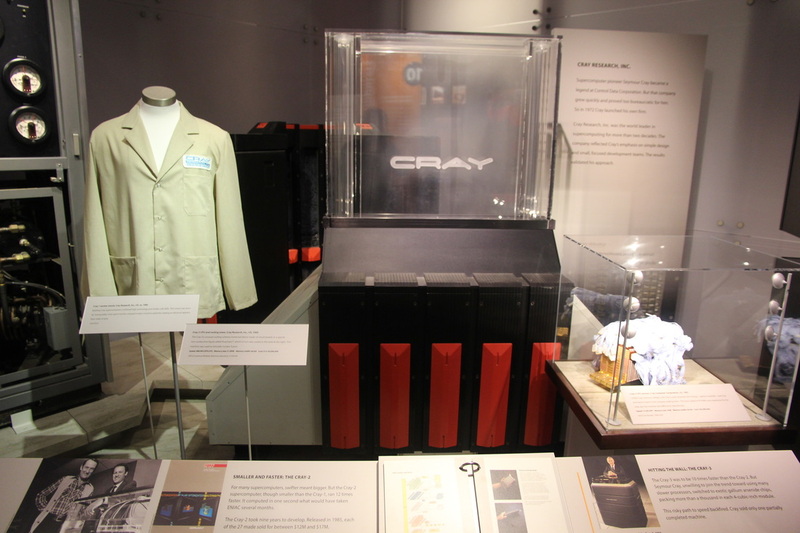 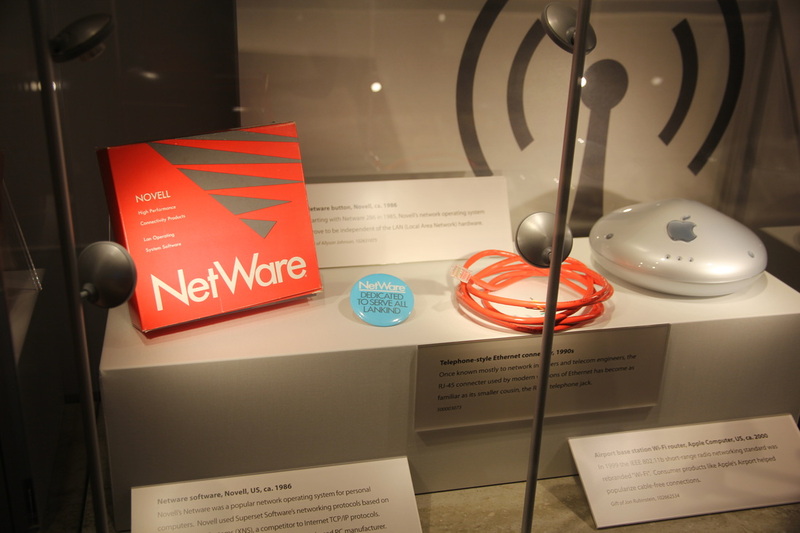 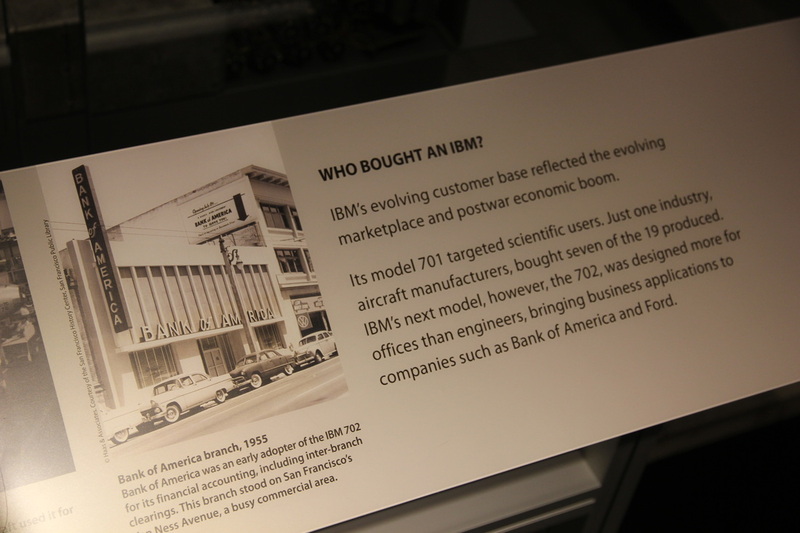 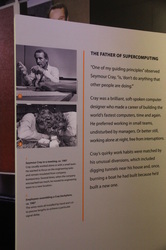 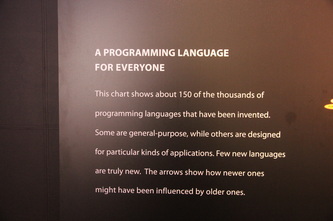 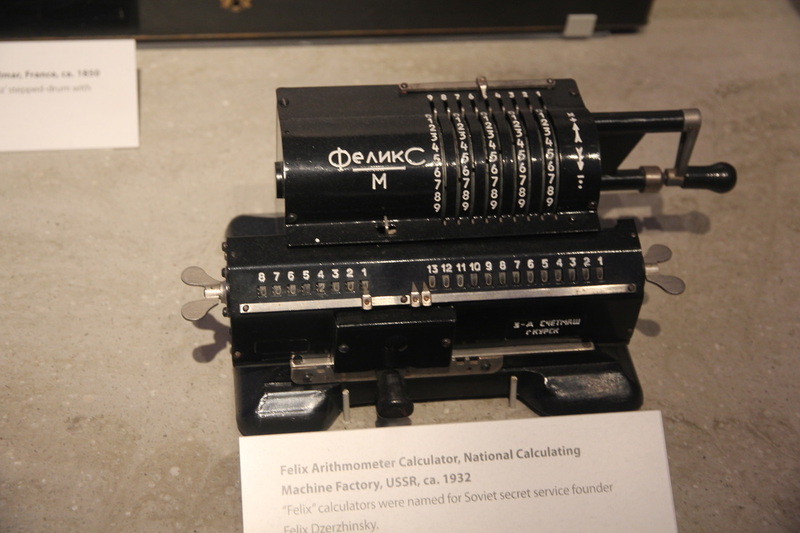 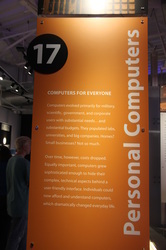 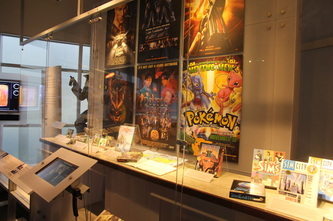 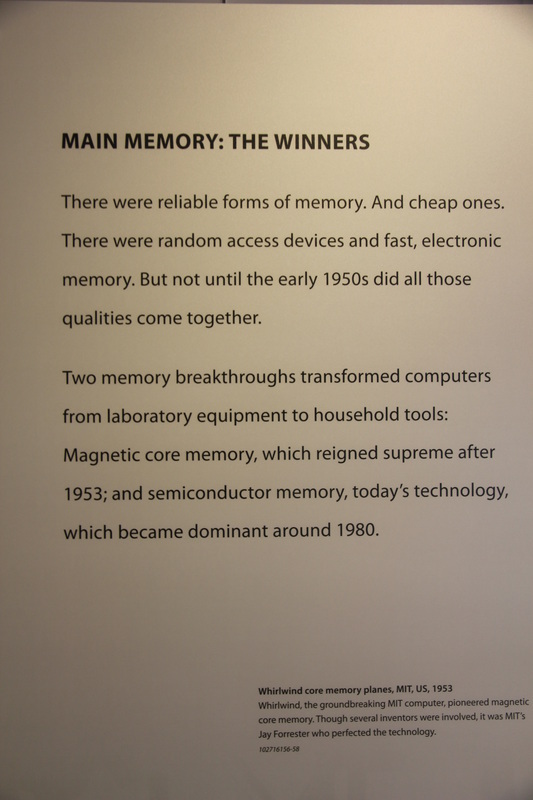 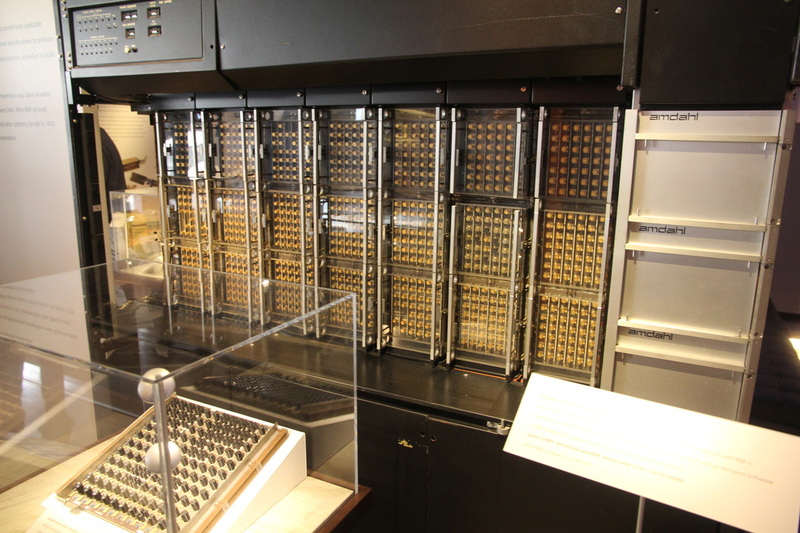 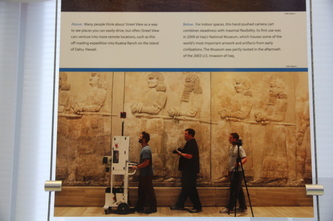 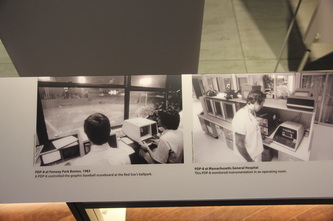 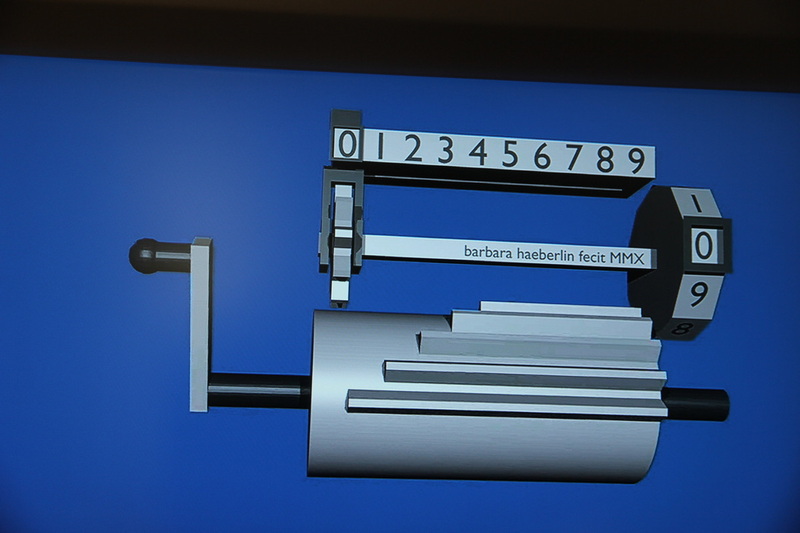 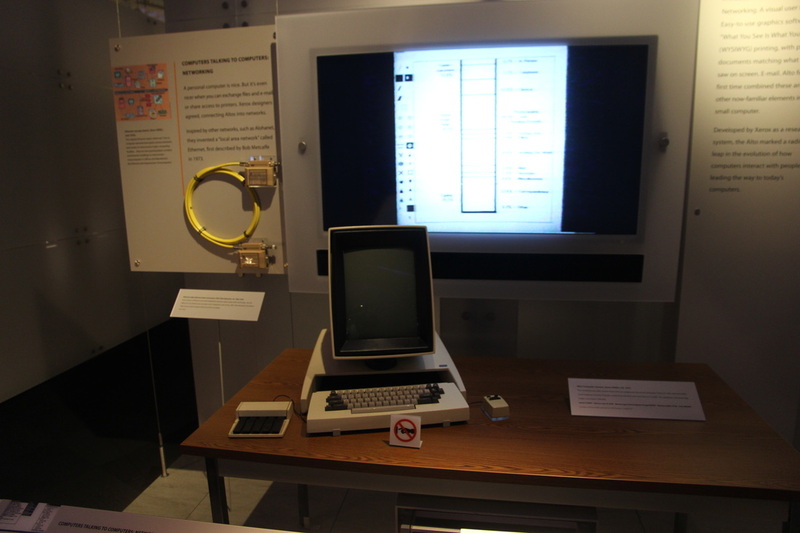 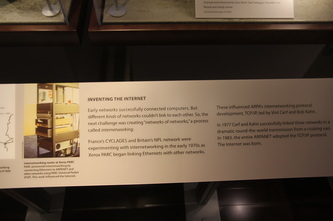 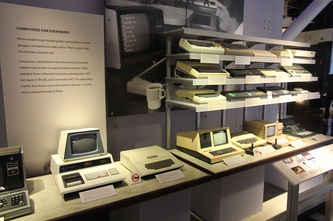 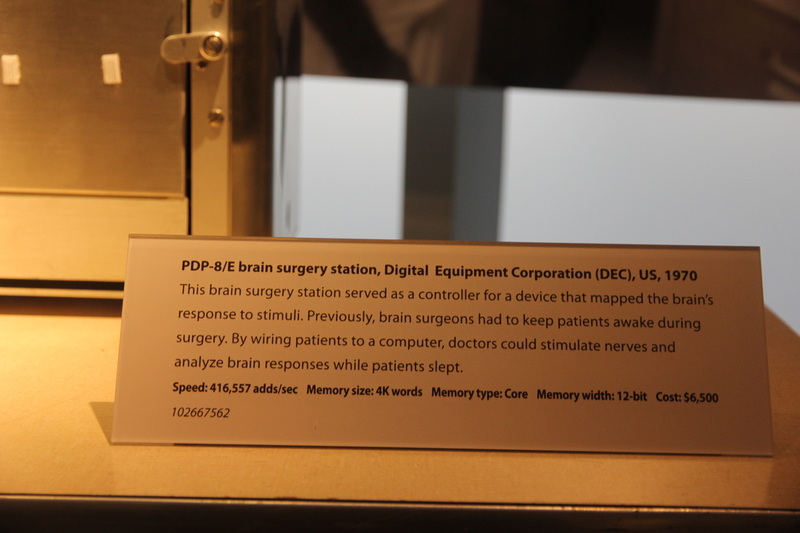 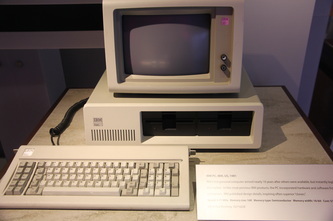 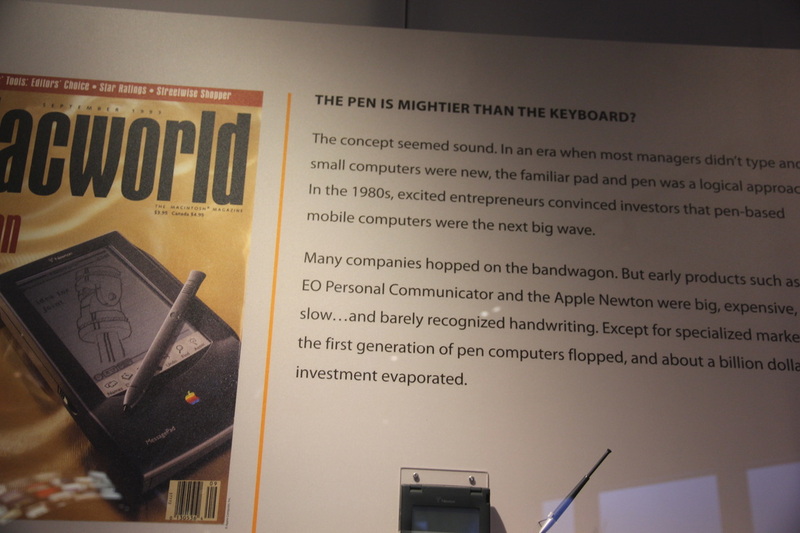 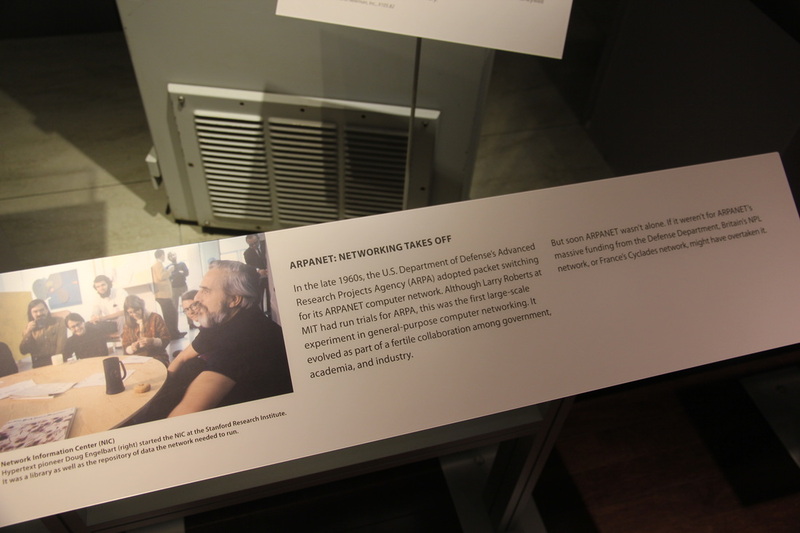 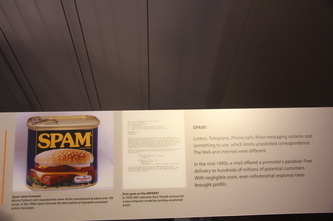 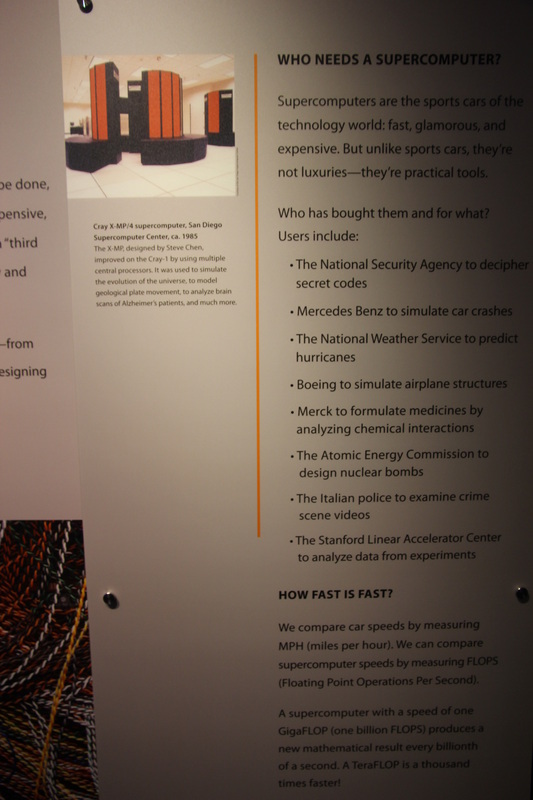 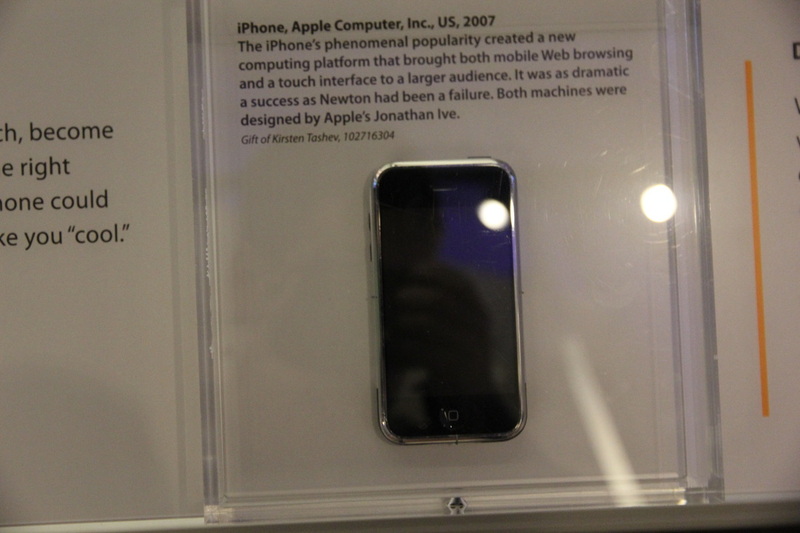 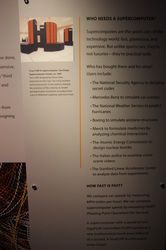 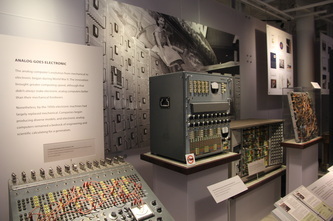 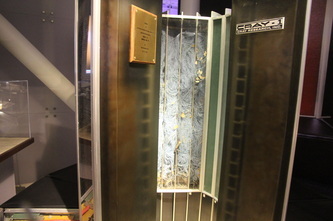 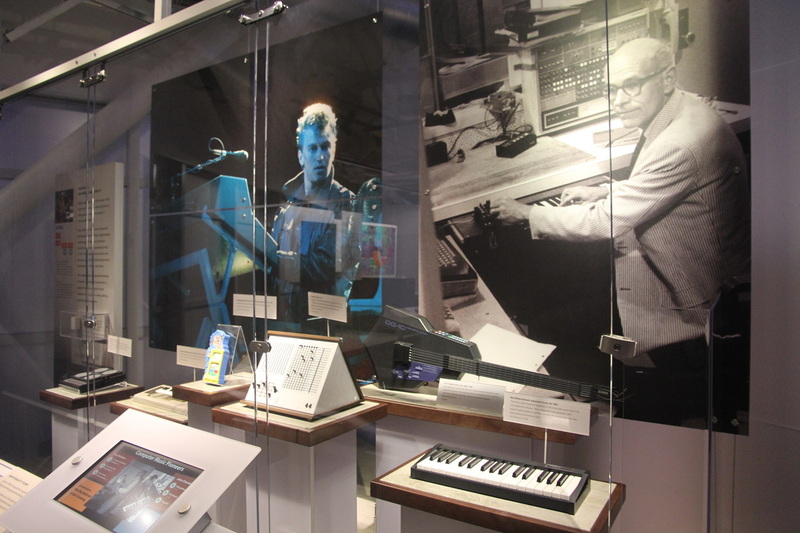 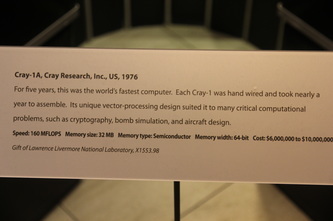 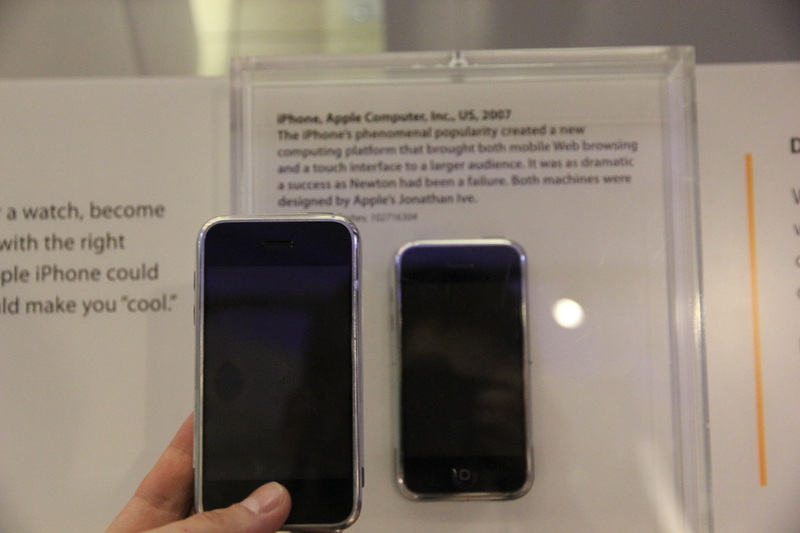 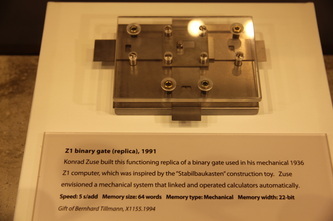 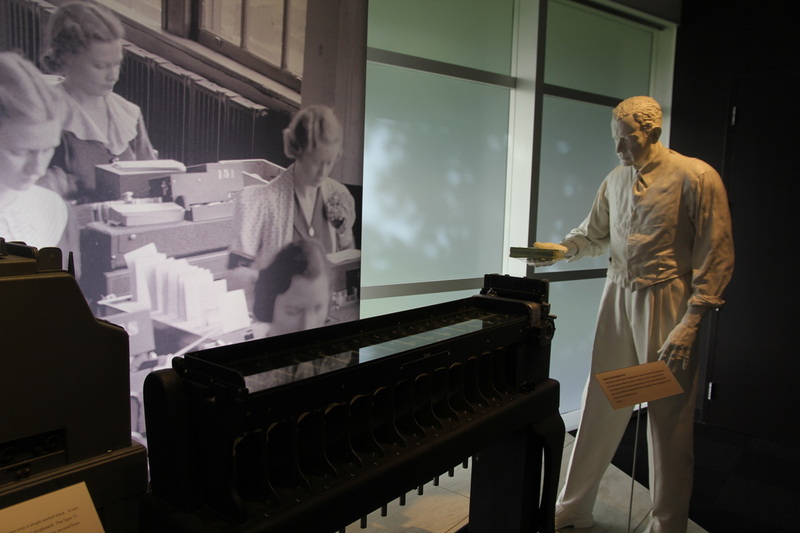 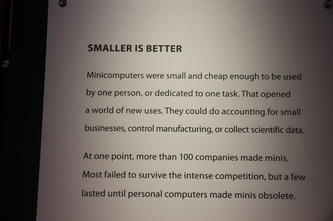 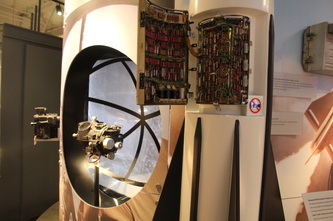 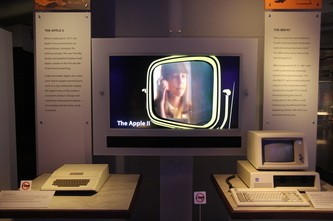 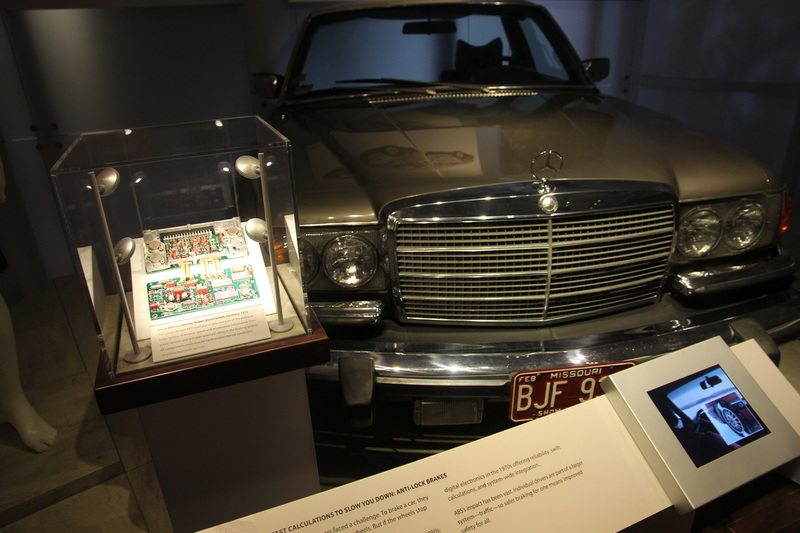 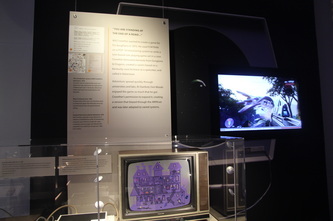 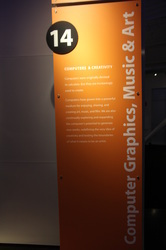 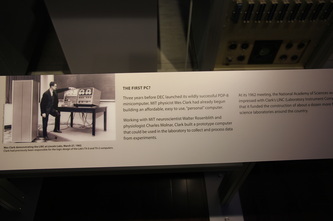 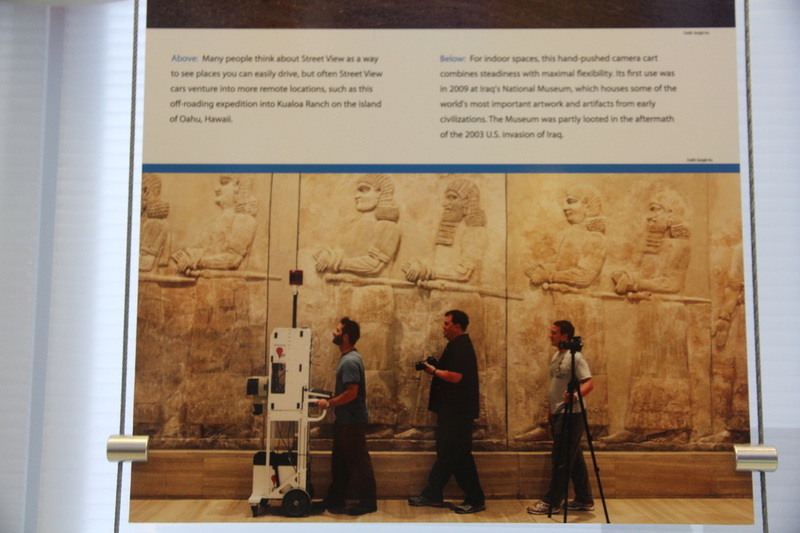 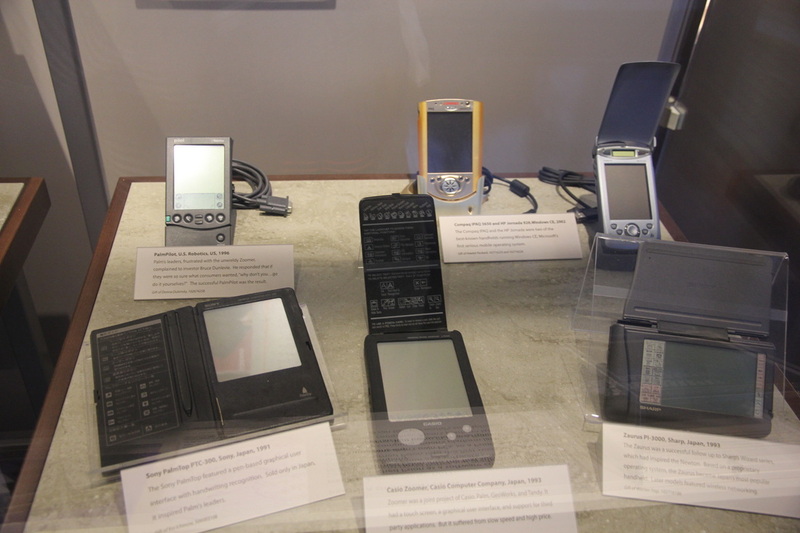 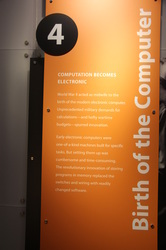 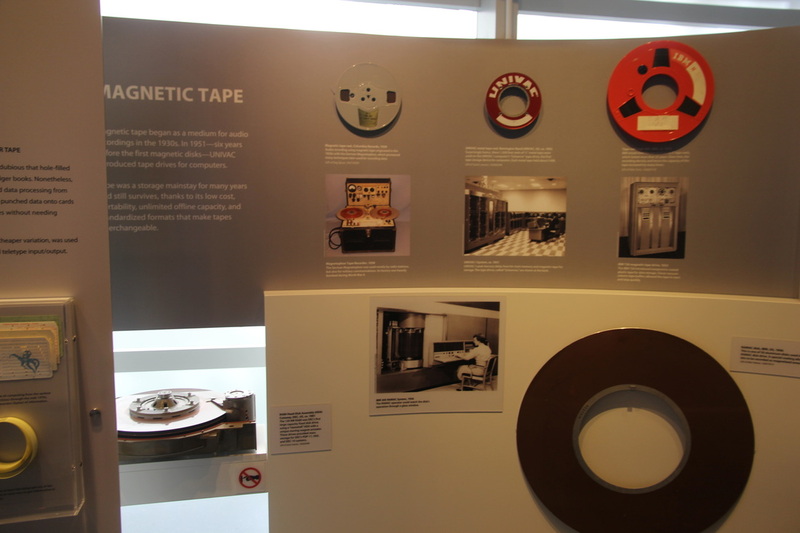 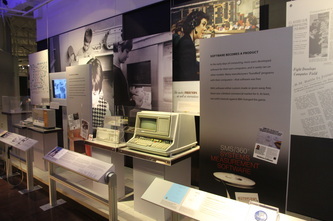 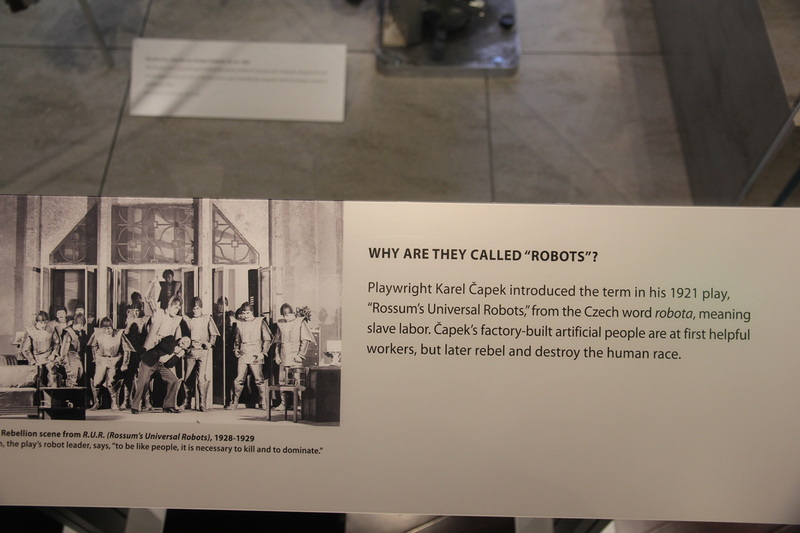 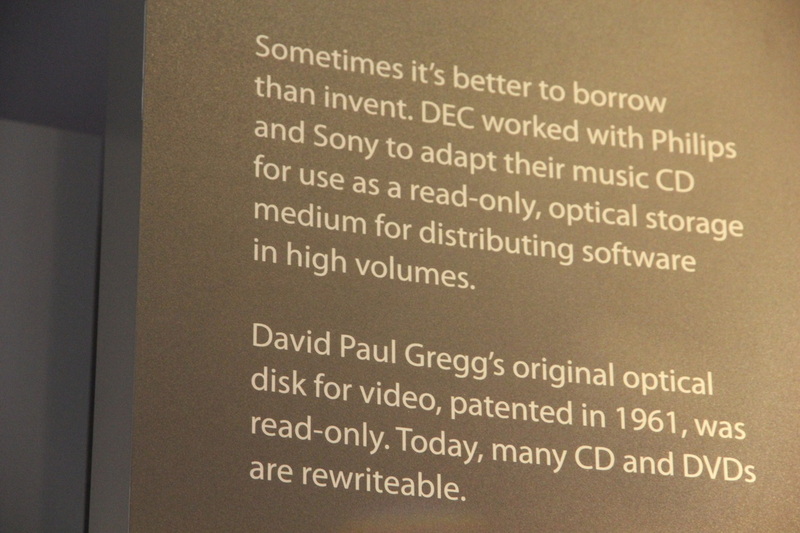 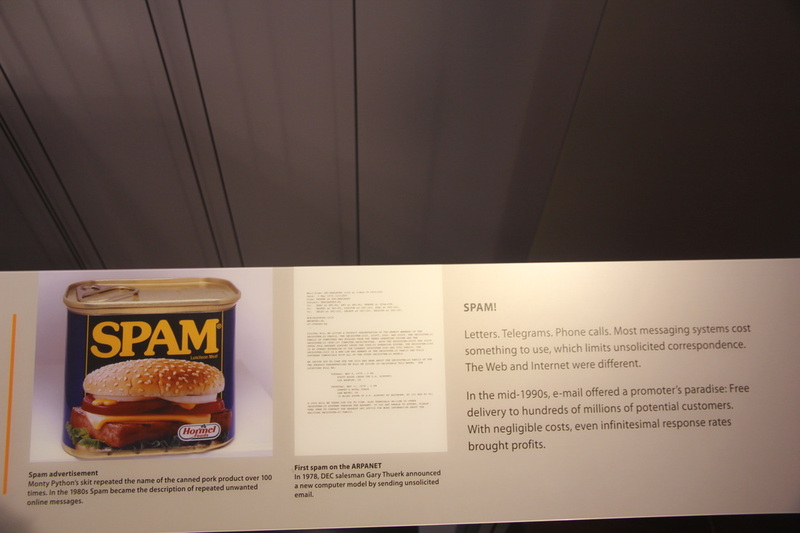 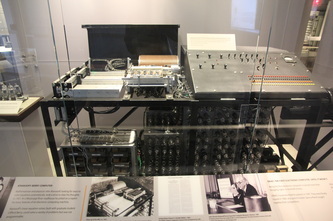 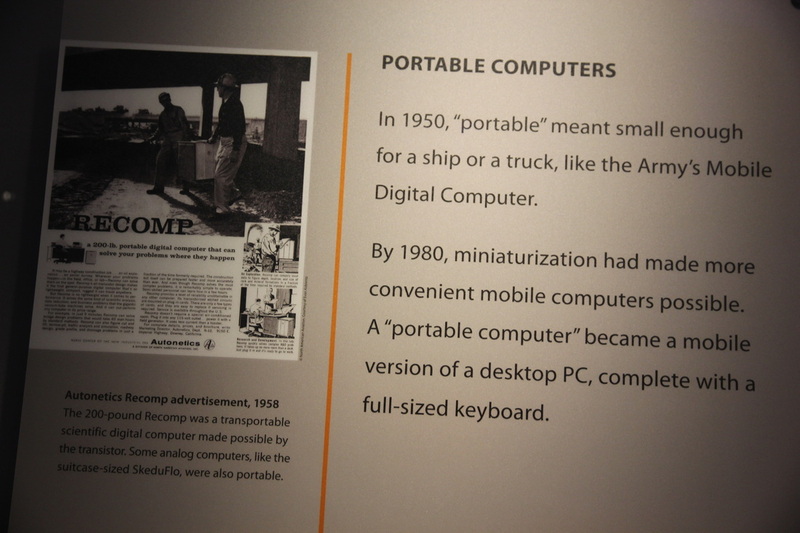 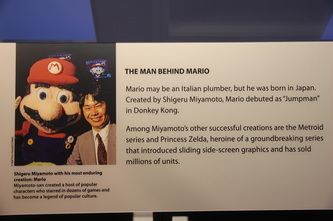 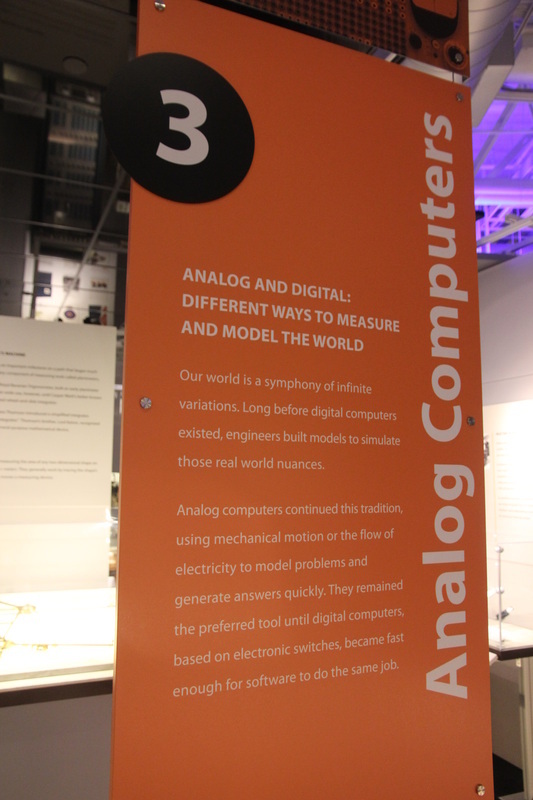 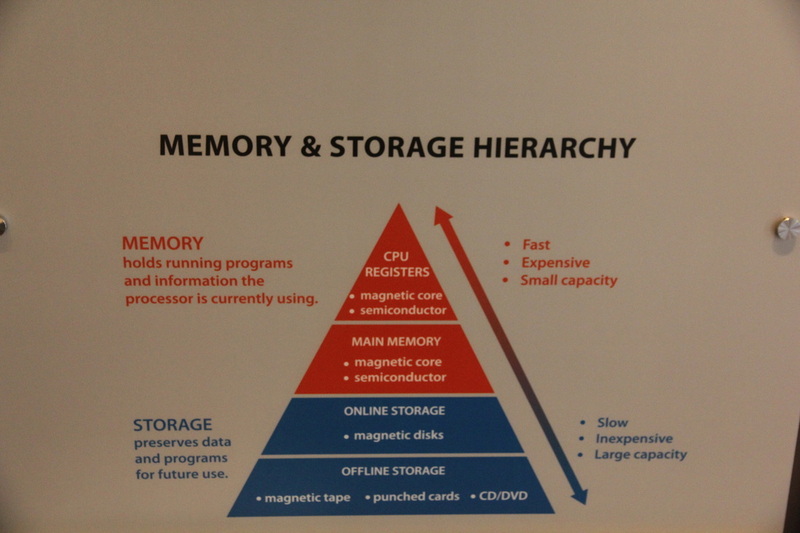 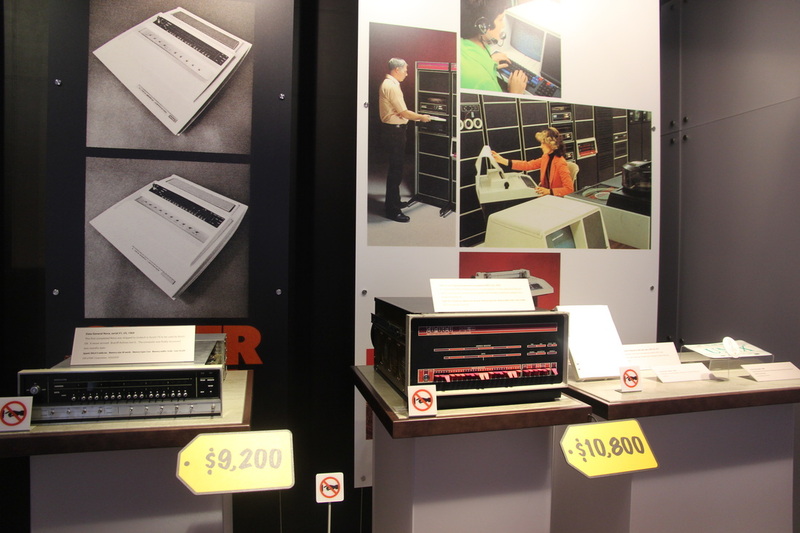 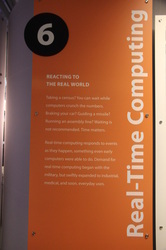 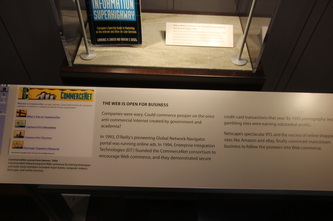 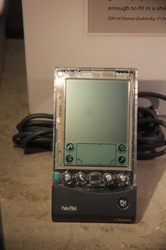 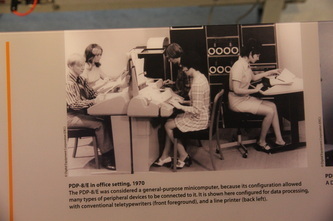 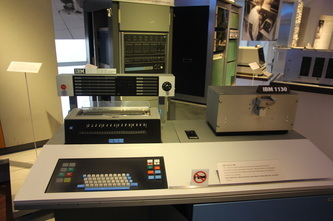 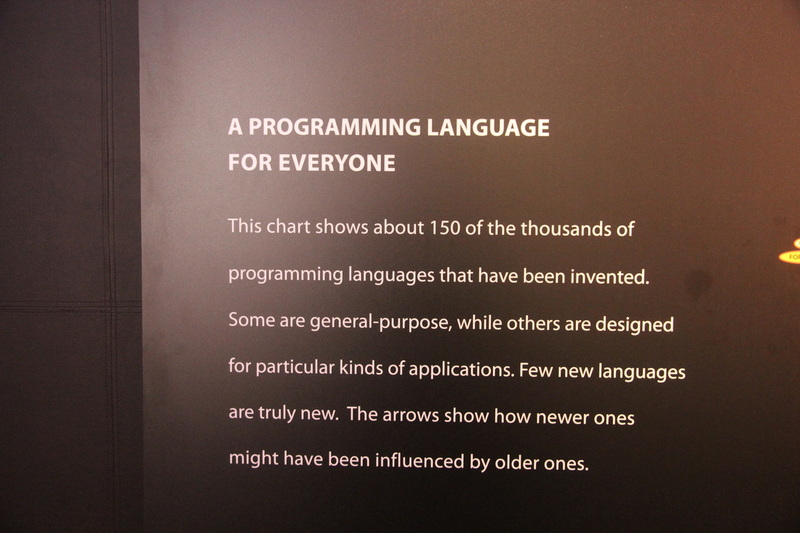 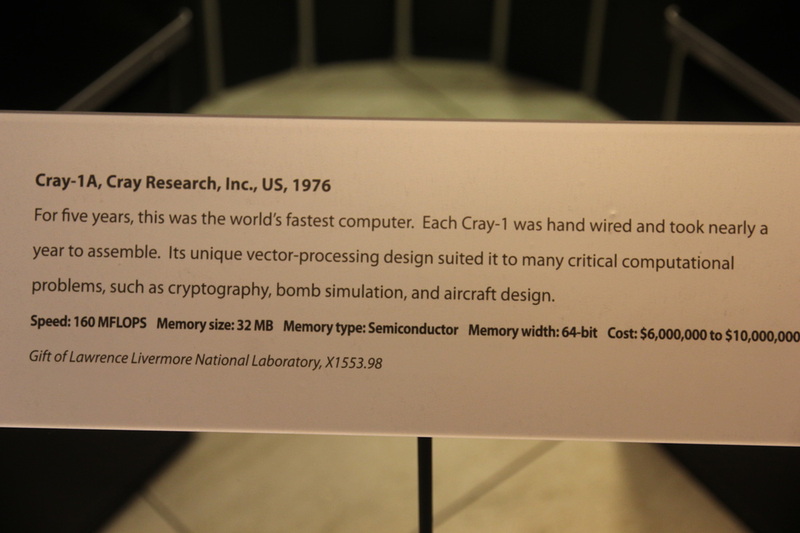 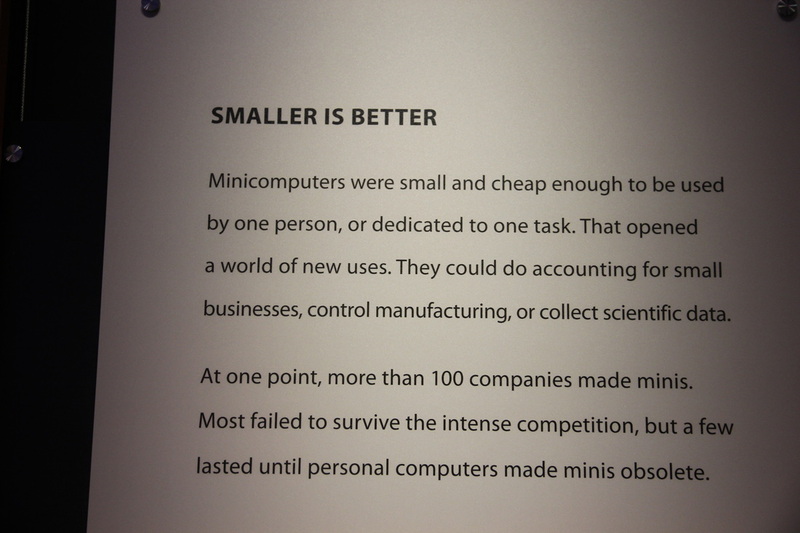 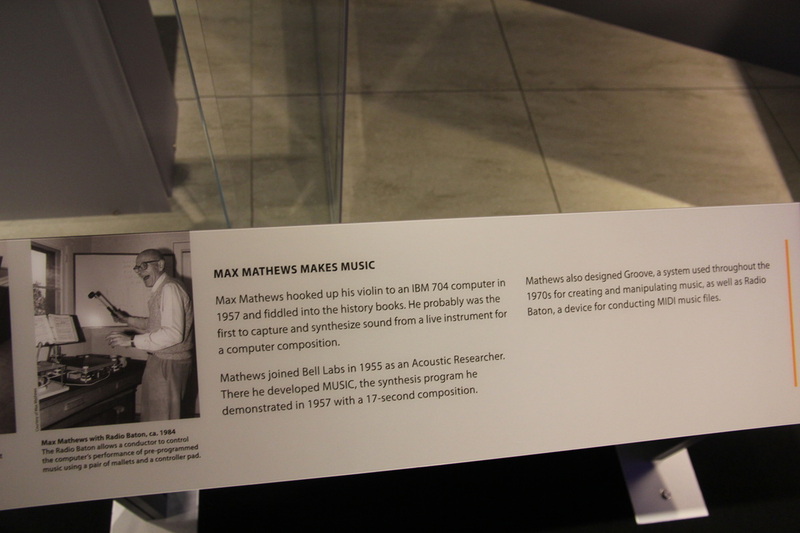 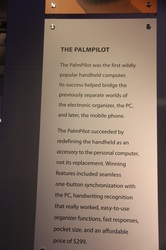 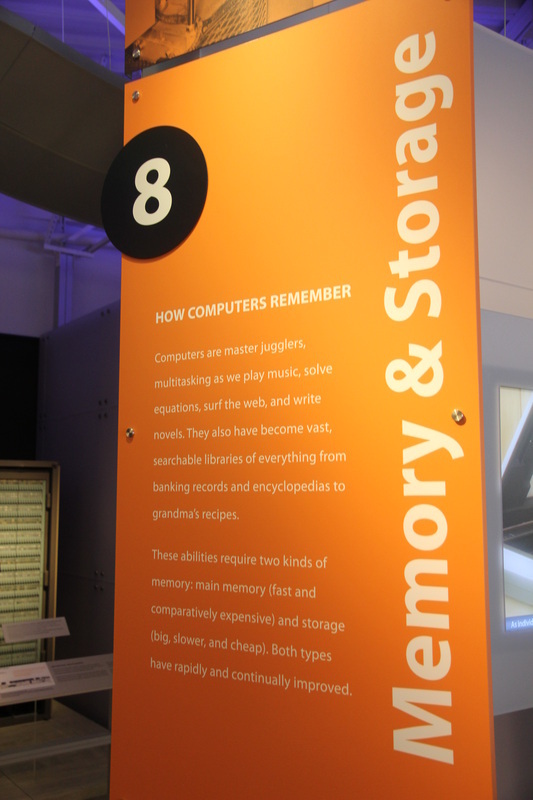 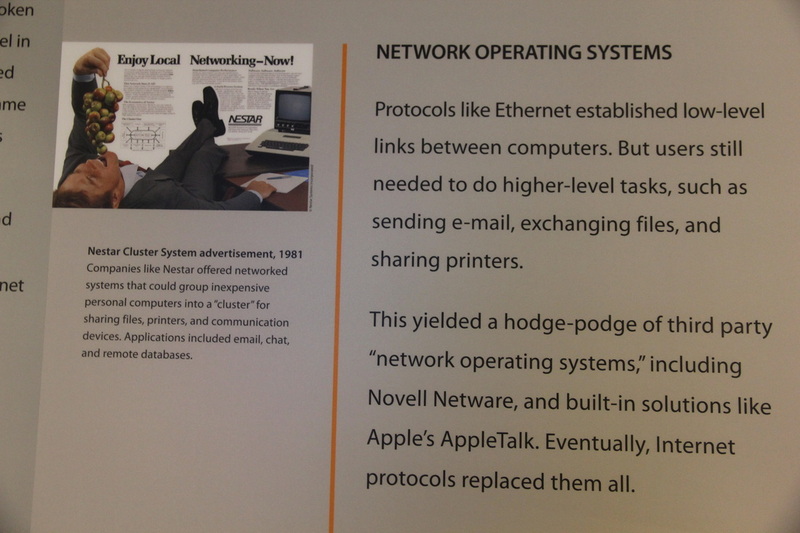 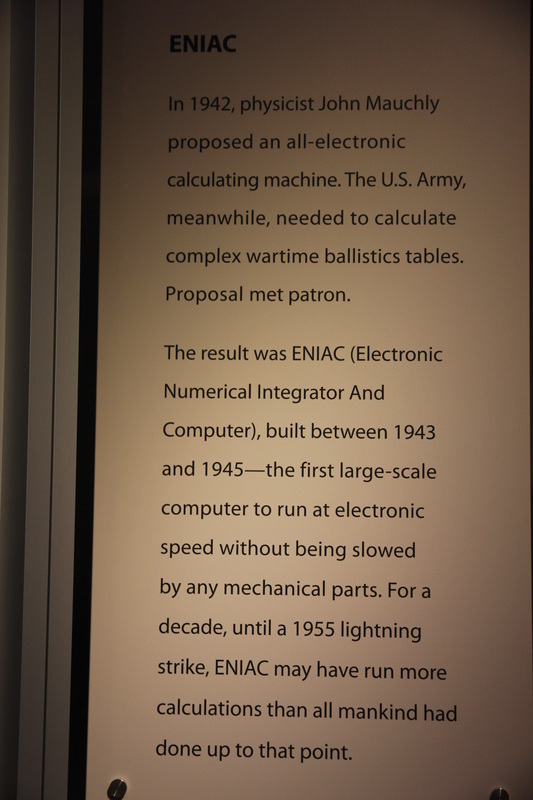 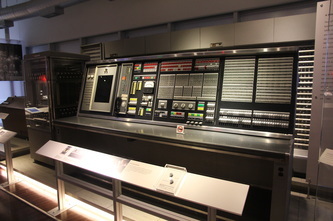 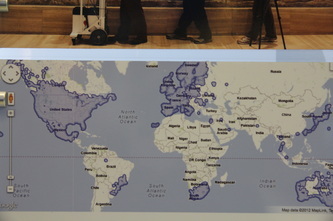 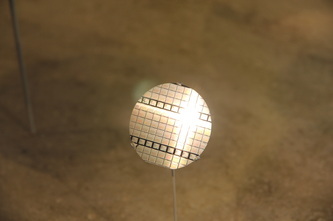 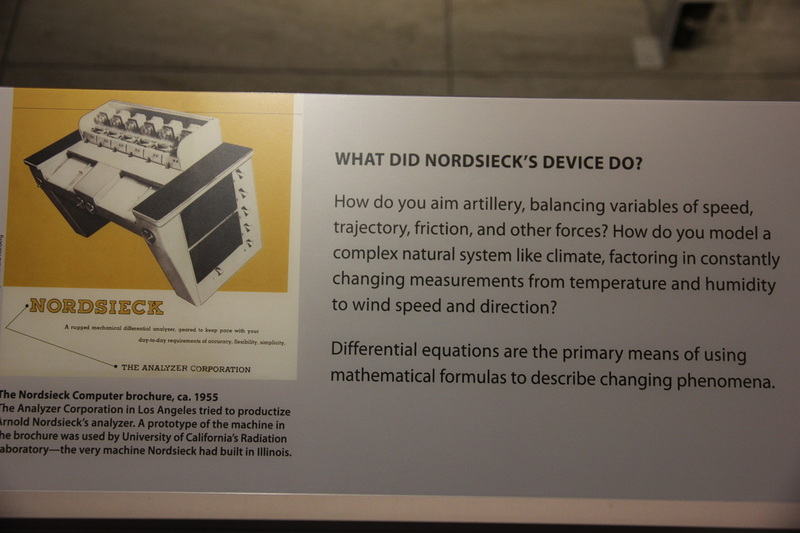 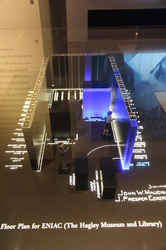 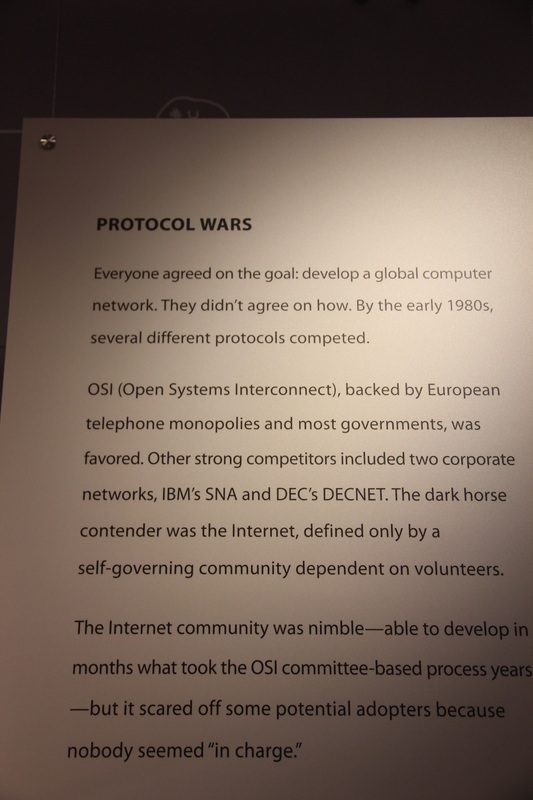 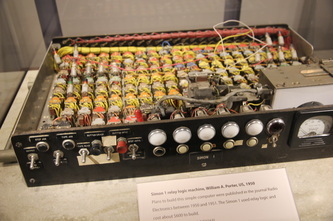 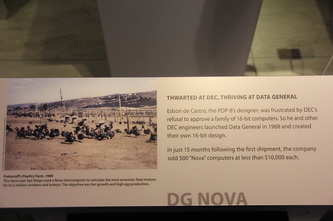 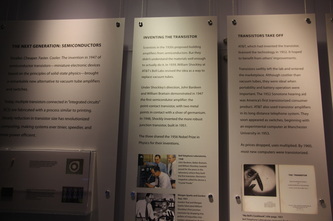 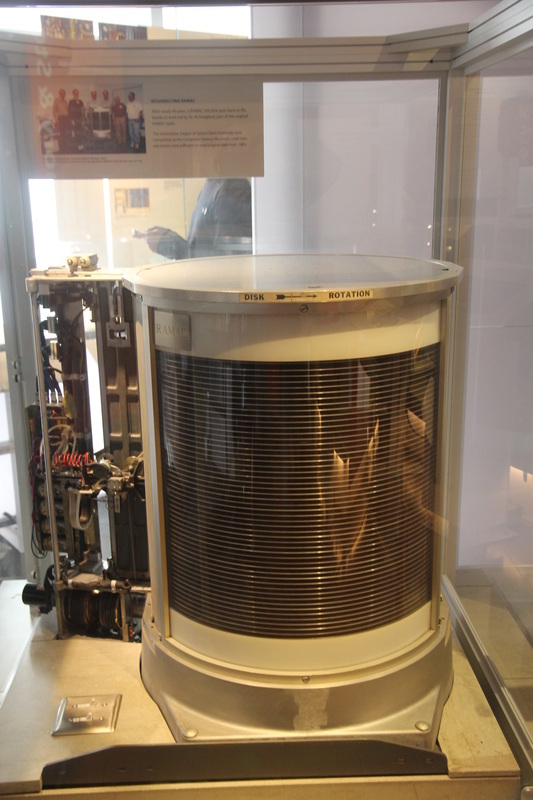 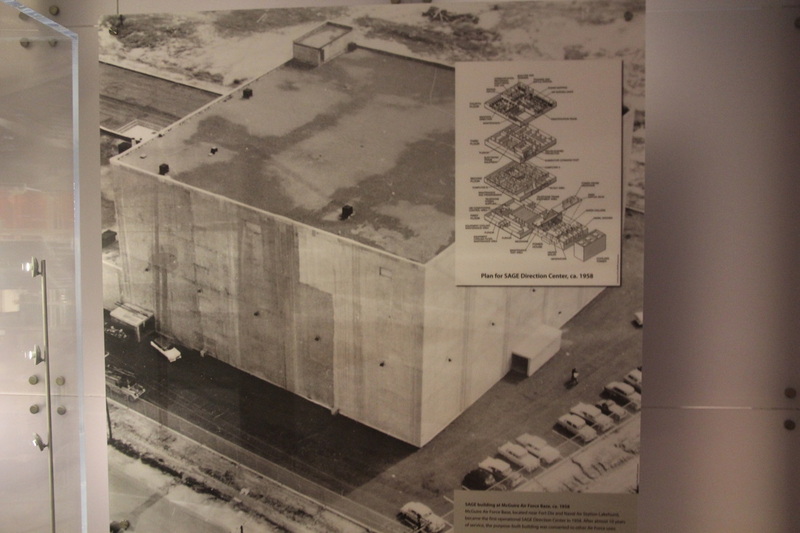 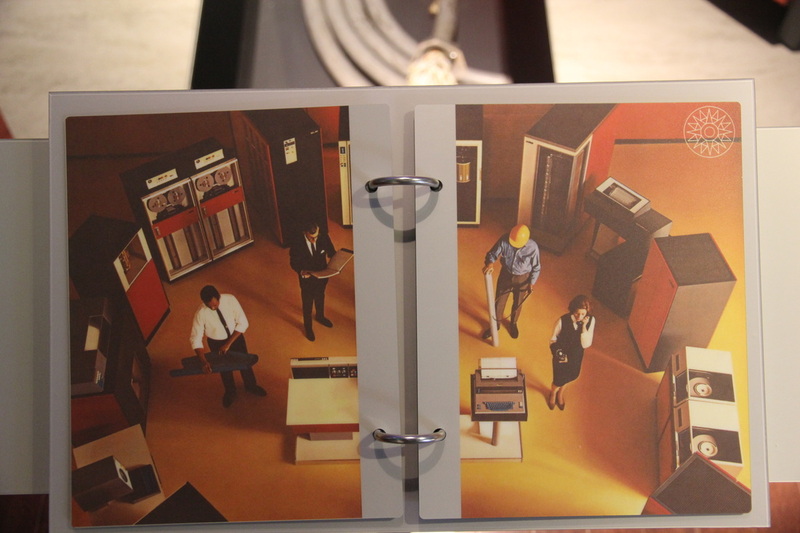 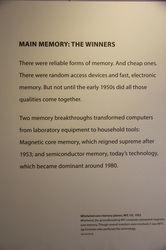 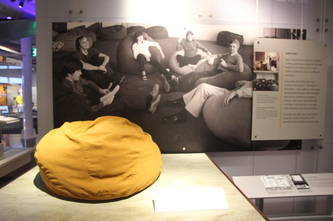 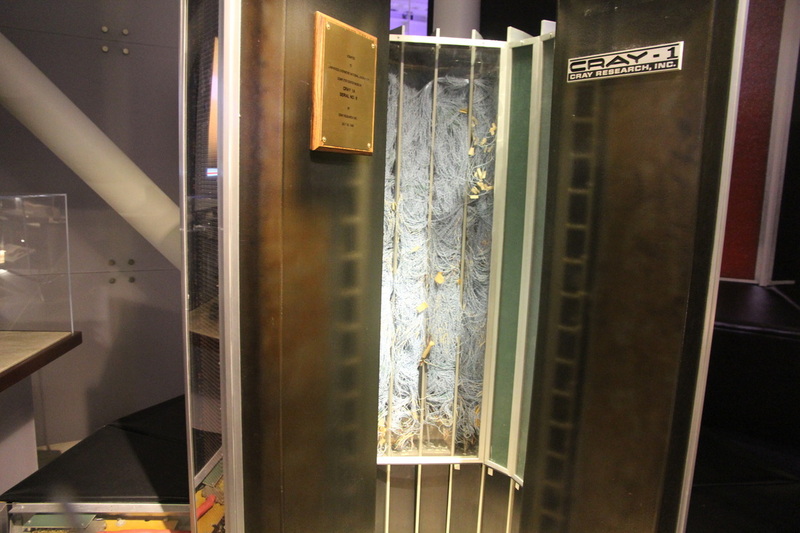 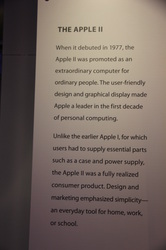 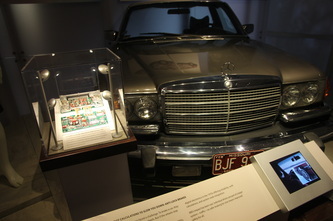 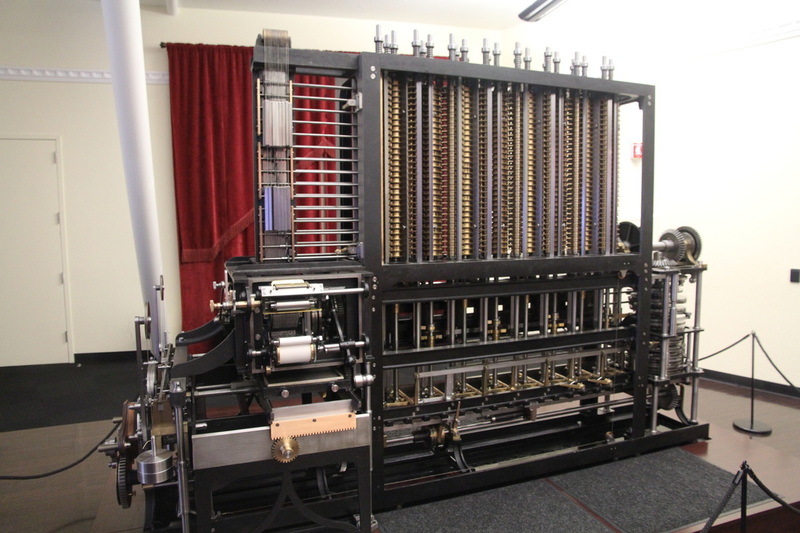 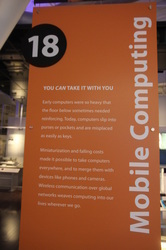 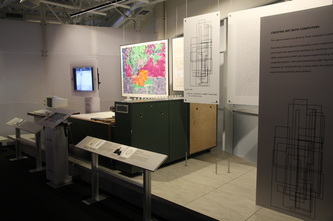 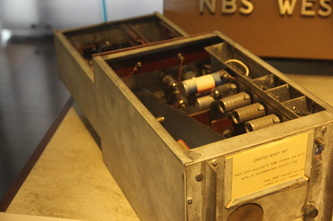 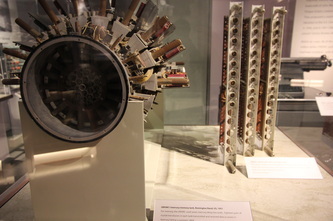 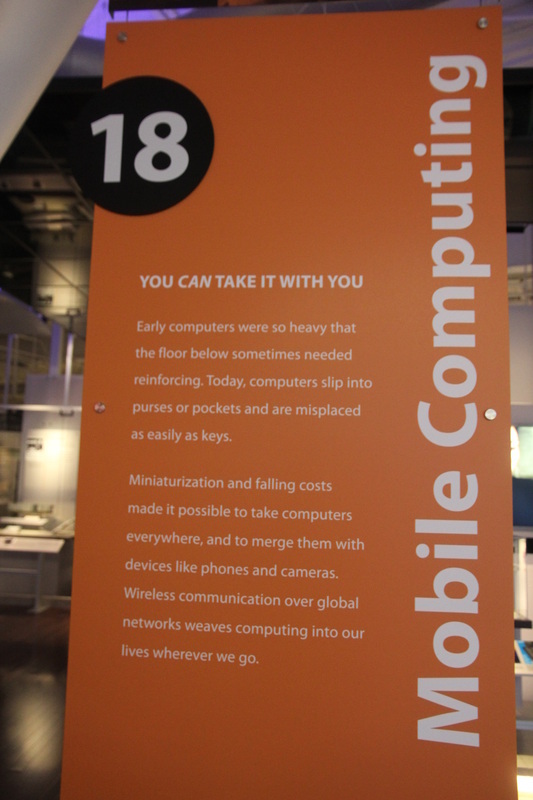 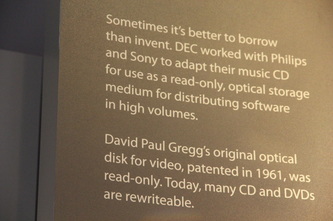 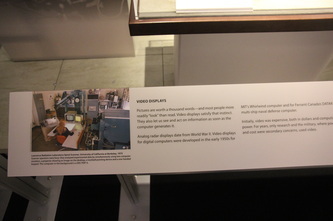 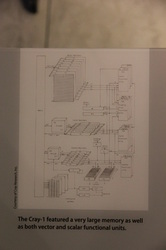 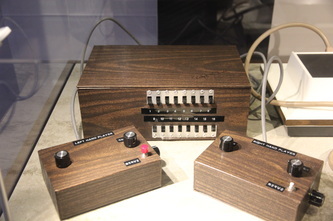 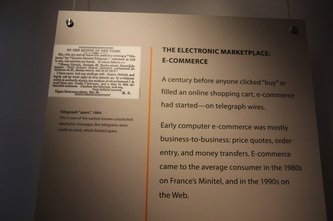 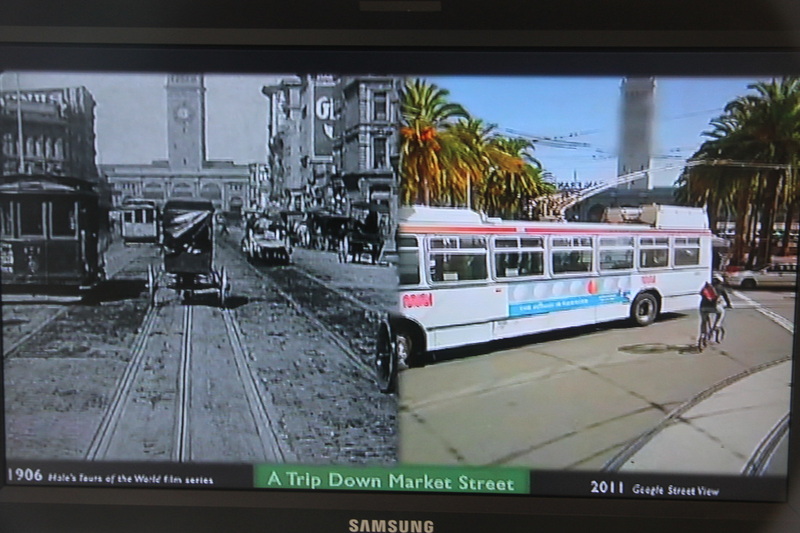 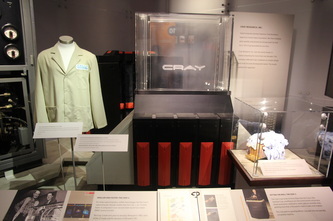 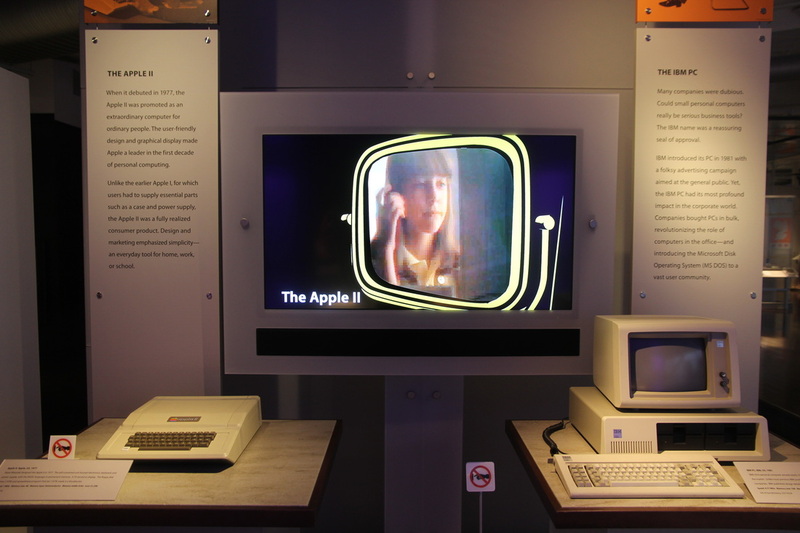 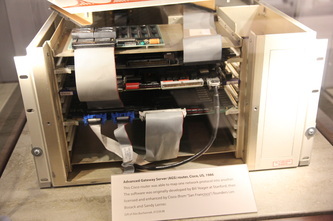 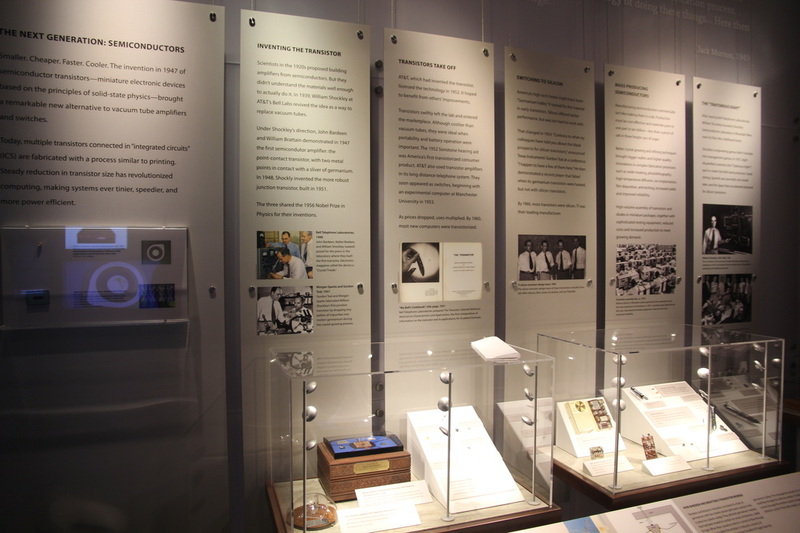 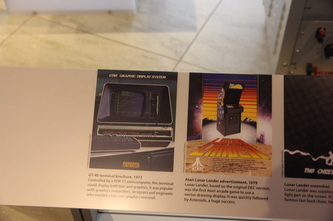 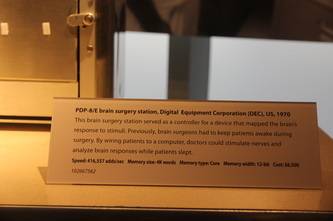 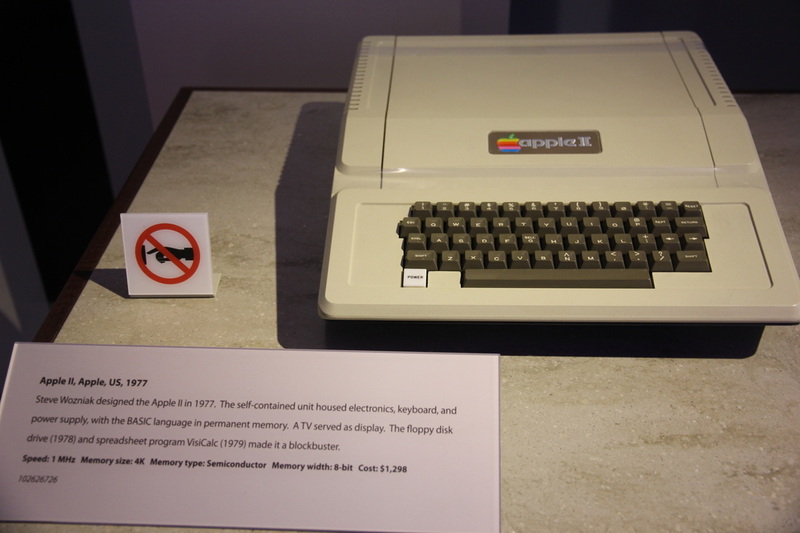 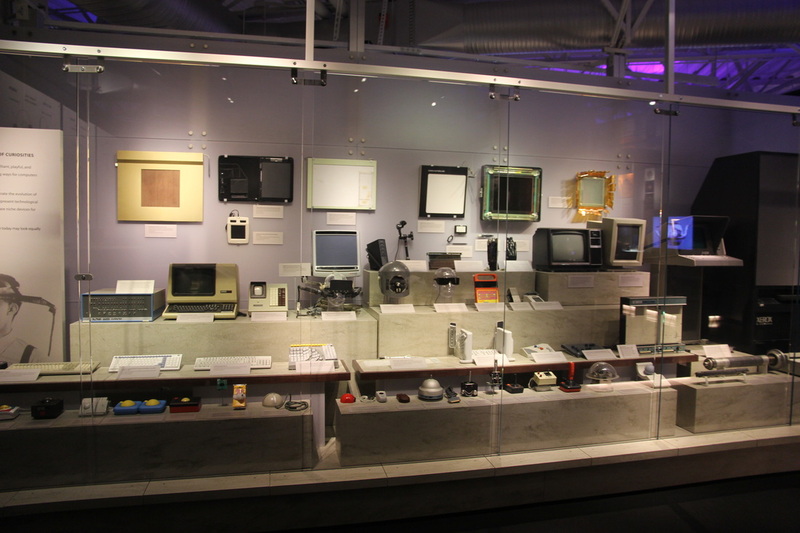 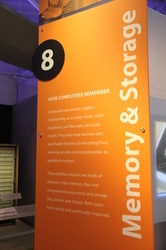 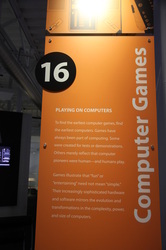 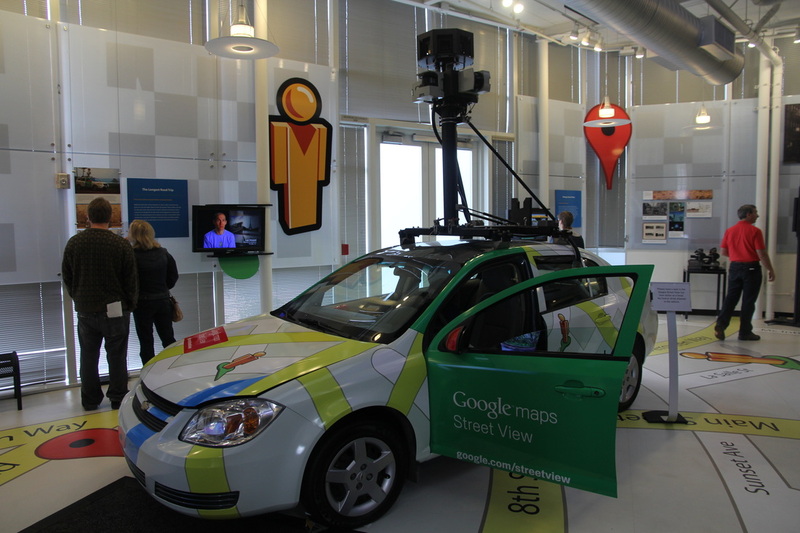 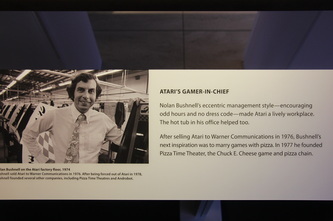 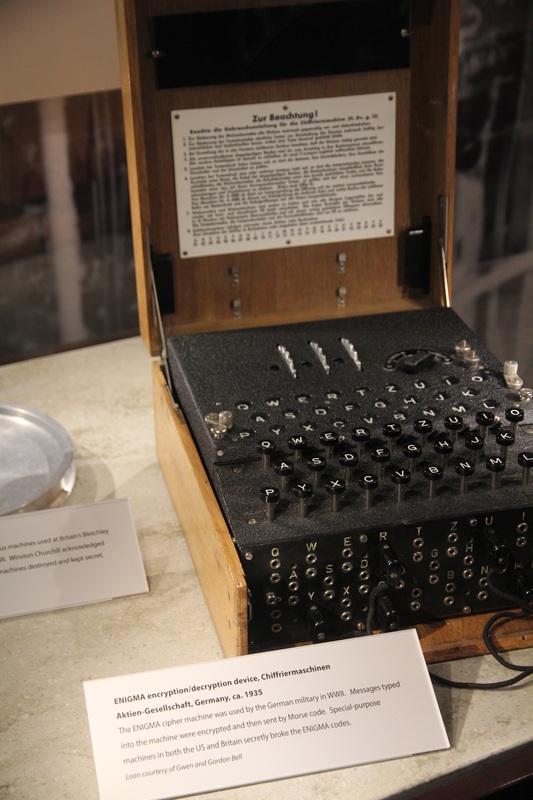 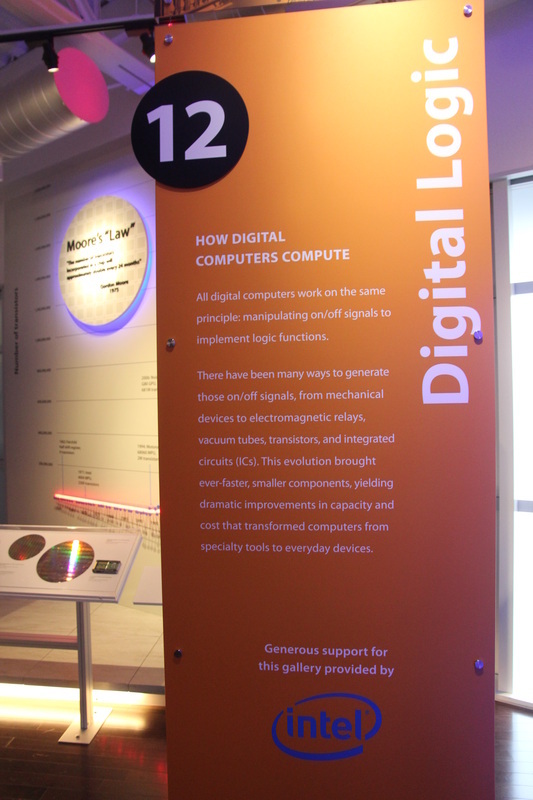 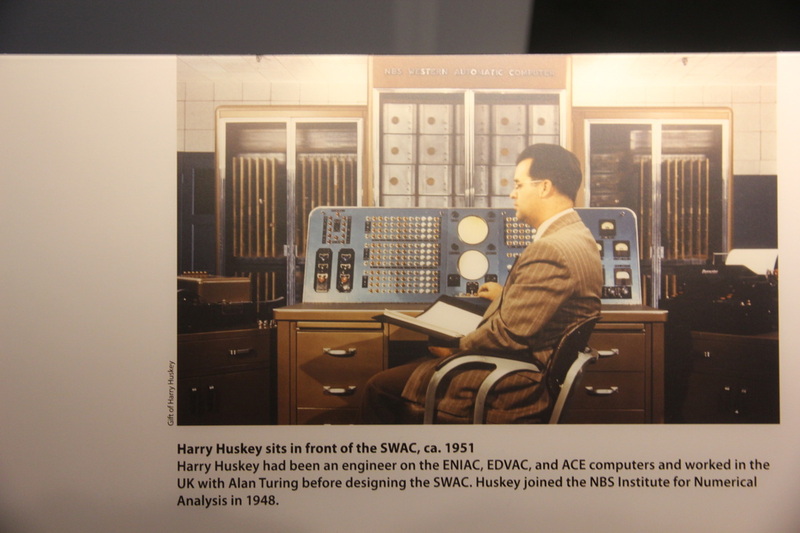 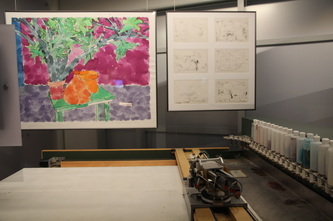 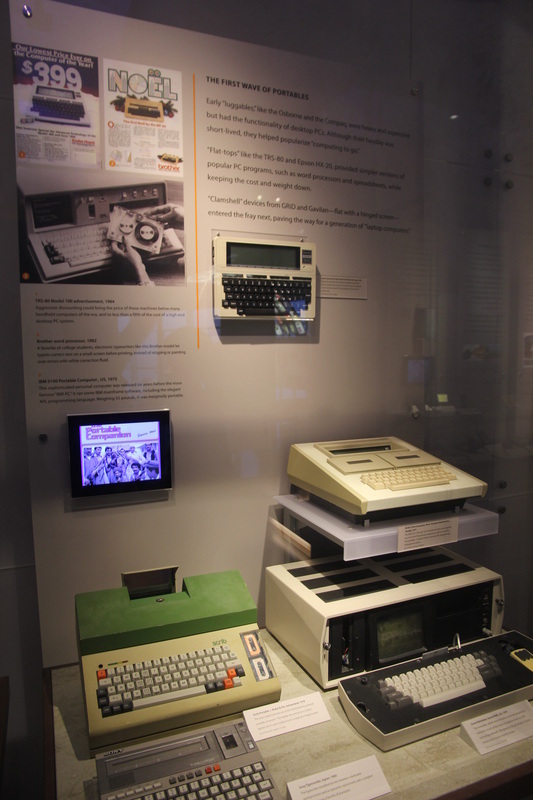 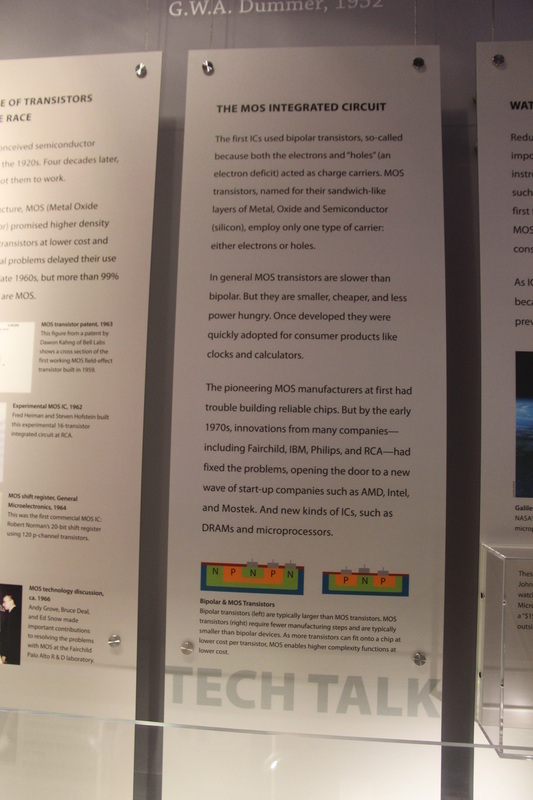 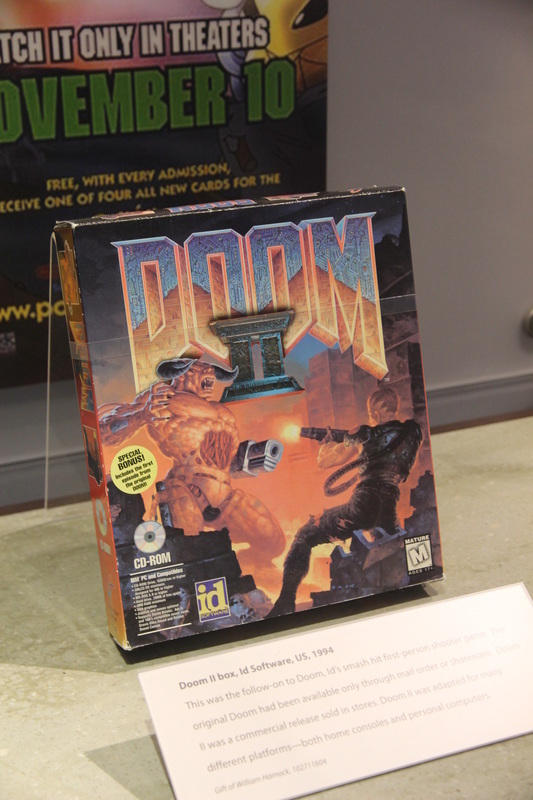 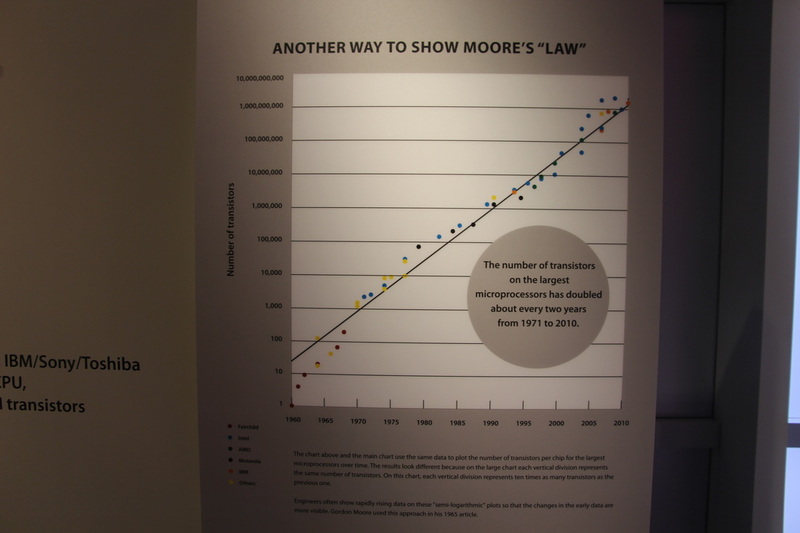 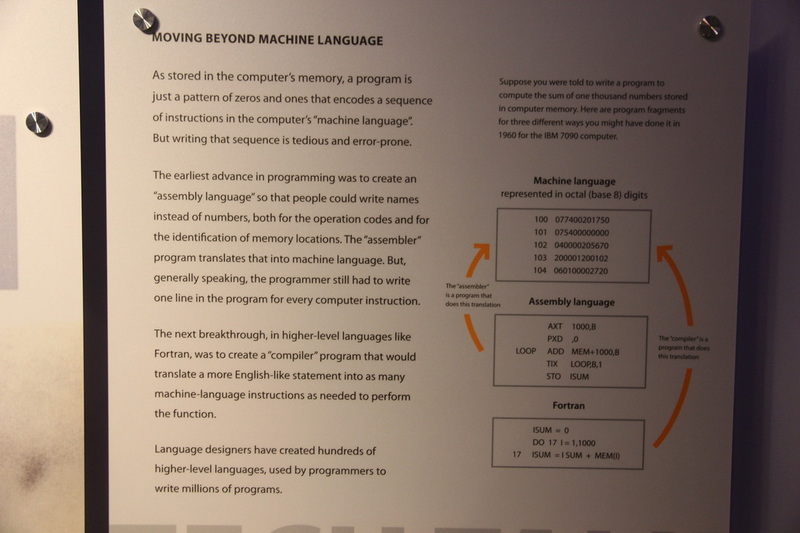 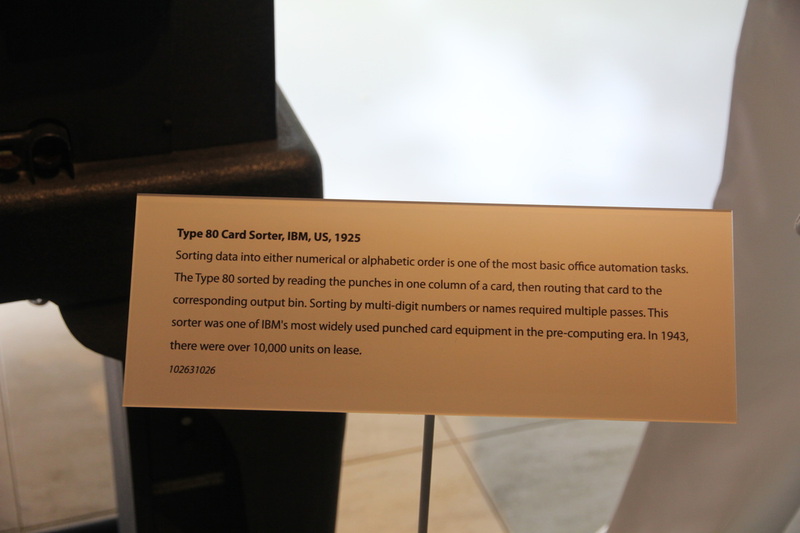 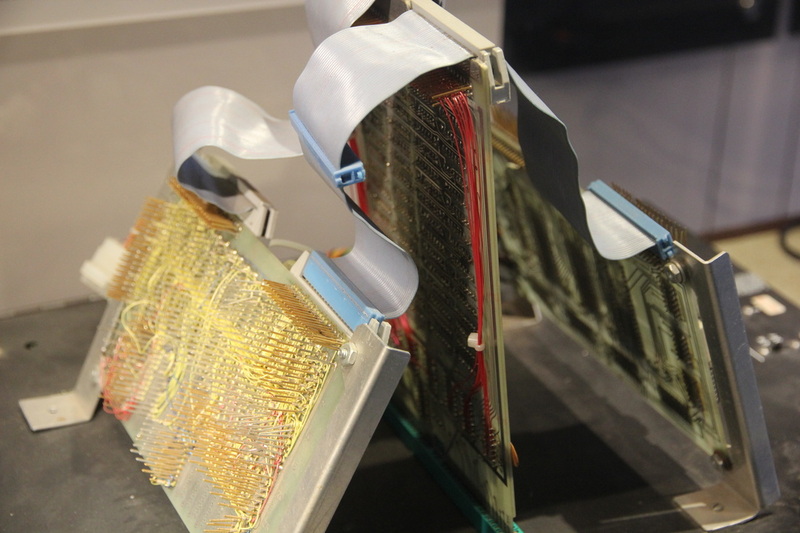 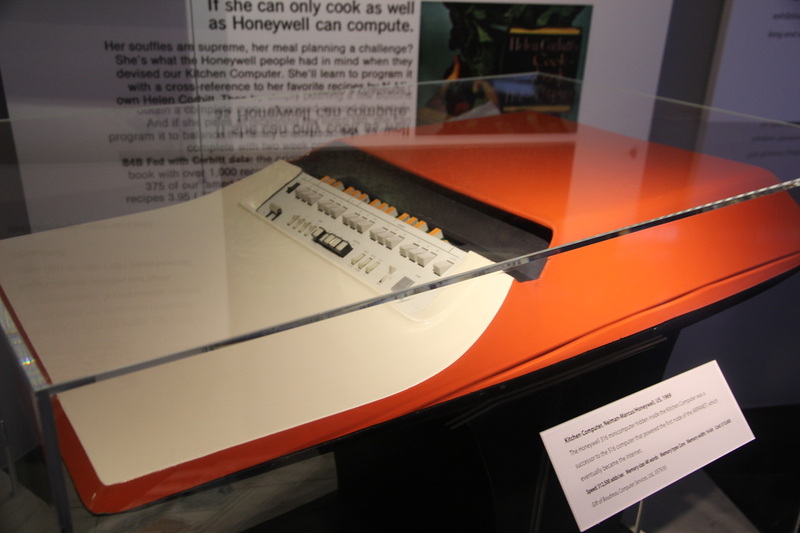 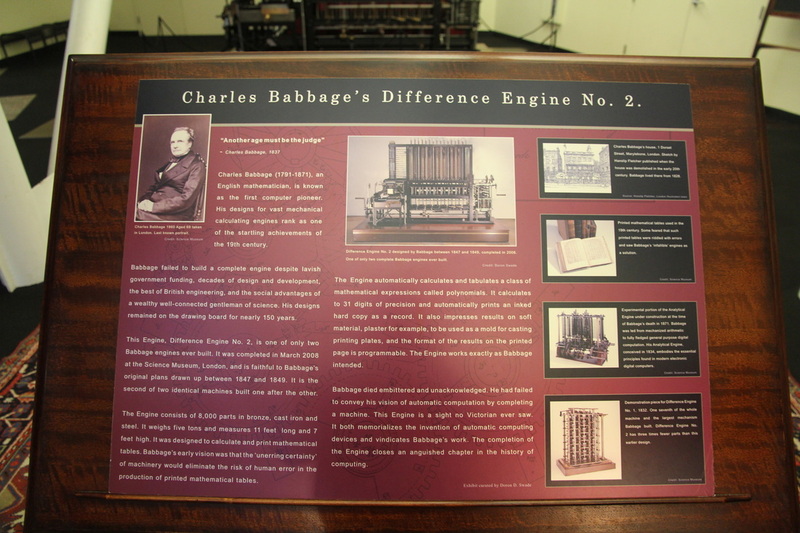 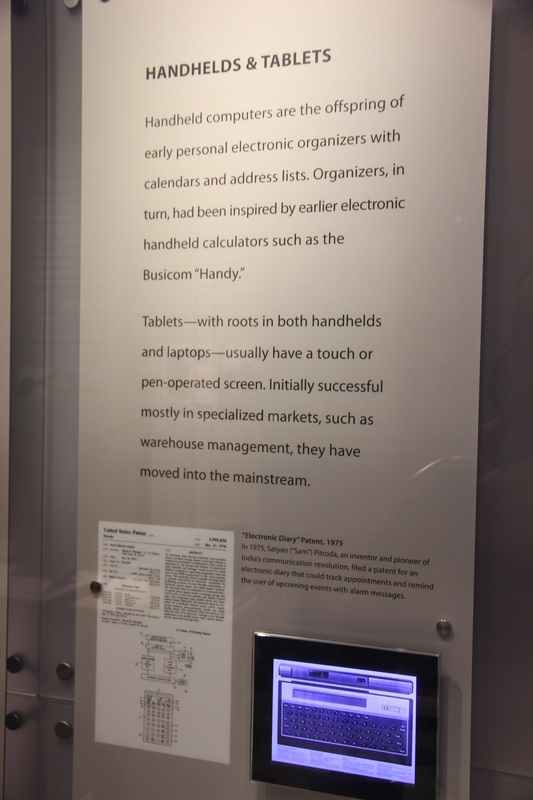 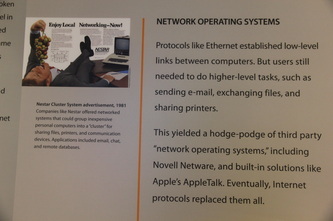 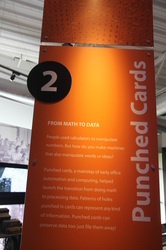 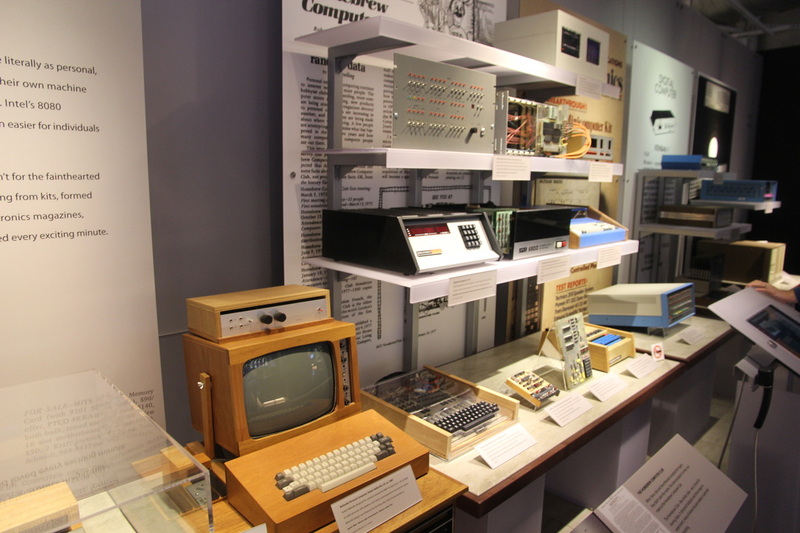 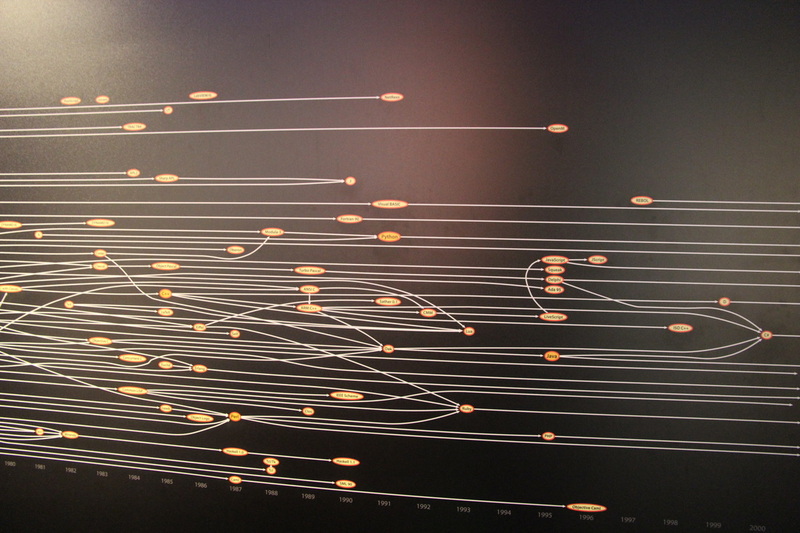 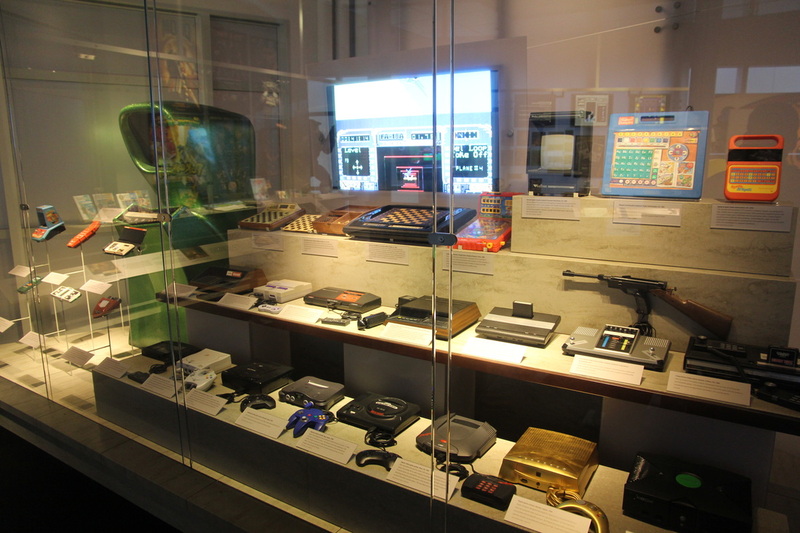 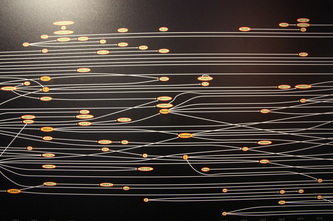 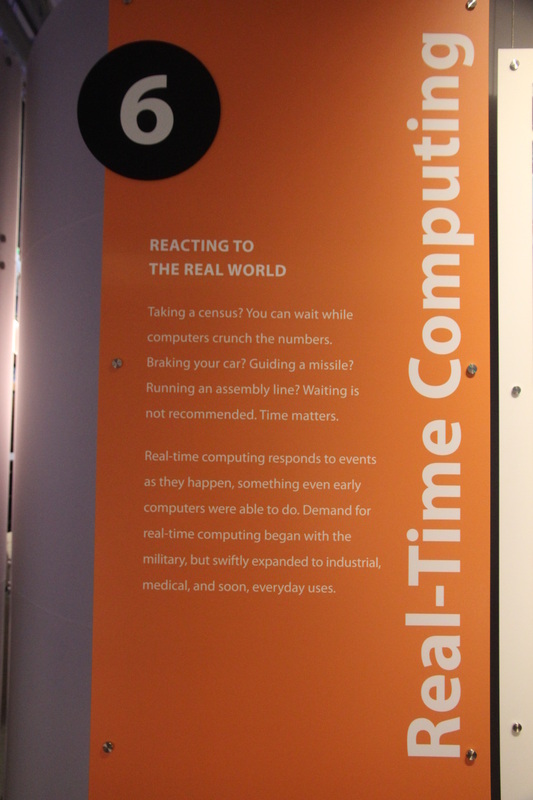 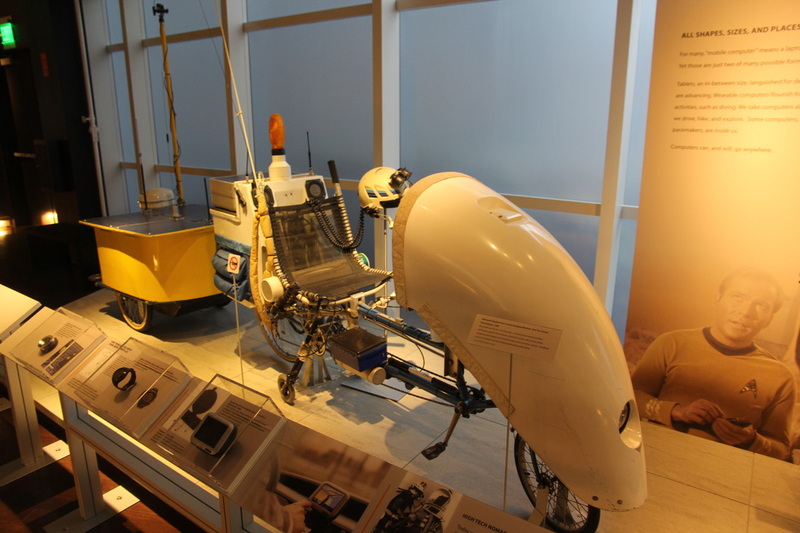 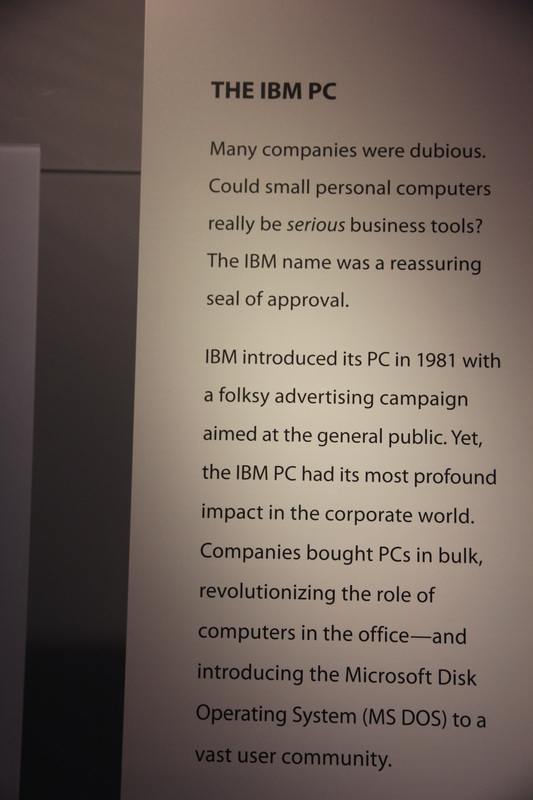 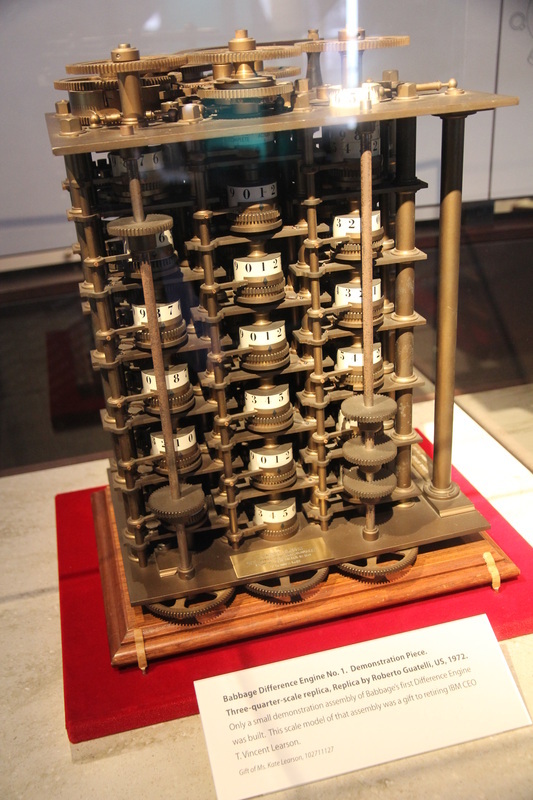 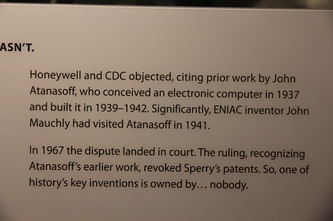 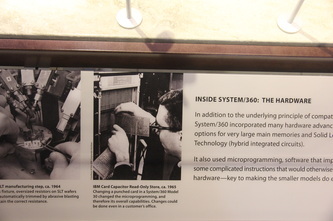 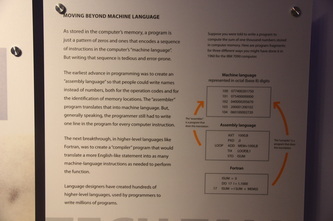 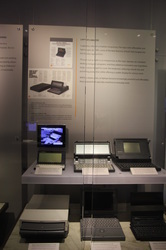 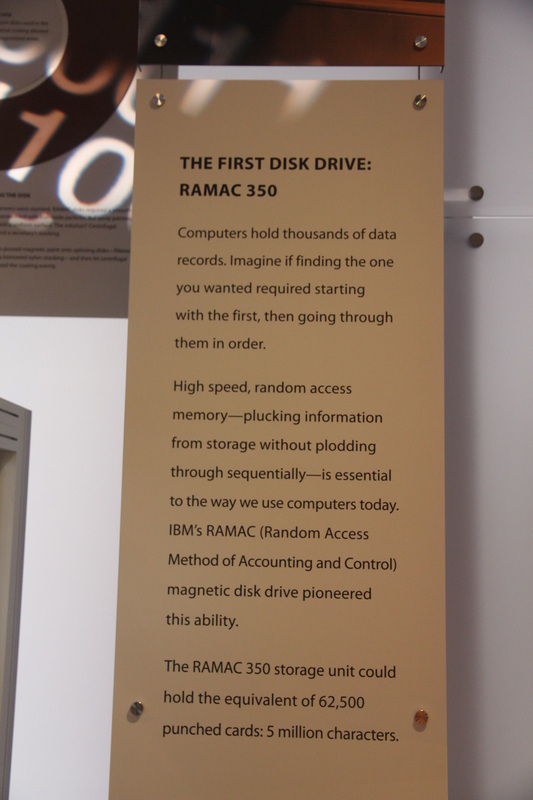 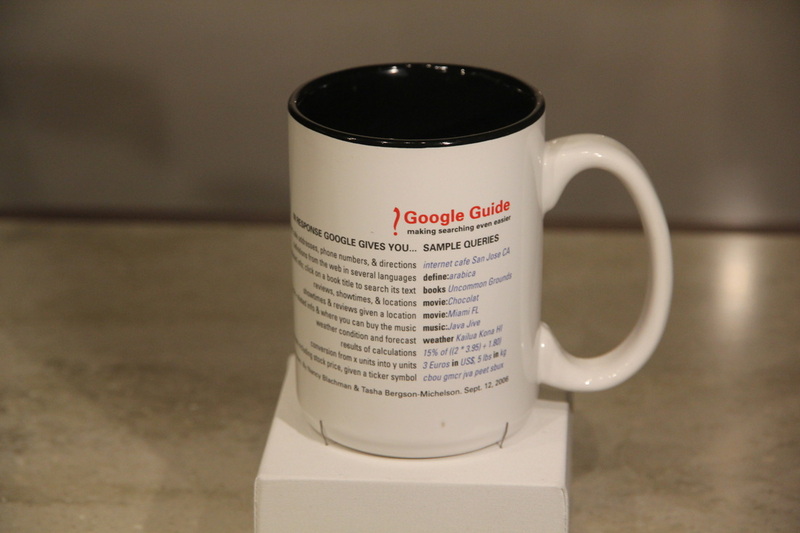 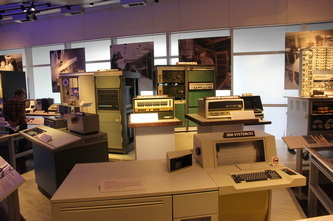 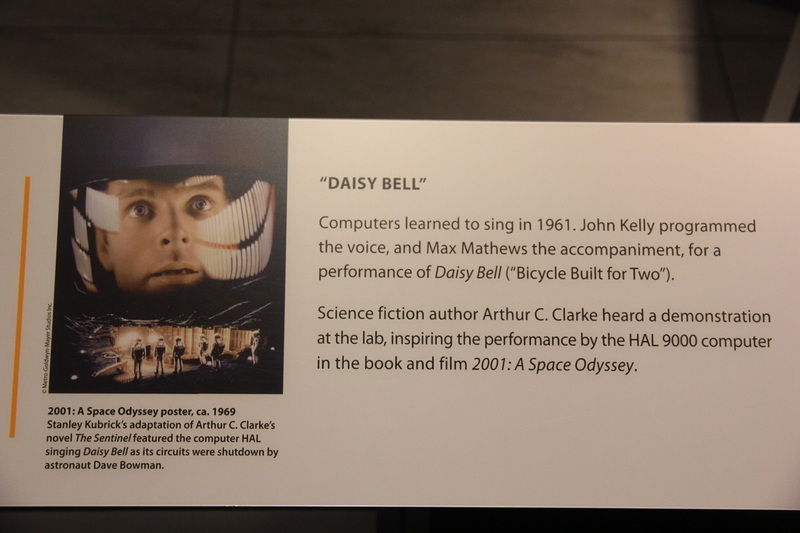 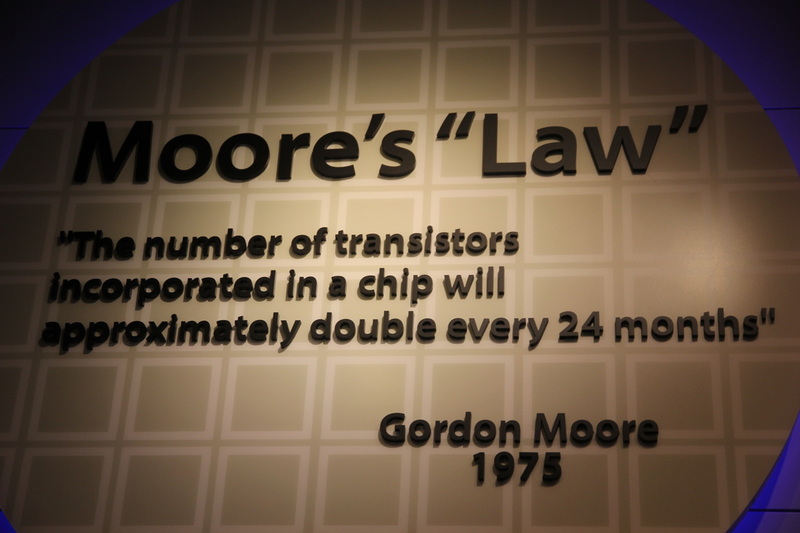 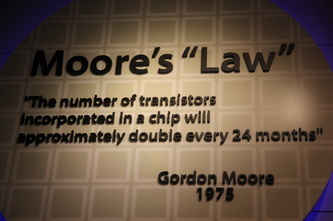 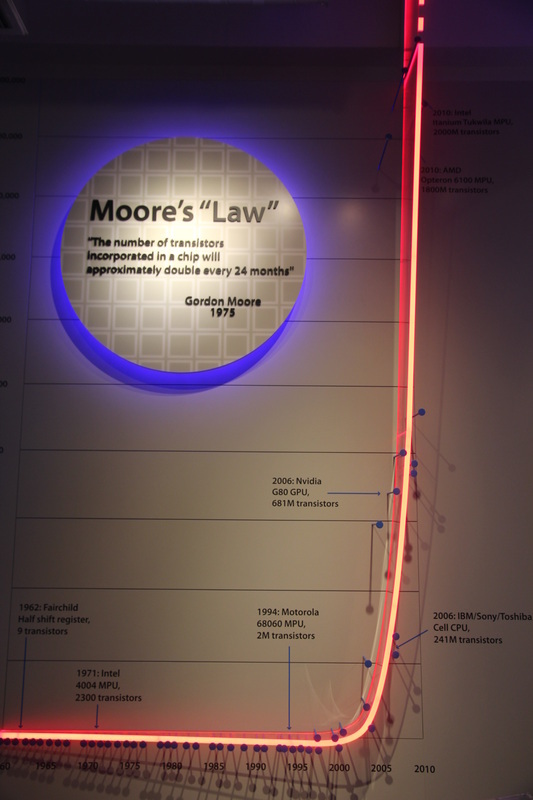 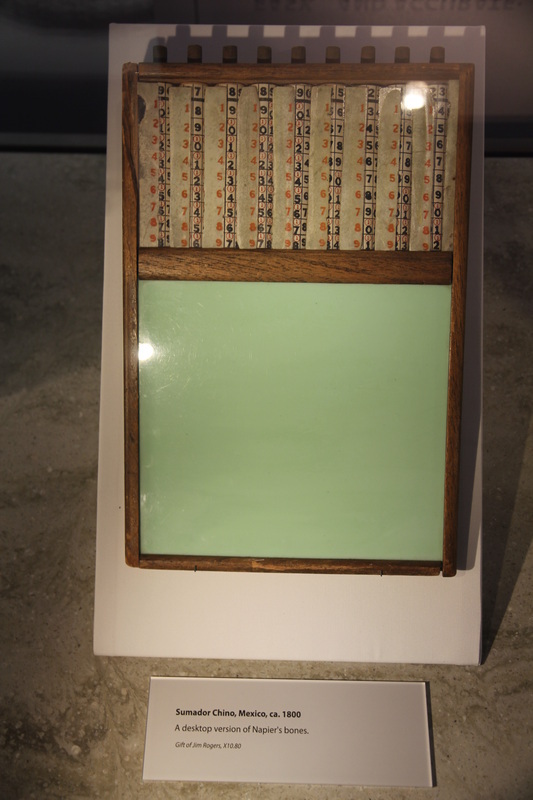 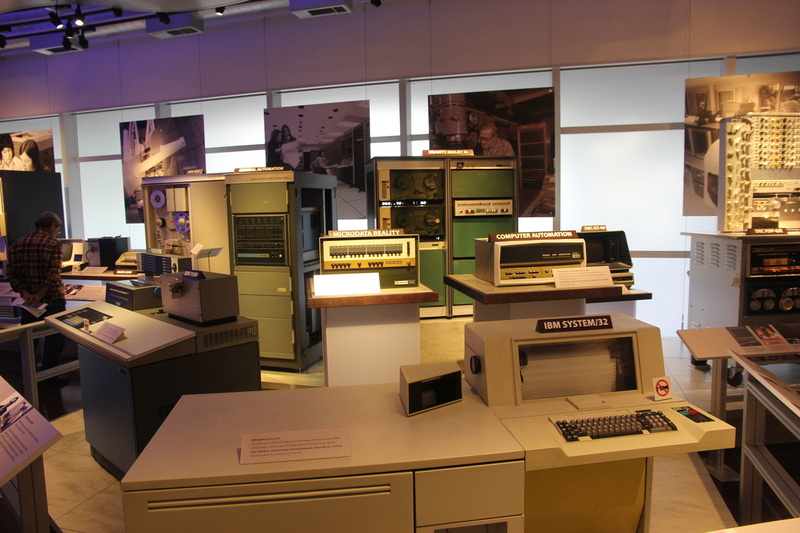 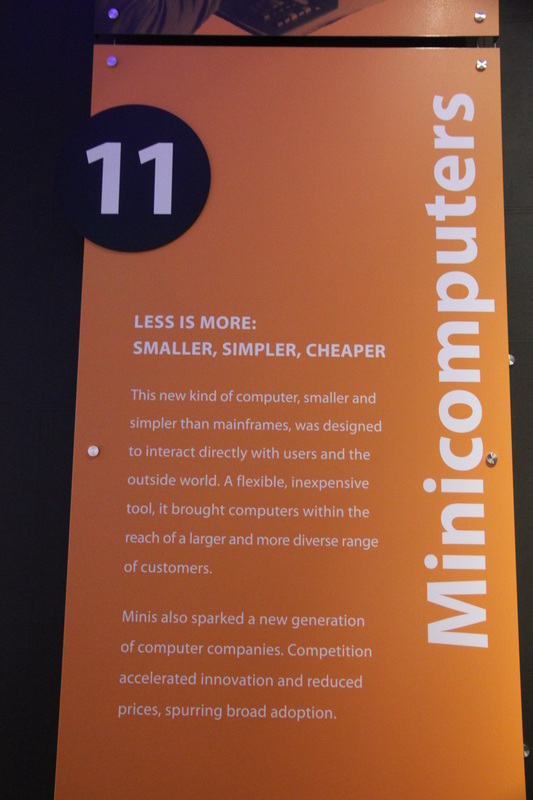 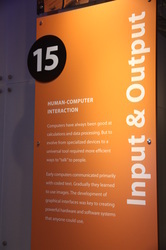 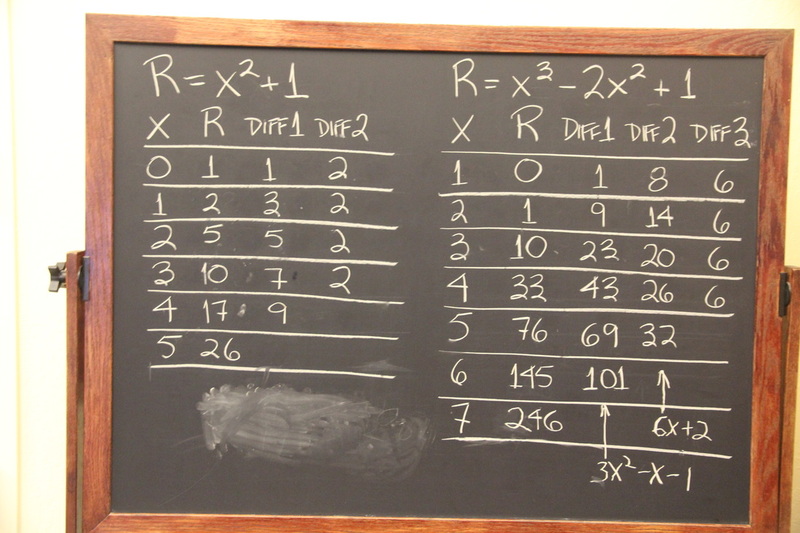 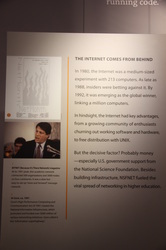 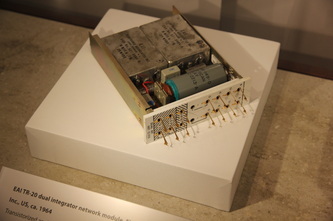 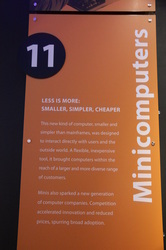 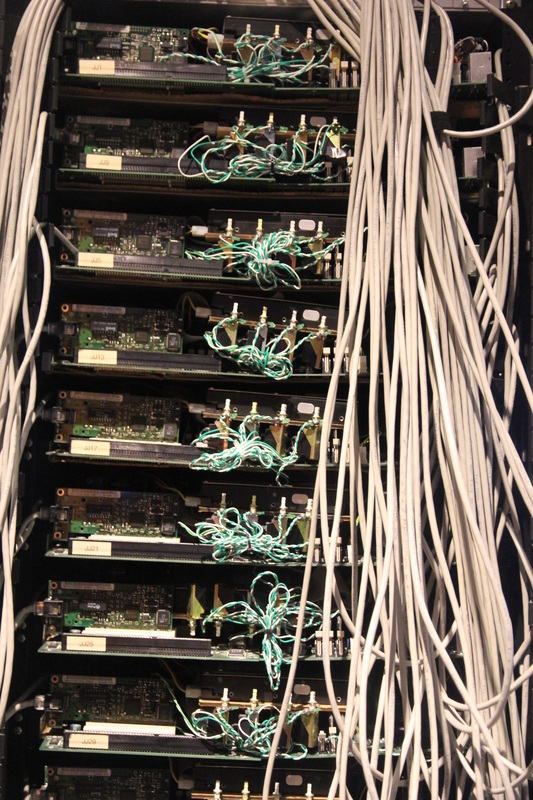 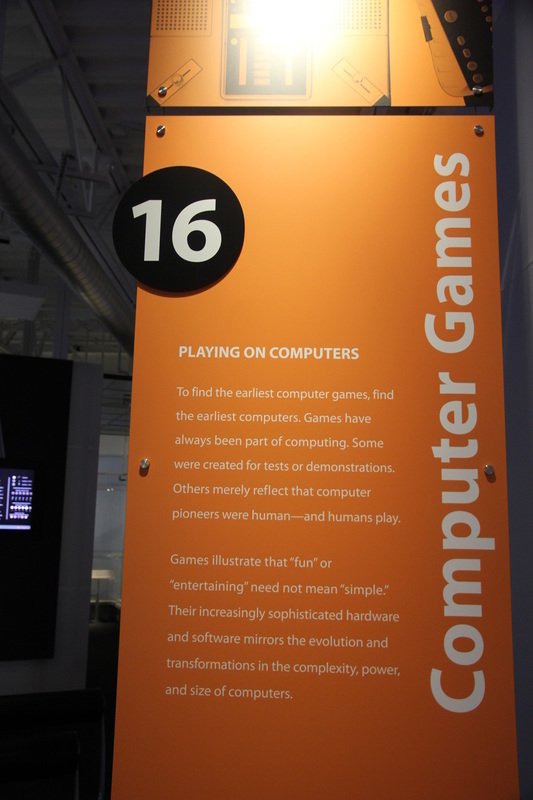 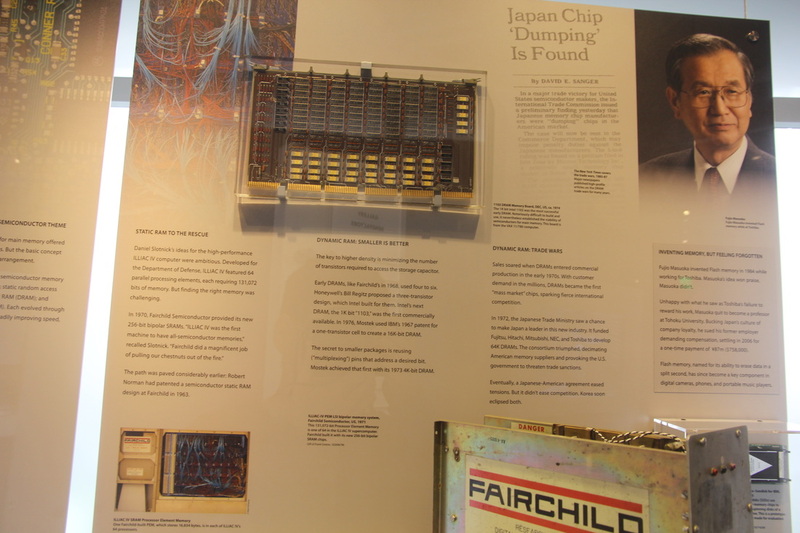 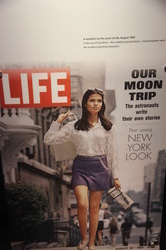 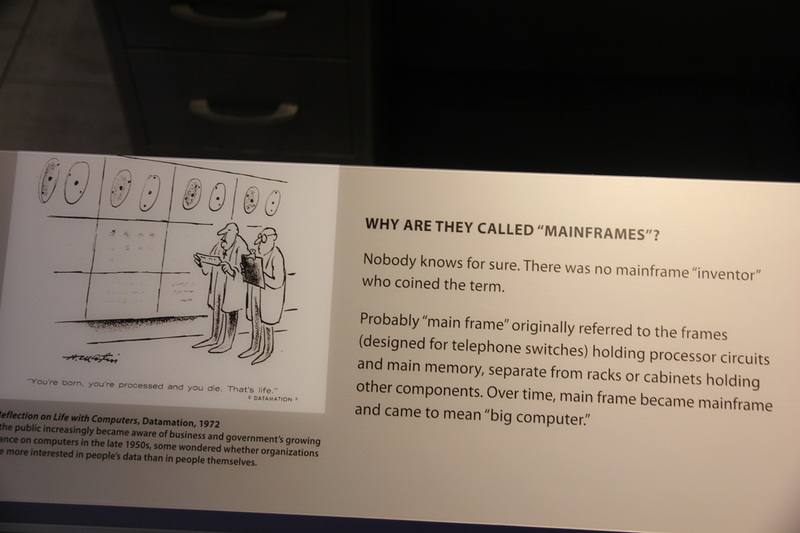 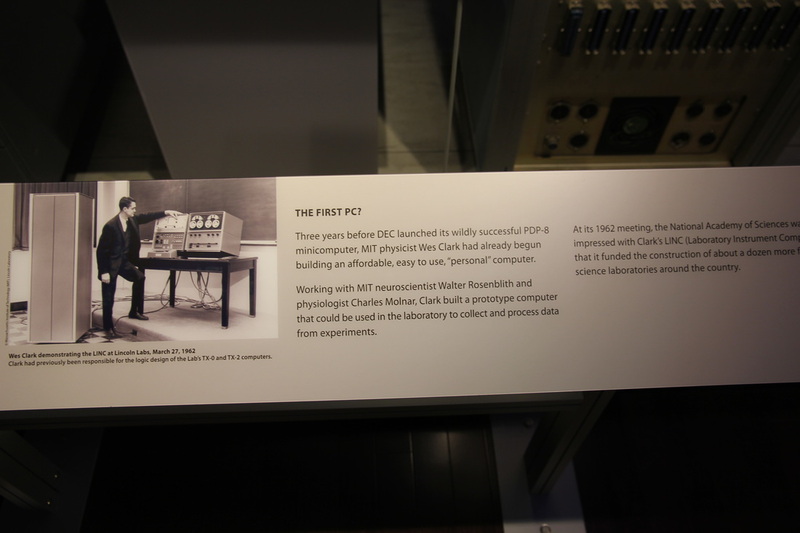 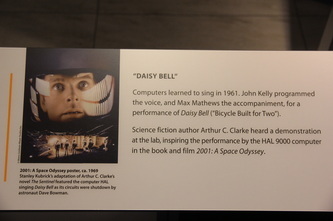 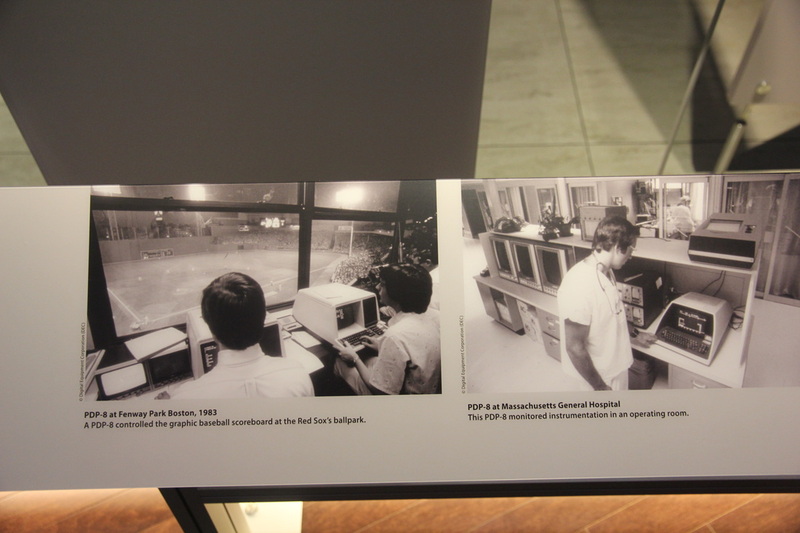 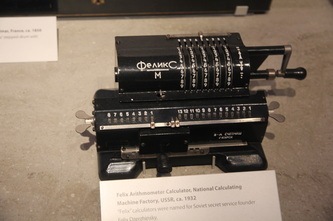 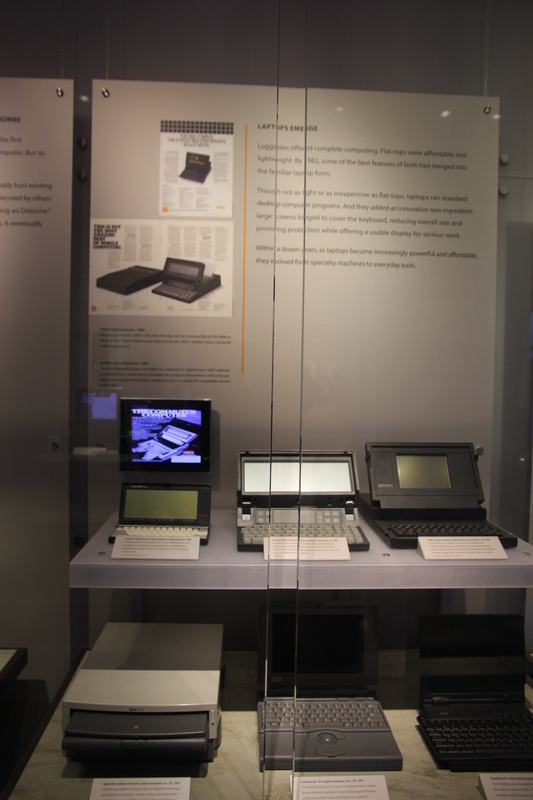 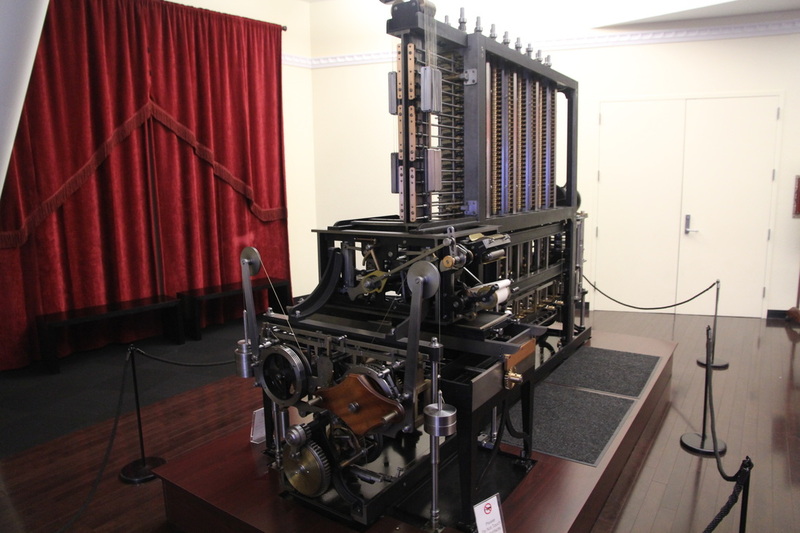 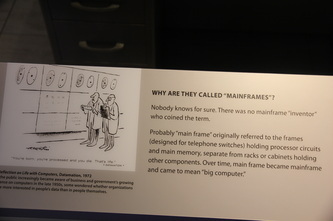 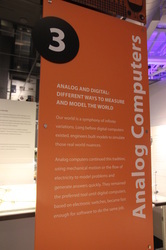 These photos were taken at Computer History Museum, Mountain View, CA, US (map). 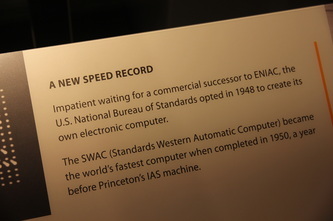 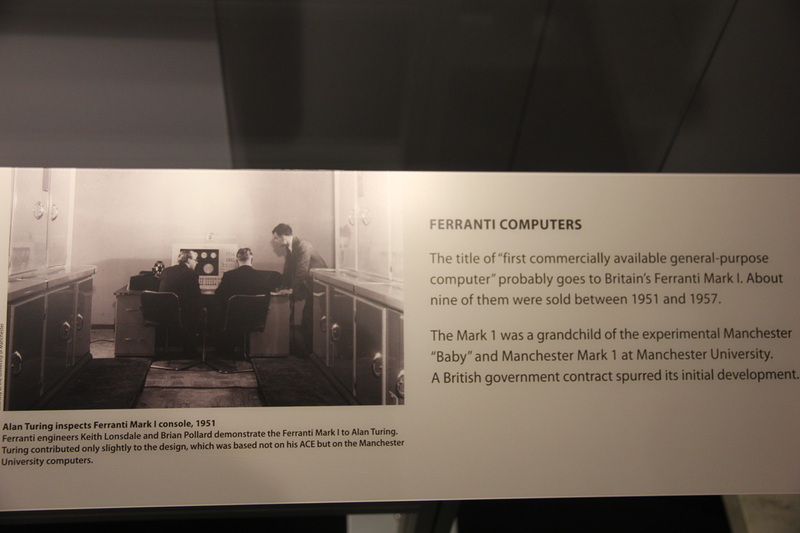 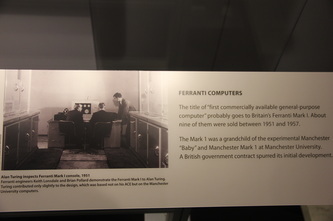 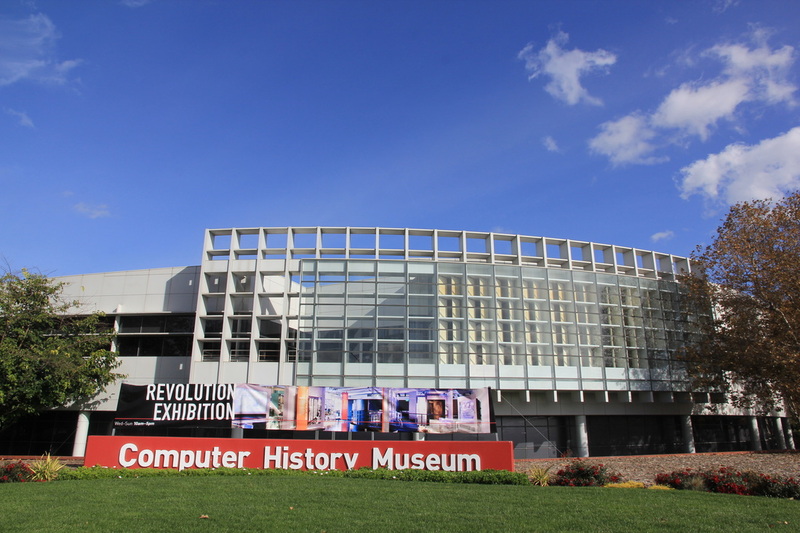 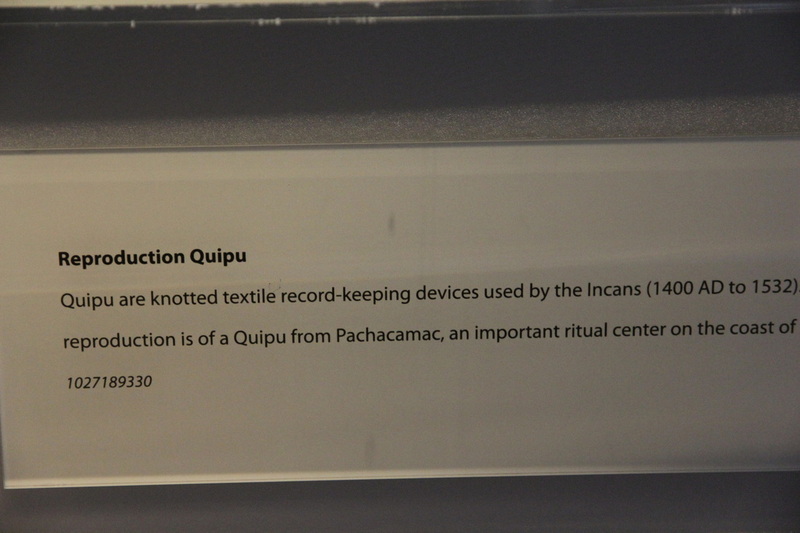 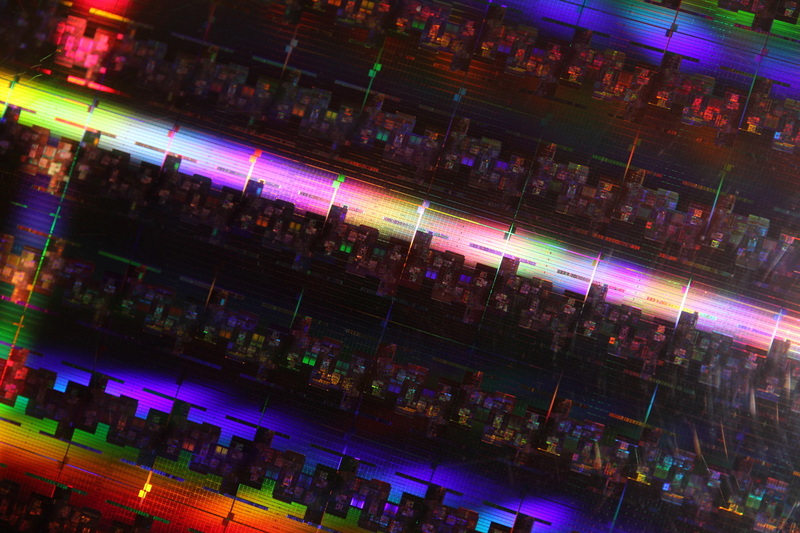 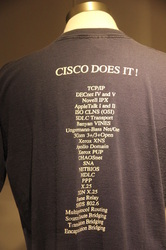 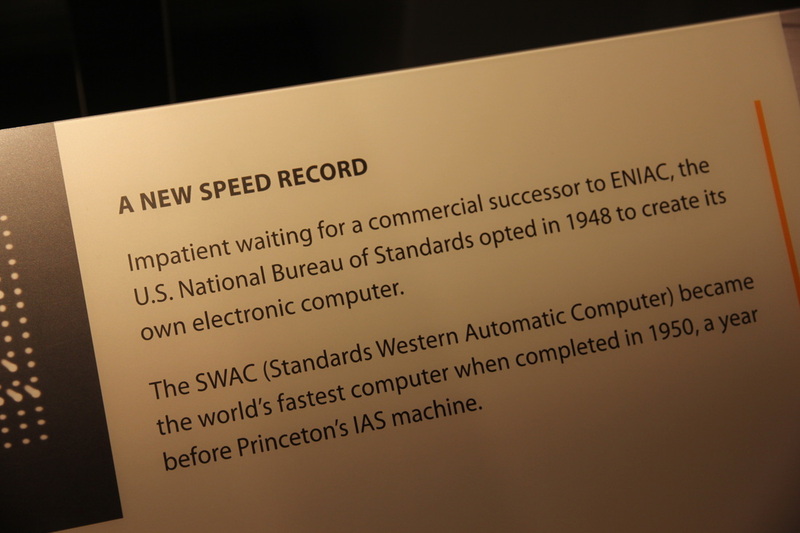 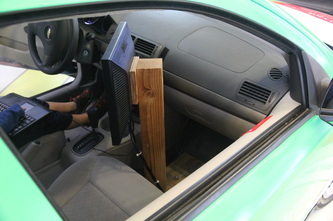 It's amazing place for all who like computer history. 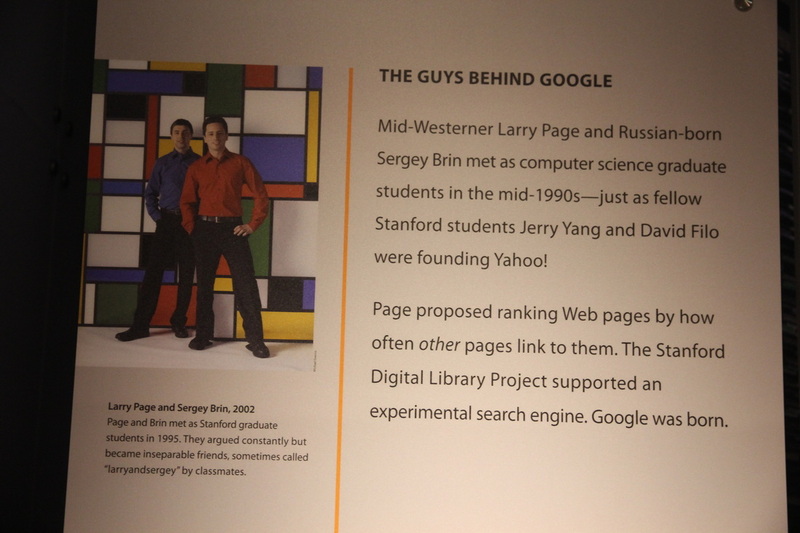 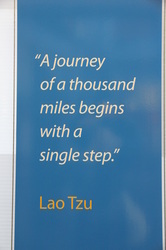 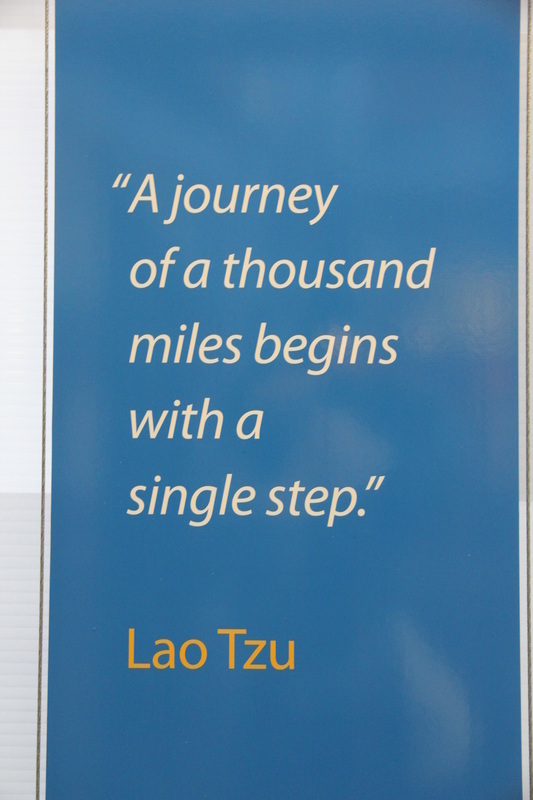 Must place to go if you are around Silicon Valley. 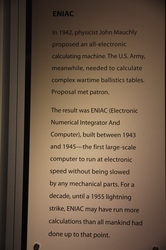 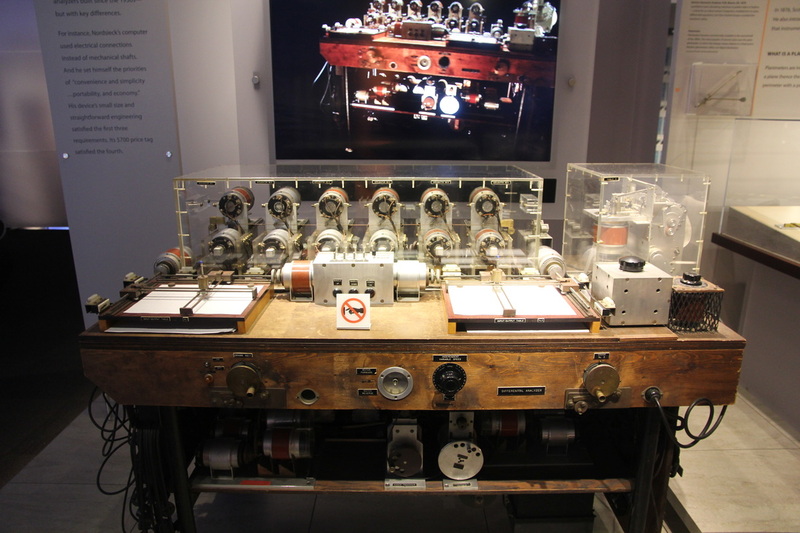 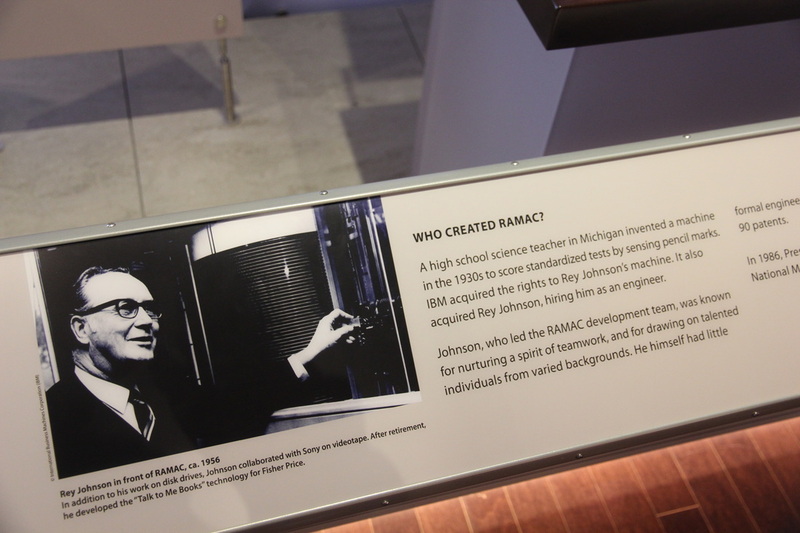 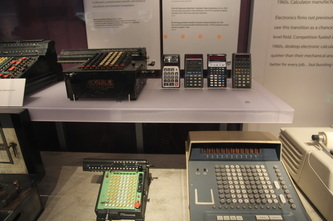 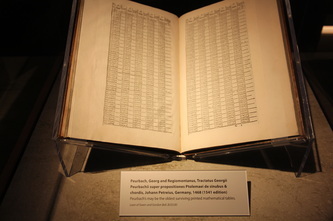 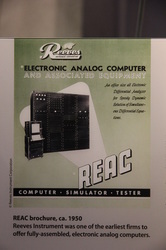 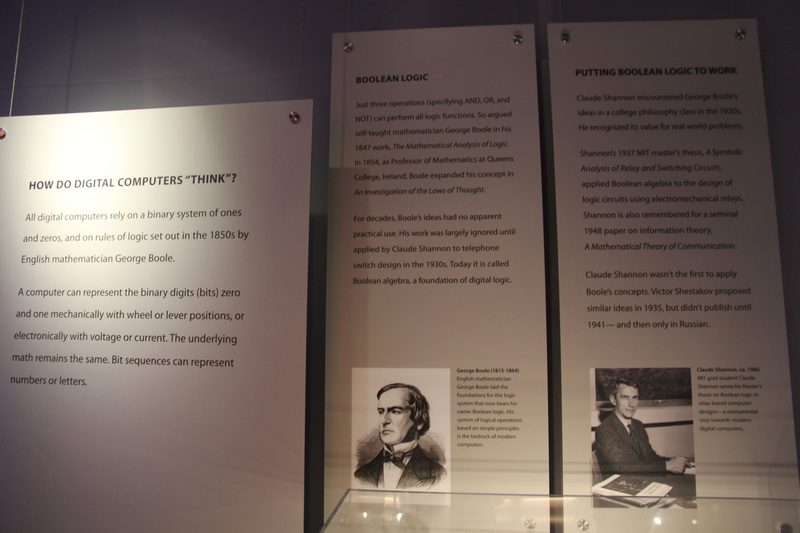 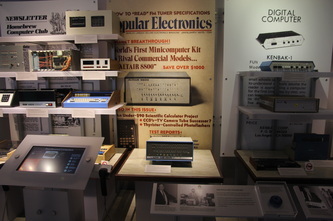 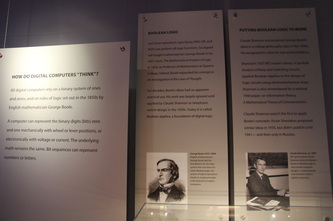 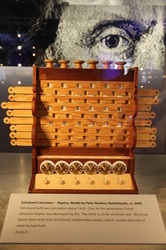 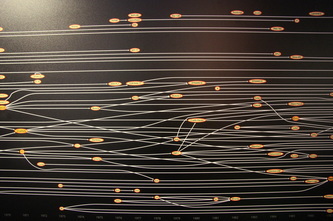 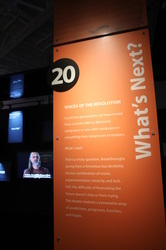 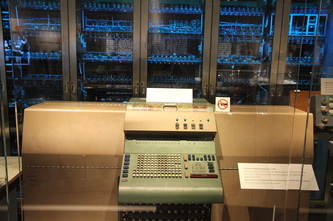 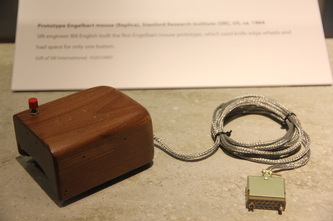 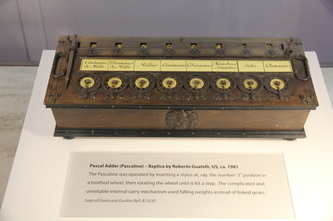 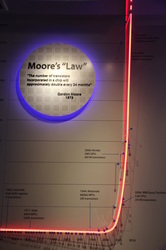 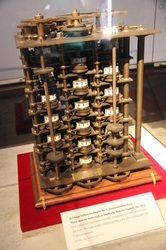 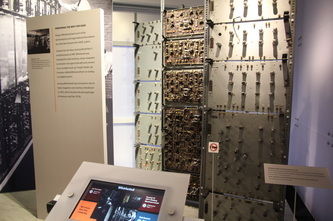 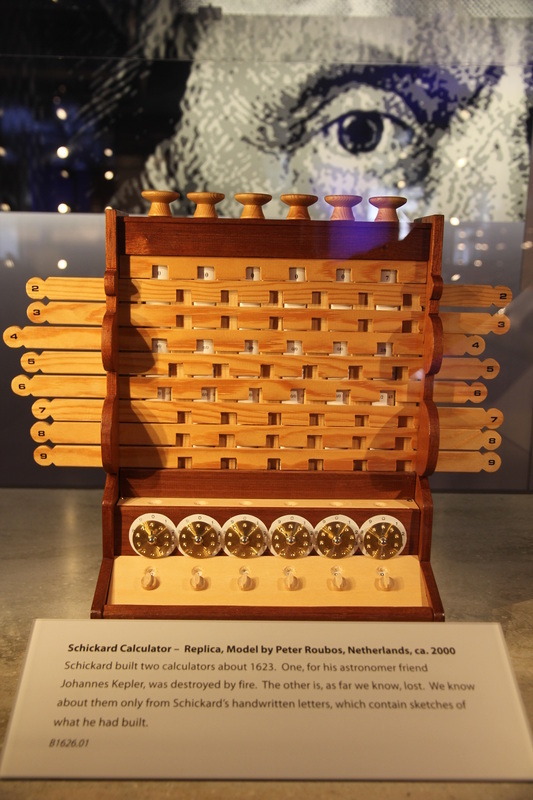 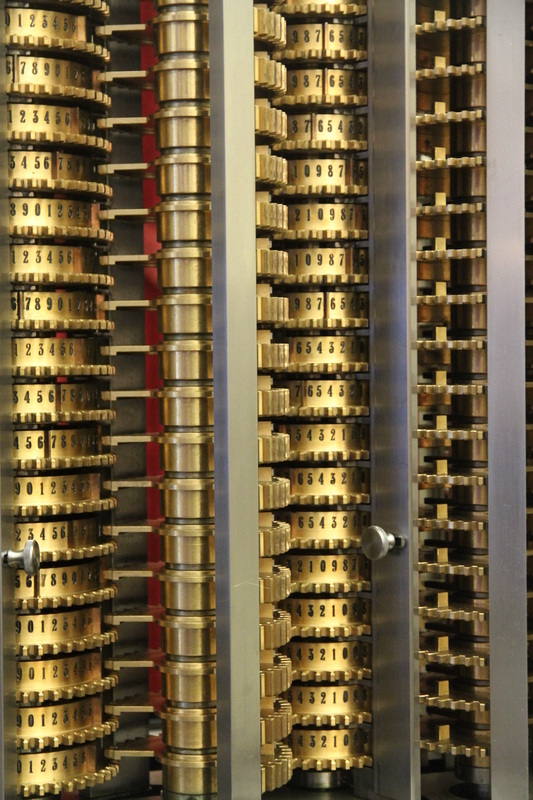 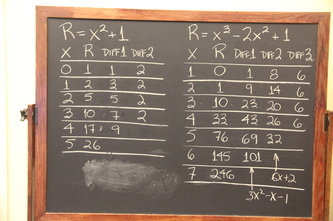 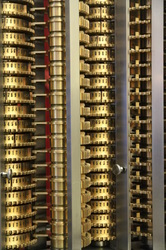 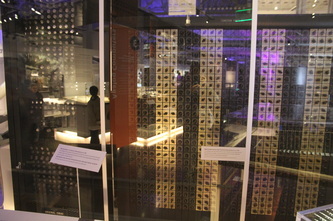 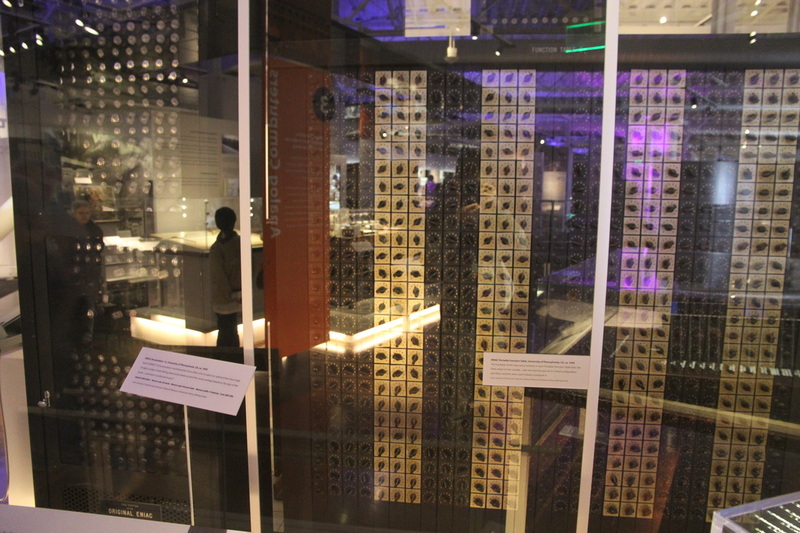 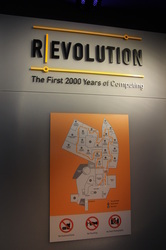 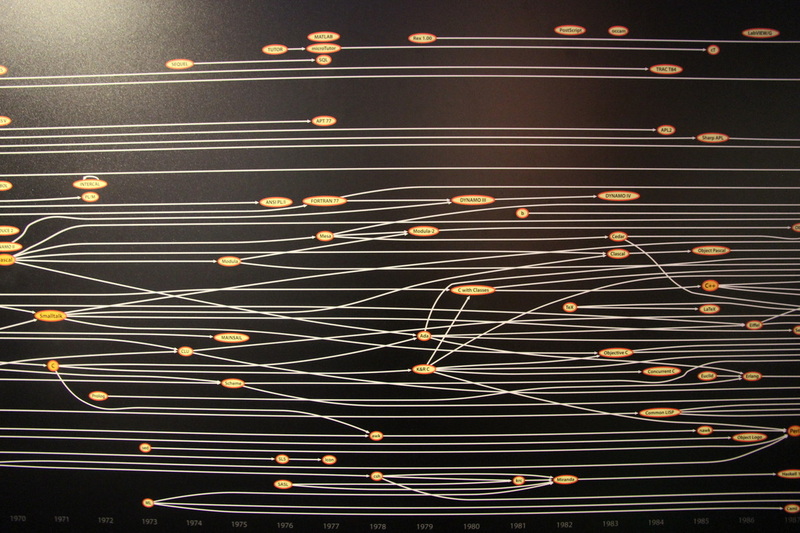 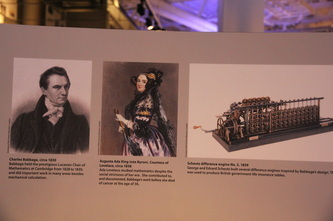 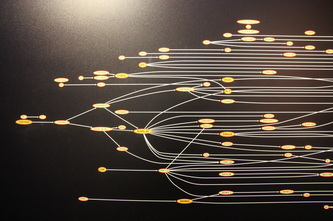 The exhibition "REVOLUTION: The first 2000 years of computing" contains 20 stages from calculators through supercomputers to web http://www.computerhistory.org/revolution/topics#exhibition: Schickard calculator, Pascal adder, Babbage difference machine, punched cards, REAC, ENIAC, ENIGMA, UNIVAC, SAGE, System/360, CRAY-1/2, PDP-8, and so on. 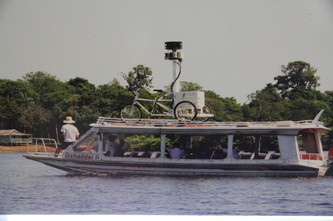 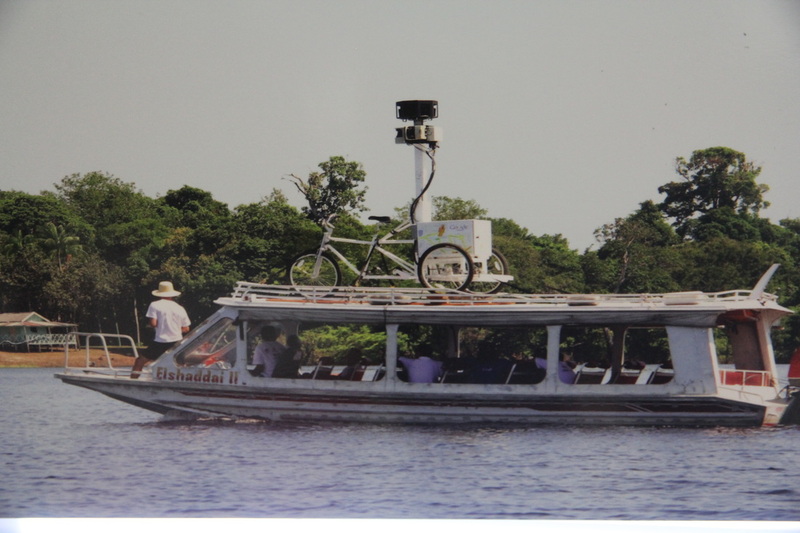 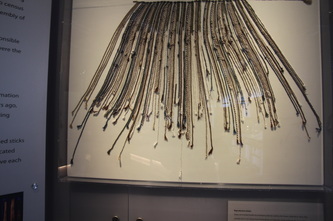 The quality of photos are not so good because it was dark there and using of flash was prohibited.